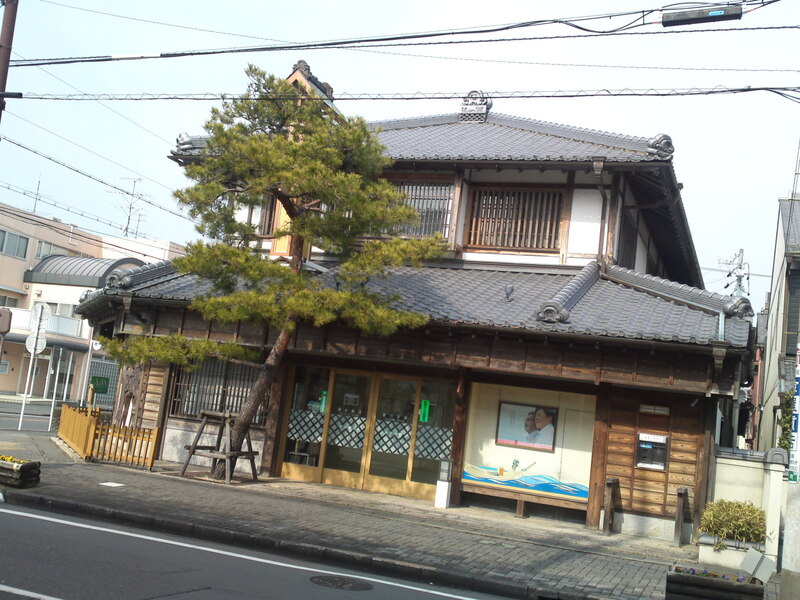 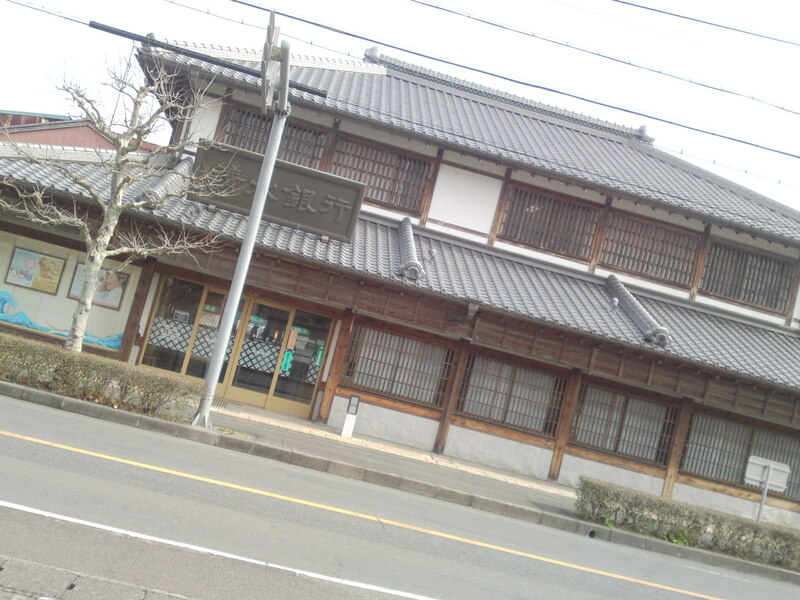 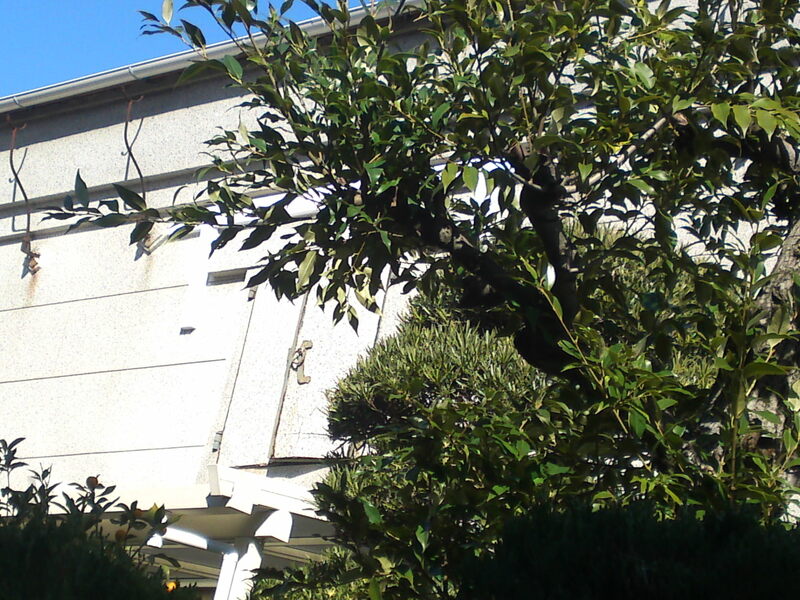 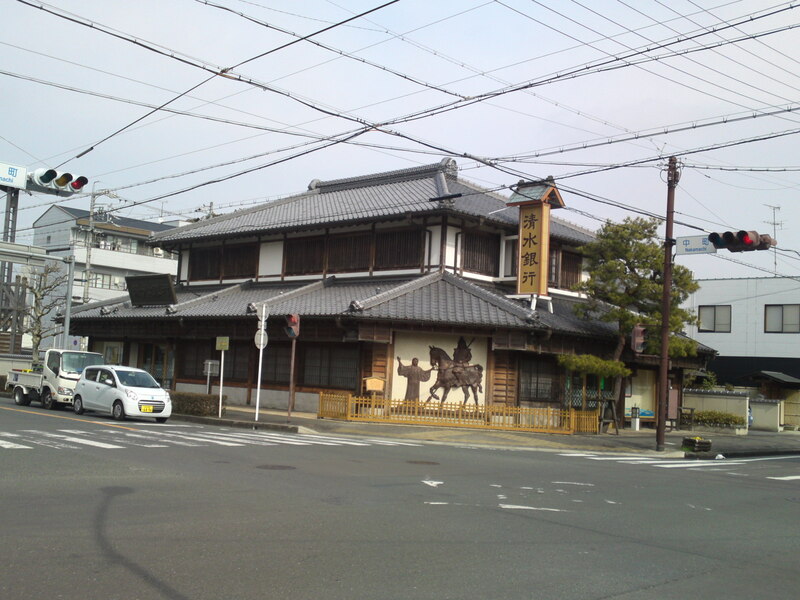 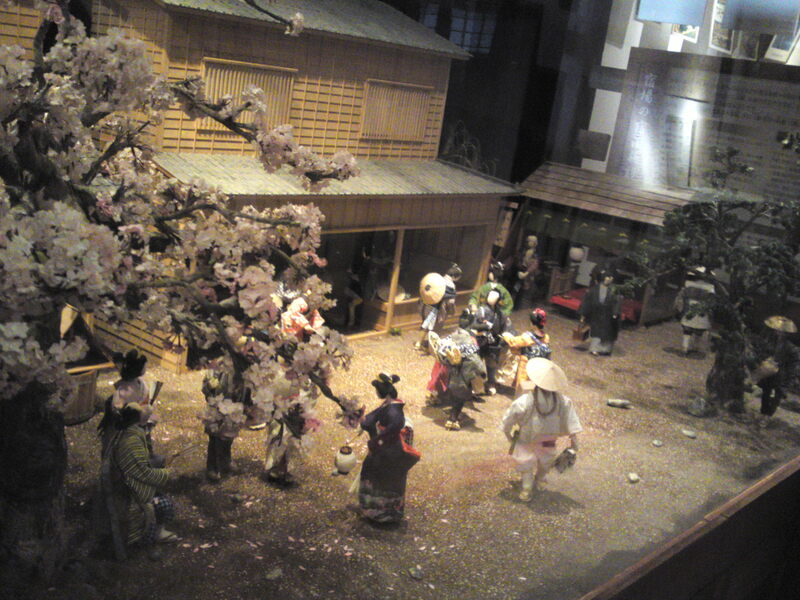 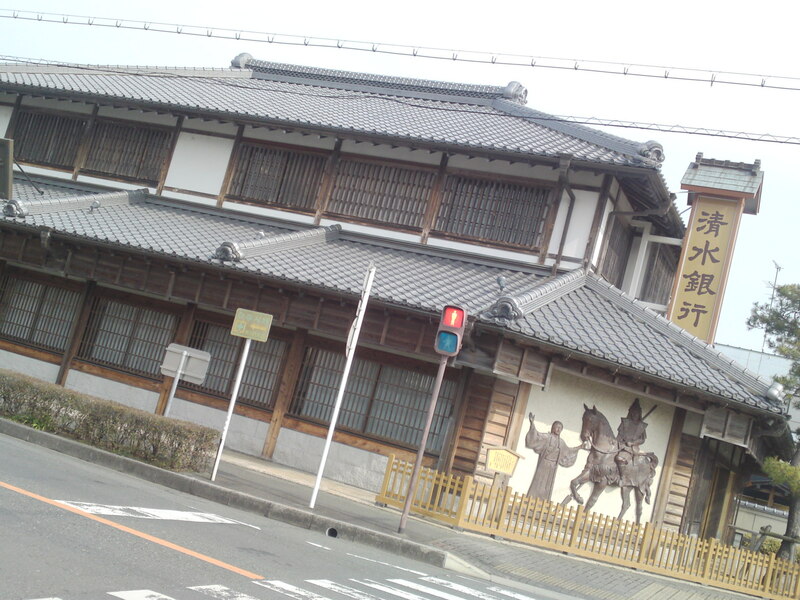 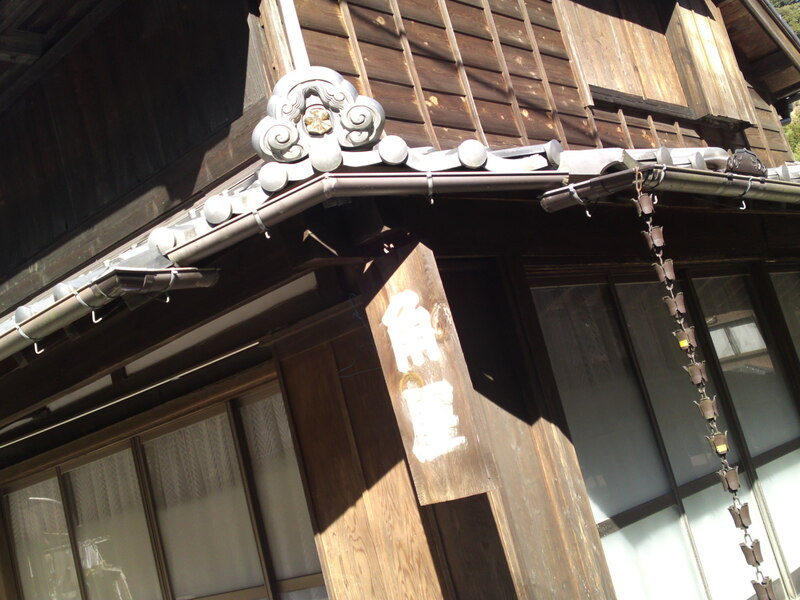 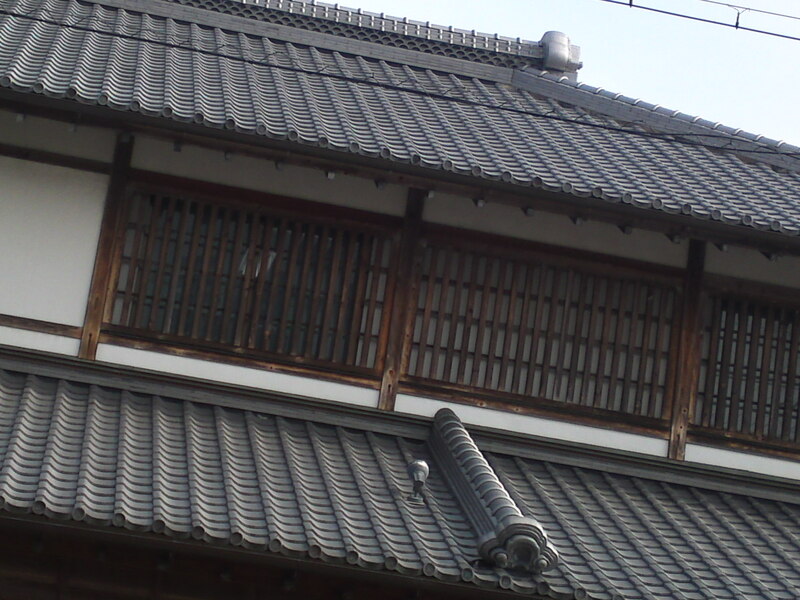 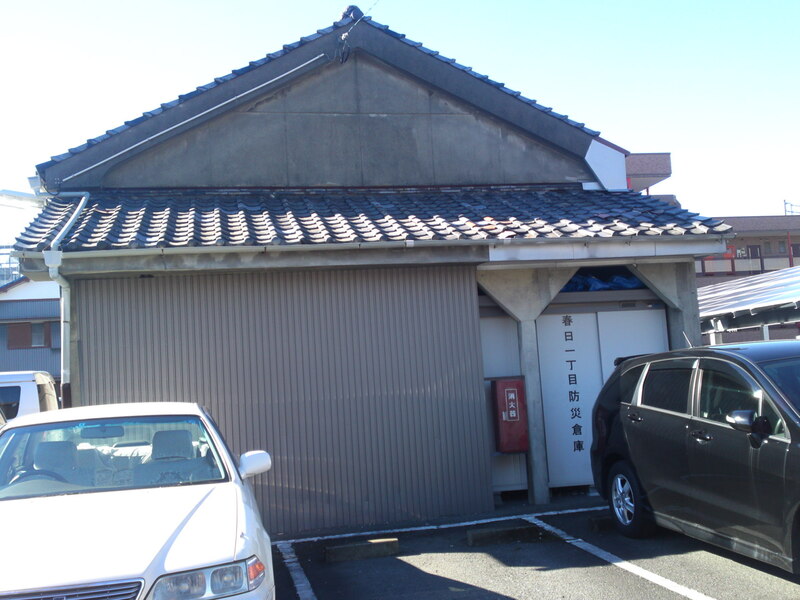 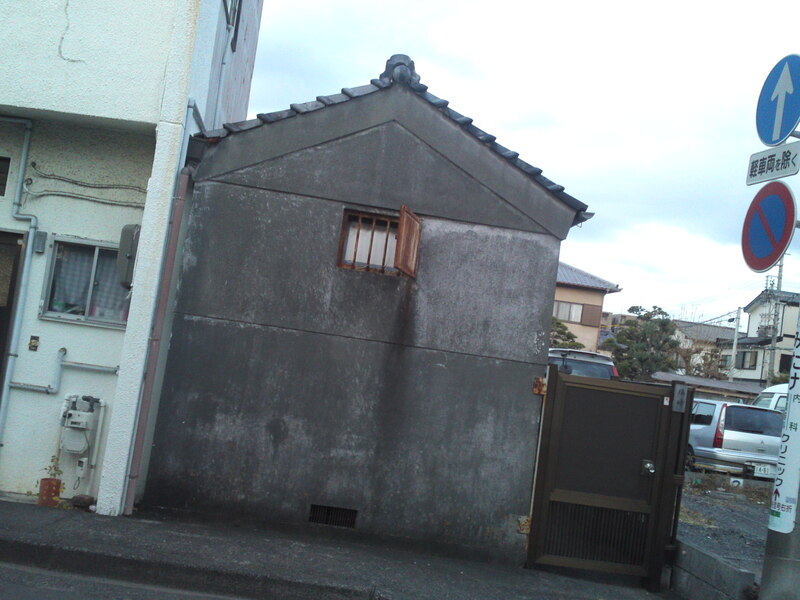 Traditional Japanese Houses: Shimizu Bank Branch in Kakegawa City! 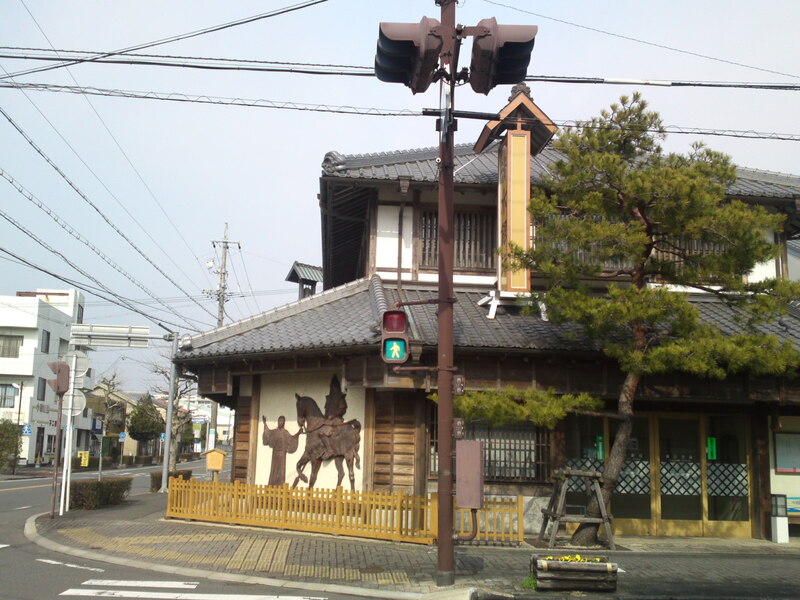 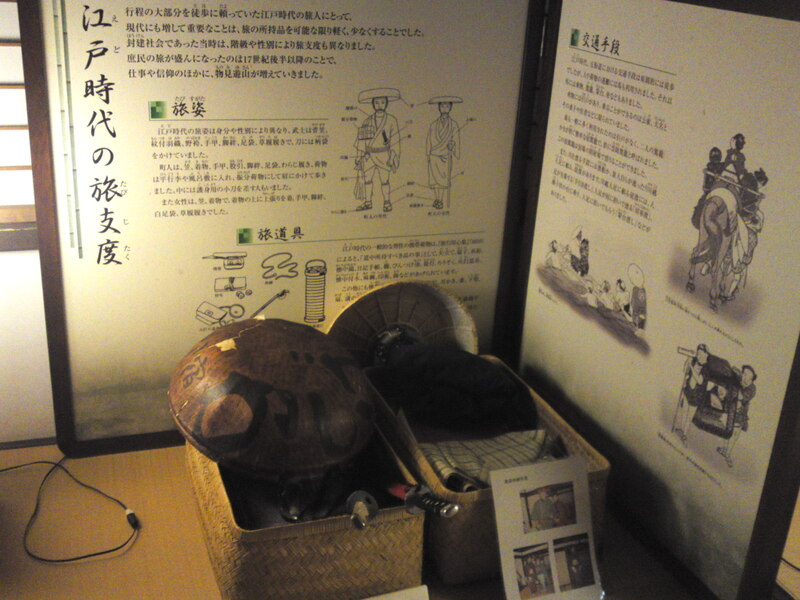 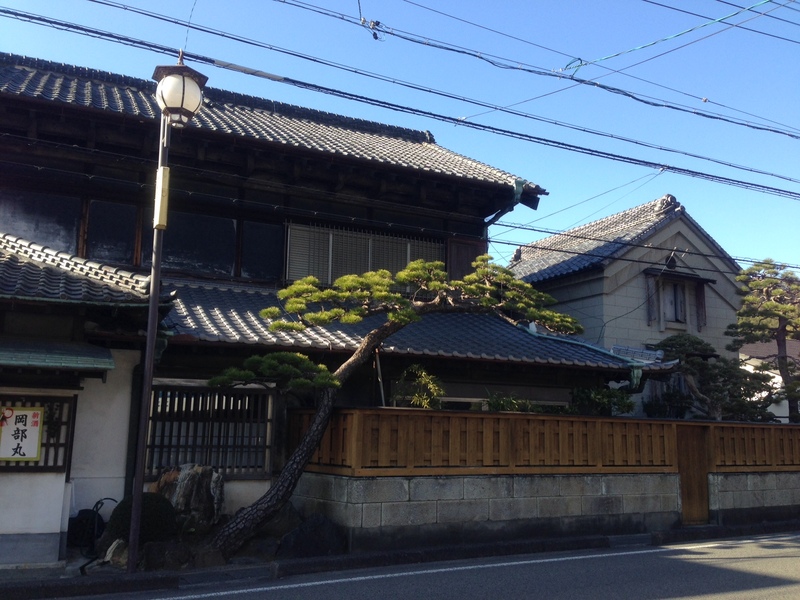 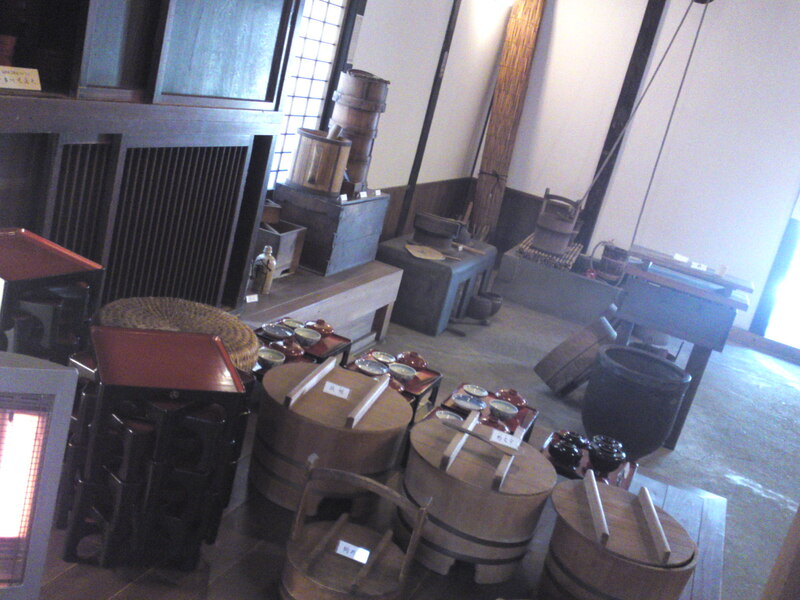 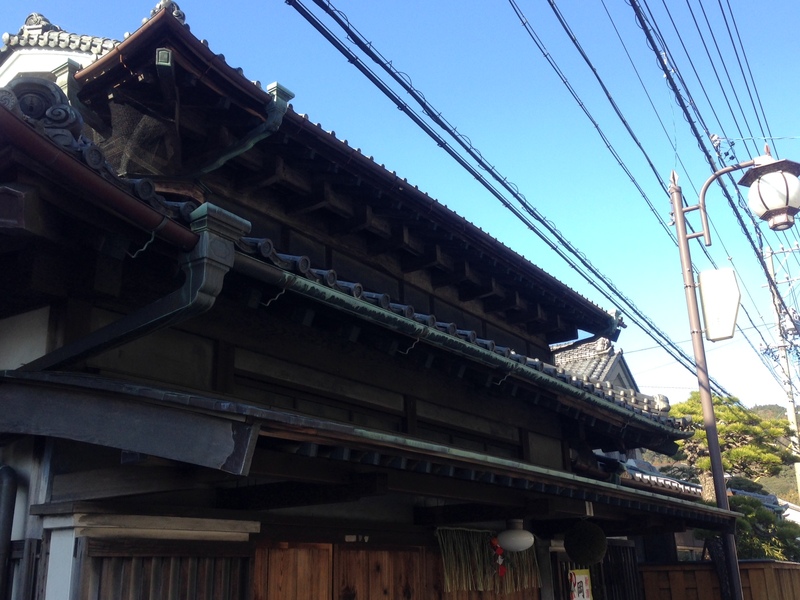 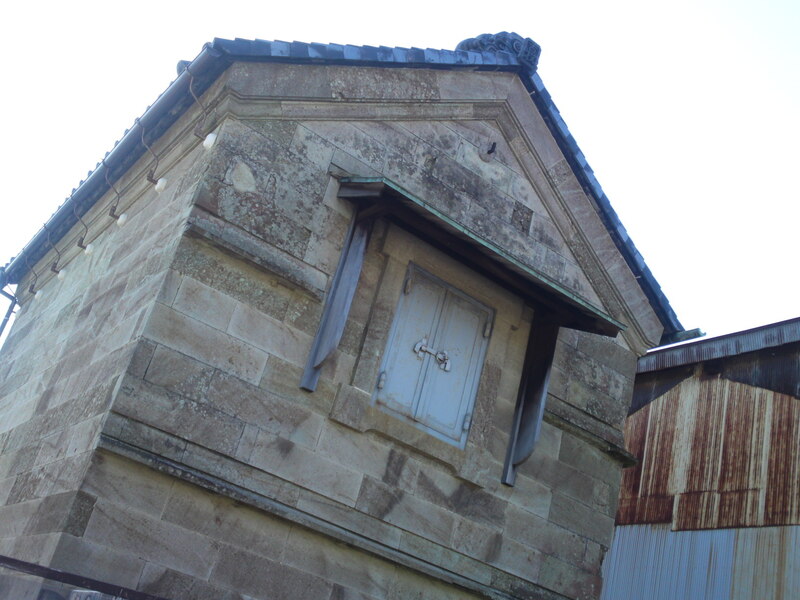 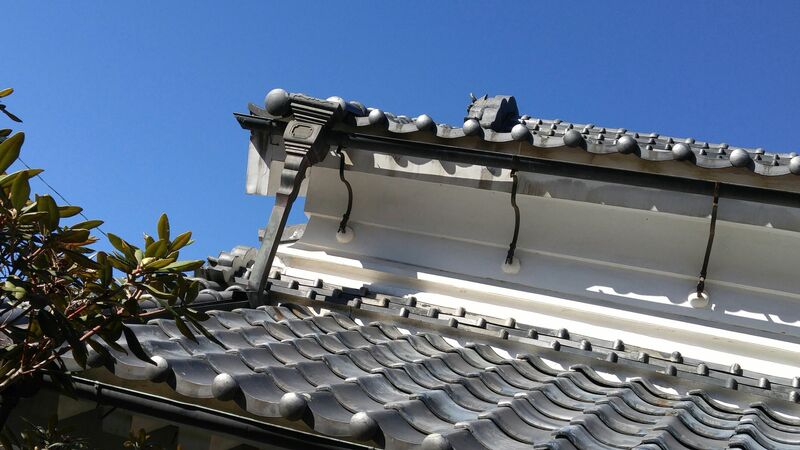 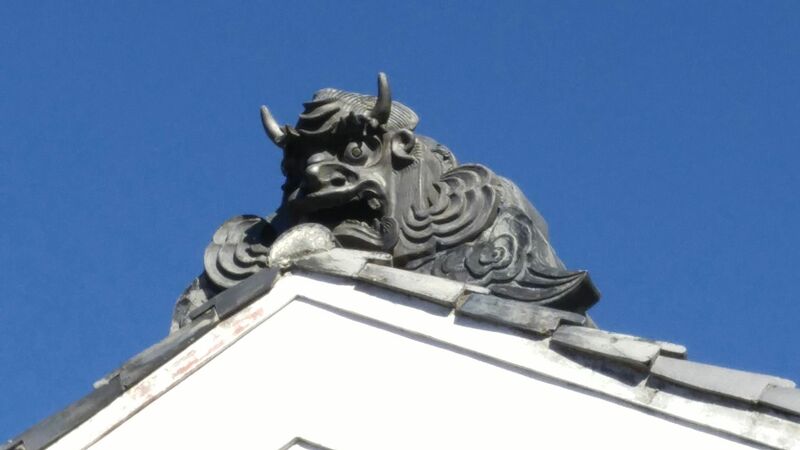 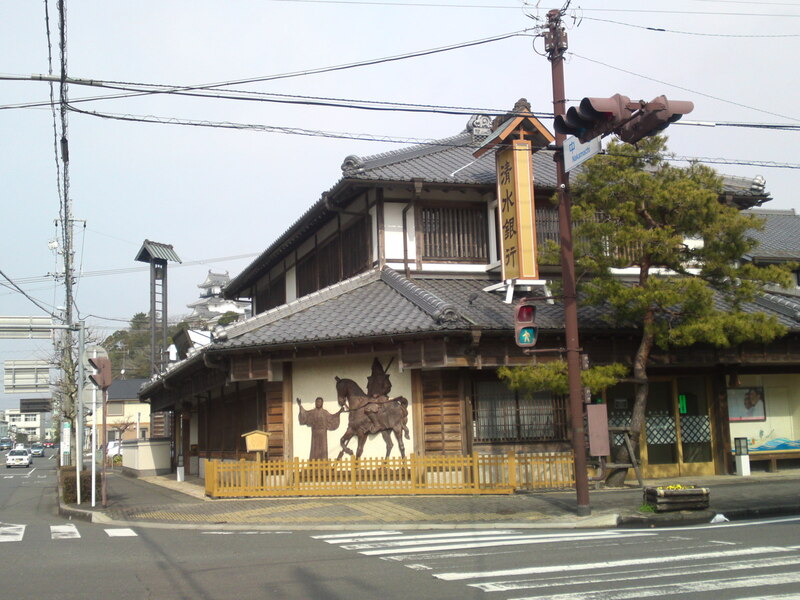 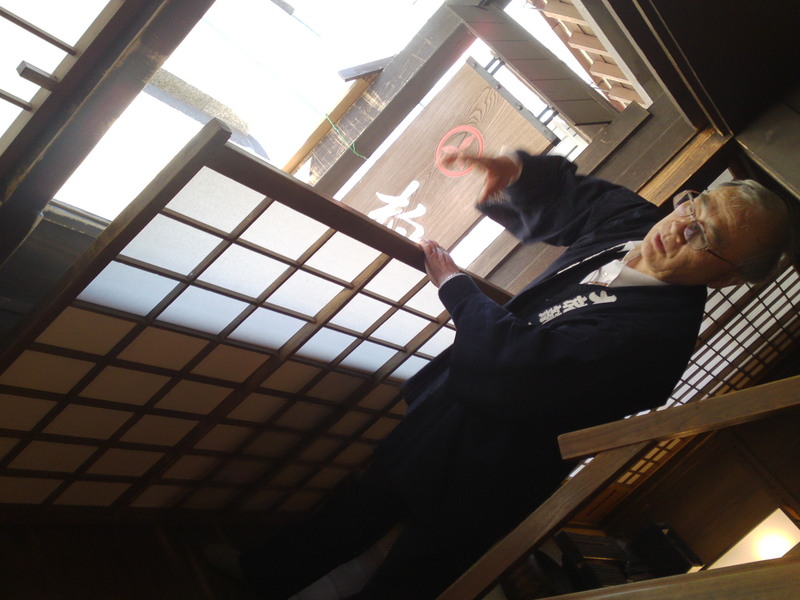 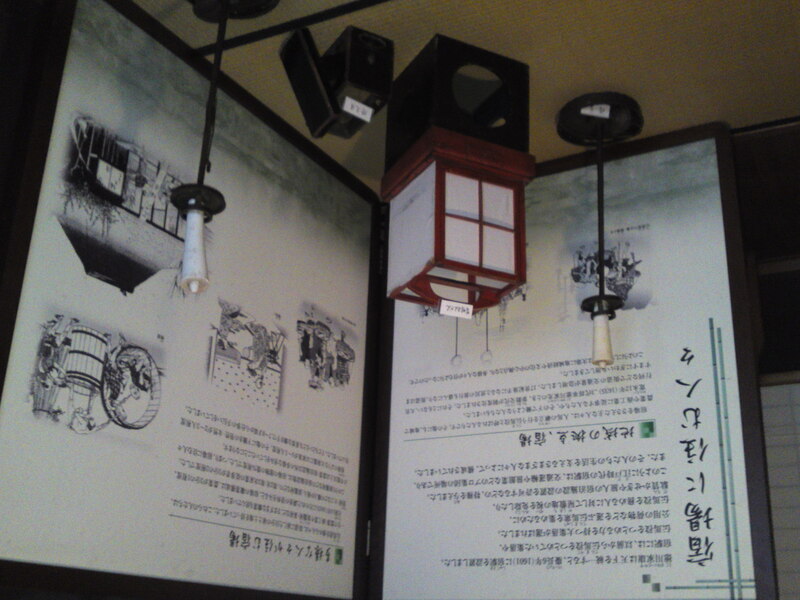 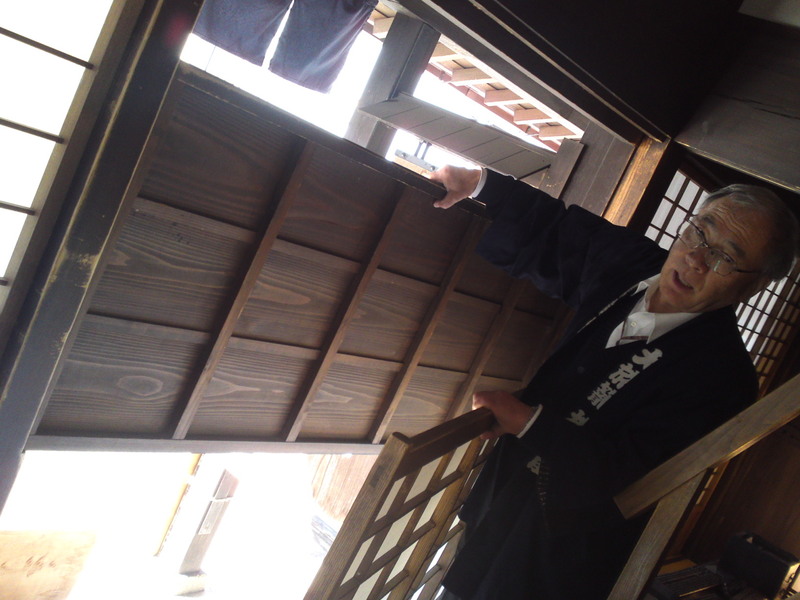 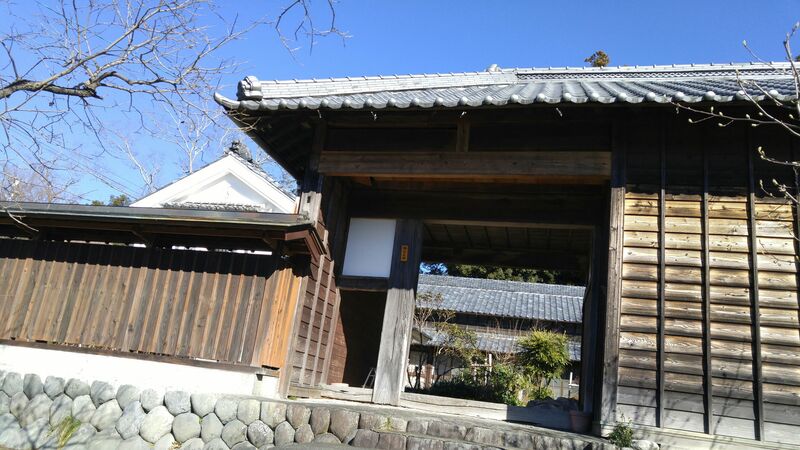 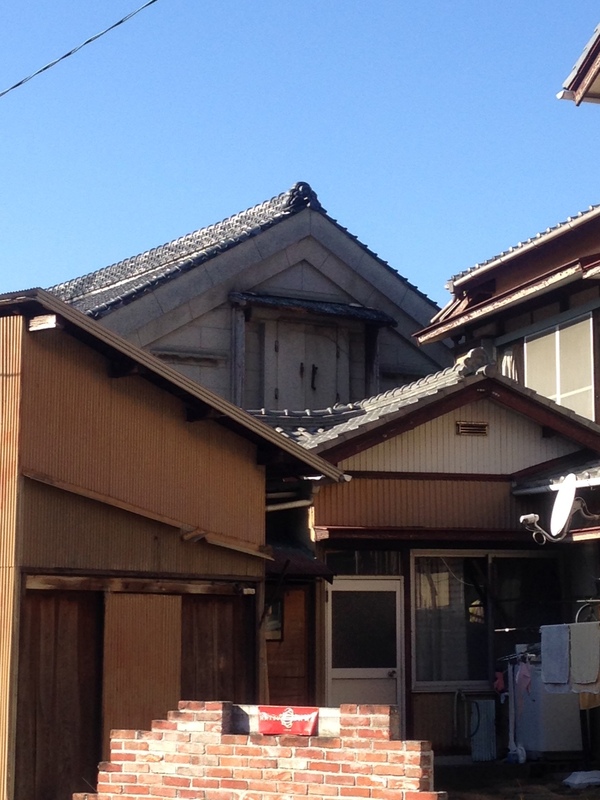 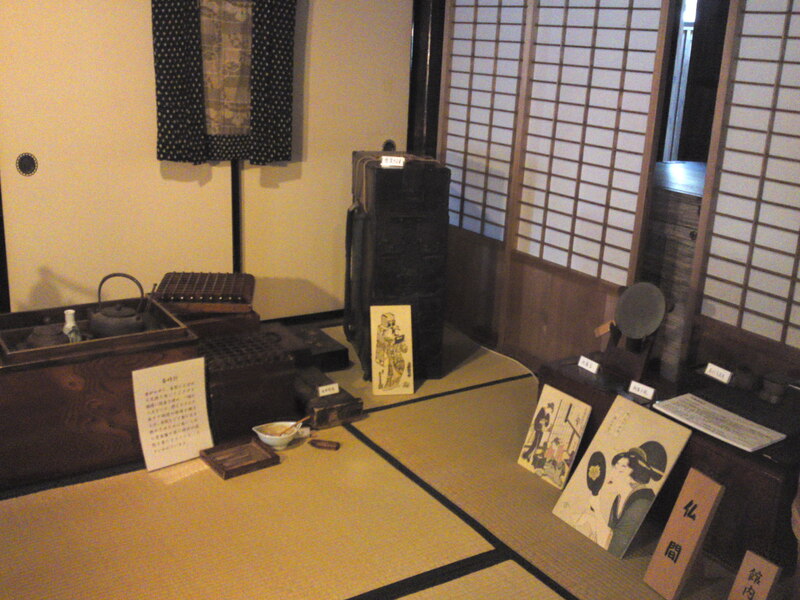 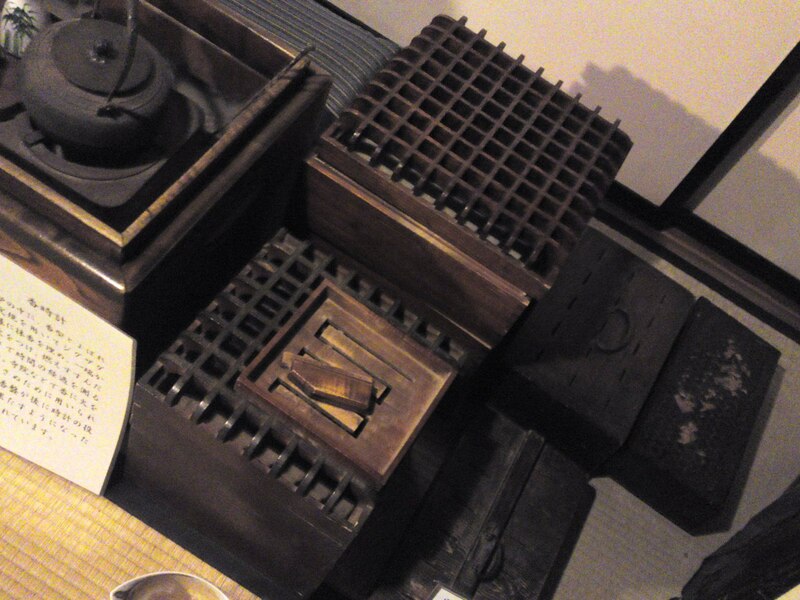 In Kakegawa City on the way to the Kakegawa Castle you will discover and old traditional house with some interesting story! 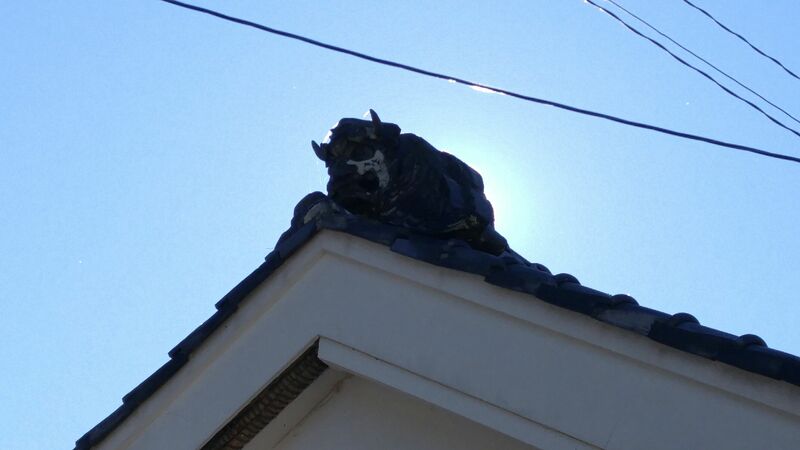 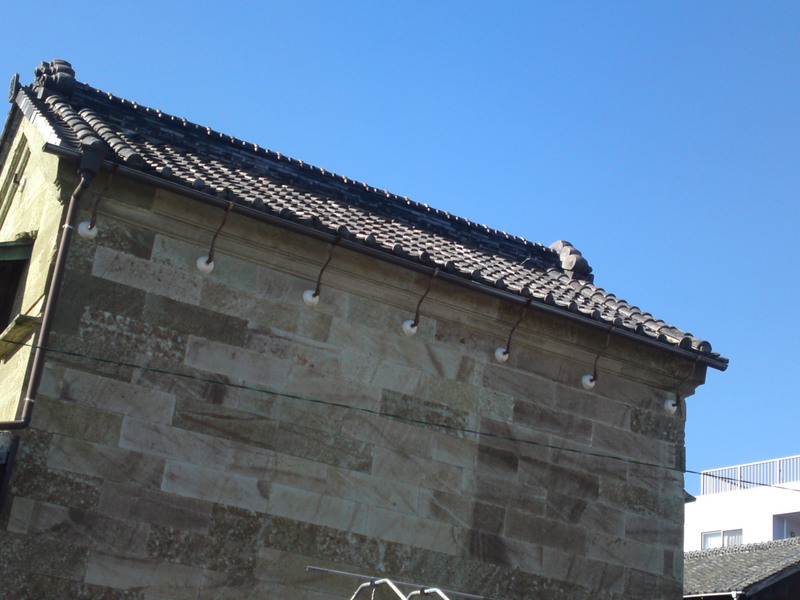 On a bright day it does provide a great sight for photography! 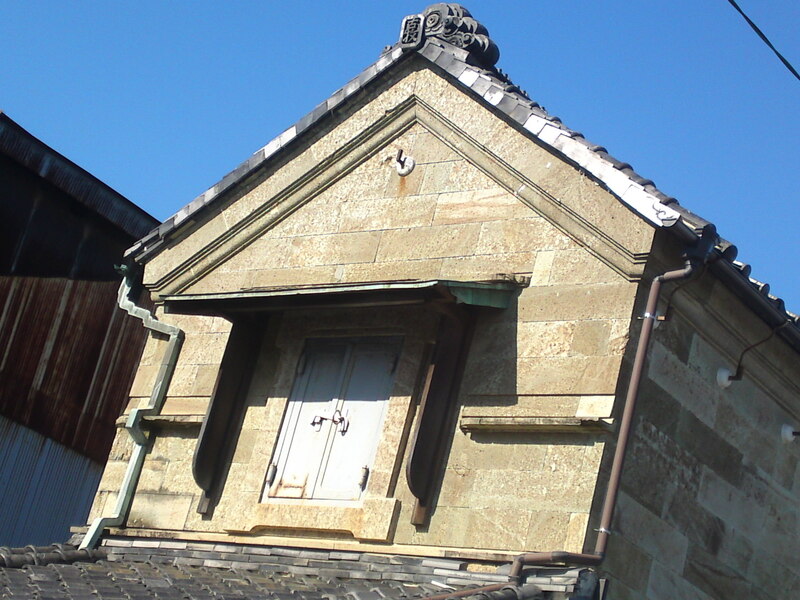 All facades will show you a different facet of the architecture! 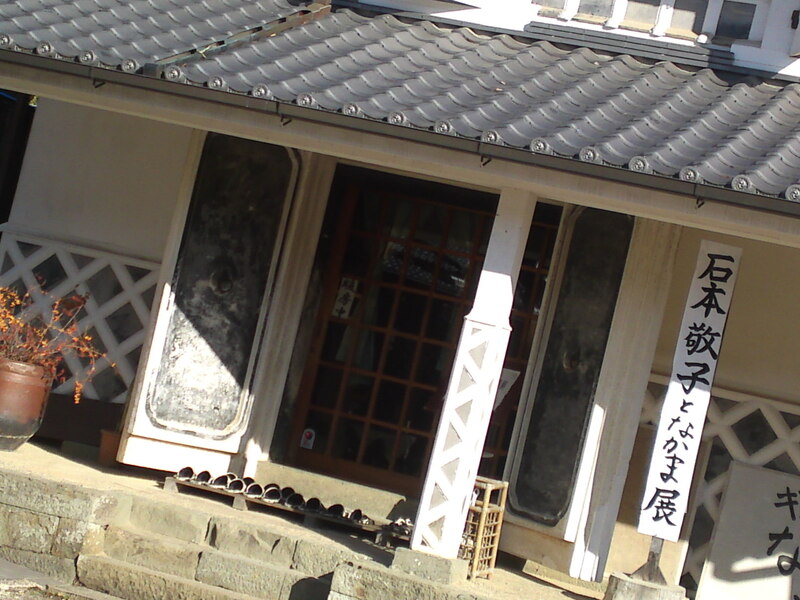 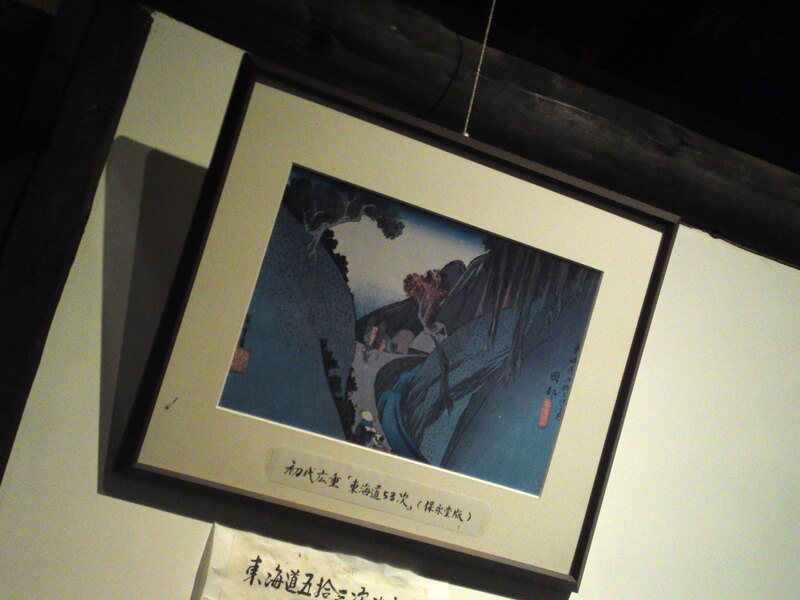 This is a story which was actually the source for the name of a local sake brand! 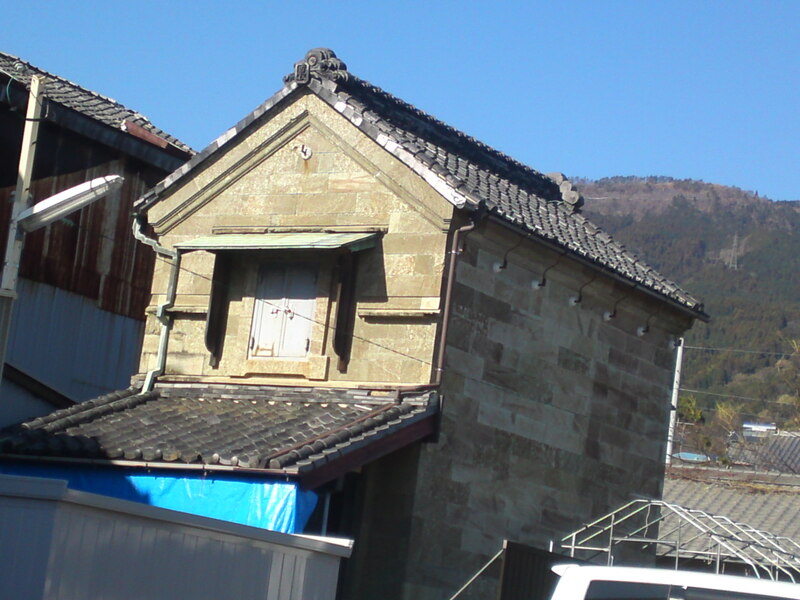 Kazutoyo built Kōchi Castle. 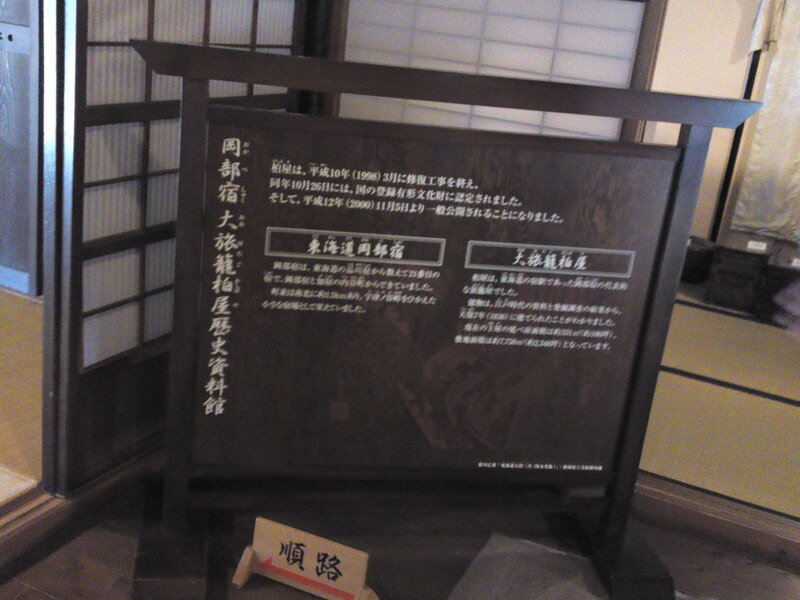 His life spanned the closing years of the Sengoku period, the Azuchi-Momoyama period, and the beginning of the Edo period. 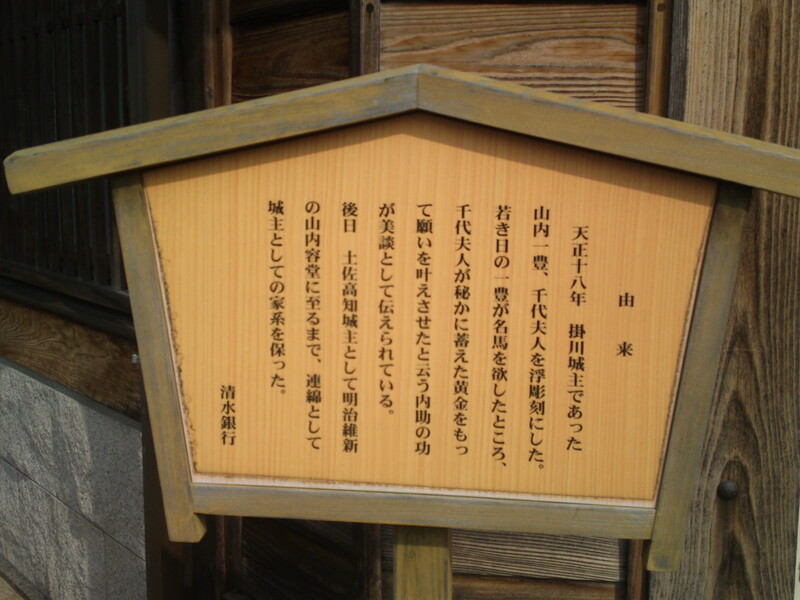 Just four years after he became Lord of Tosa, Kazutoyo died without issue aged around 60, and was succeeded as Lord of Tosa by his nephew Tadayoshi. 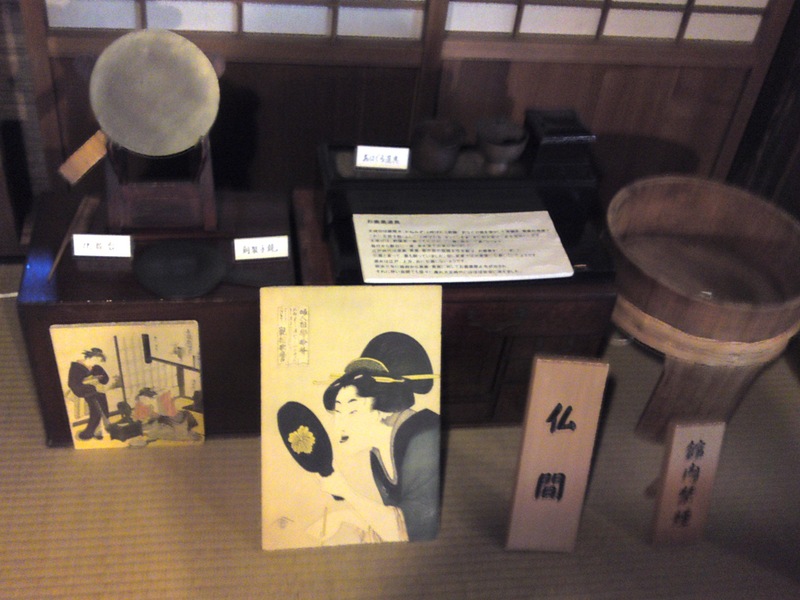 Chiyo, as a wise and beautiful wife, helped her husband Yamauchi Kazutoyo up from an ordinary samurai to the governor of an entire province, Tosa. 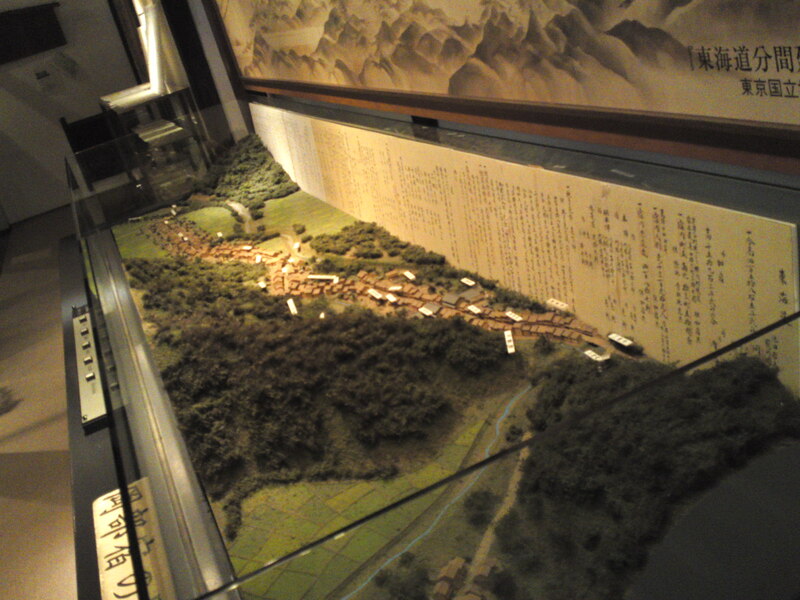 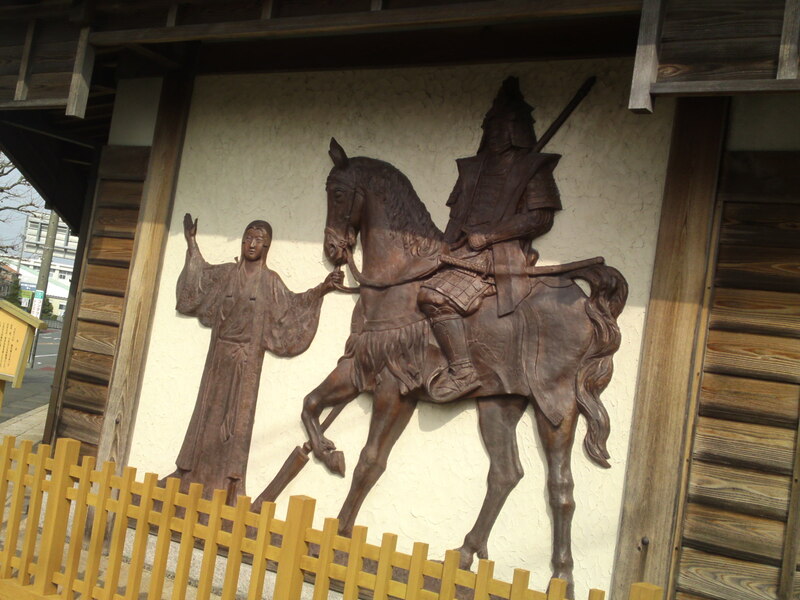 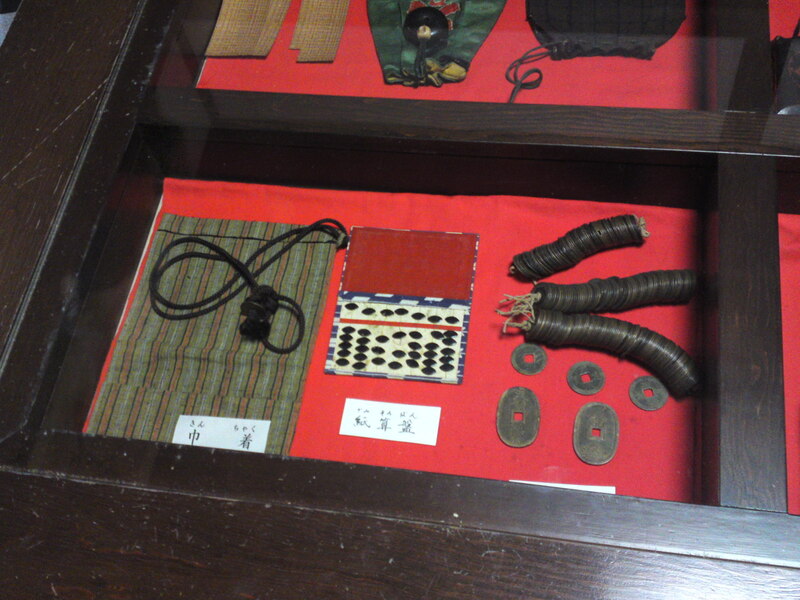 In 1590, Lord Yamauchi Kazutoyo 山内 一豊, a great horse lover had been looking for a special mount of his own. 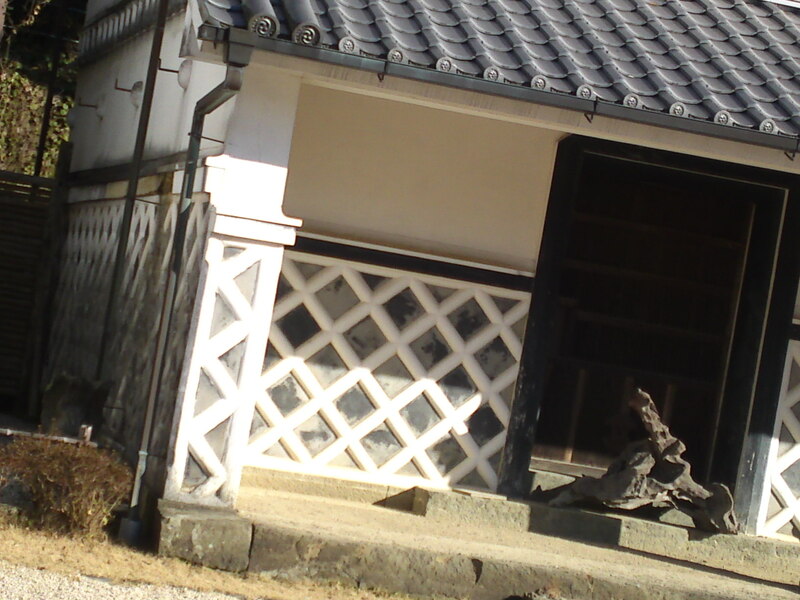 His wife spent untold time and efforts until she found, brought and gave a great horse to her beloved husband. 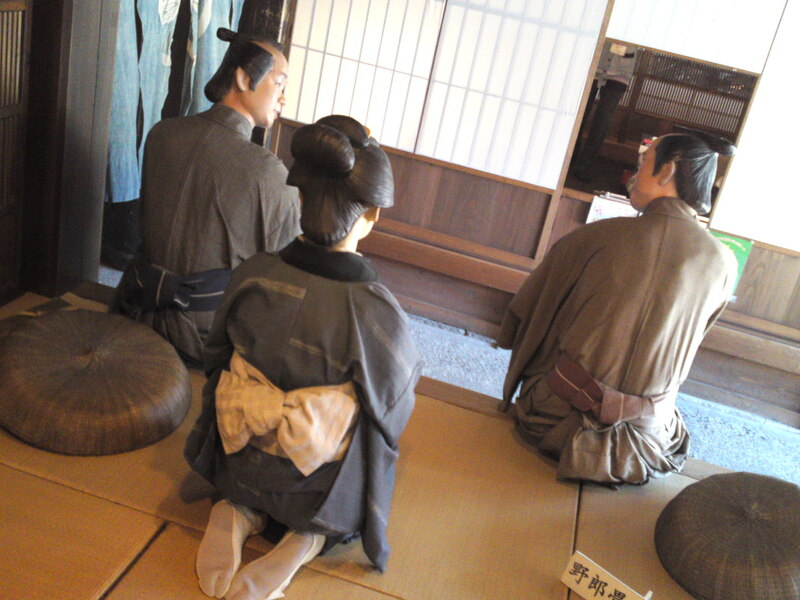 The story is also the source of the 45th NHK Taiga drama (2006), a dramatization of the life of Kazutoyo, with his wife Chiyo as the central character! 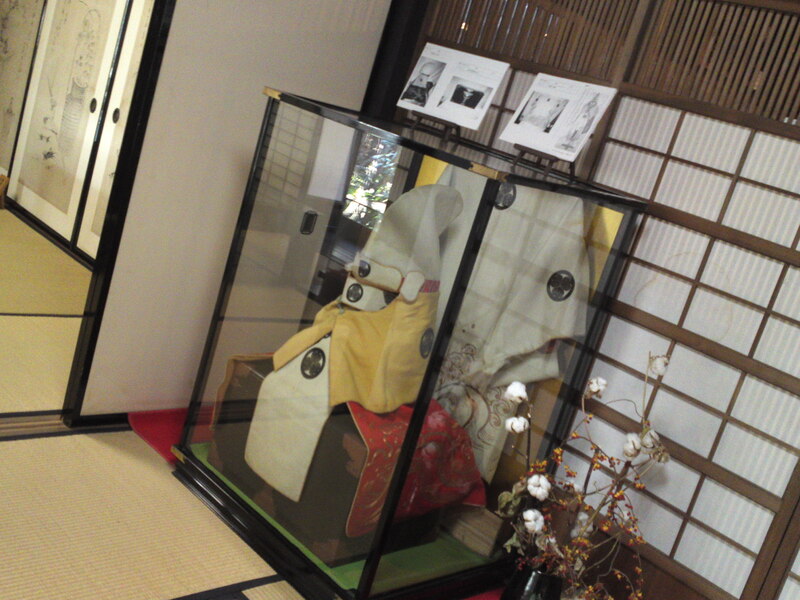 Lord Kazutoyo and his wife, Chiyo! 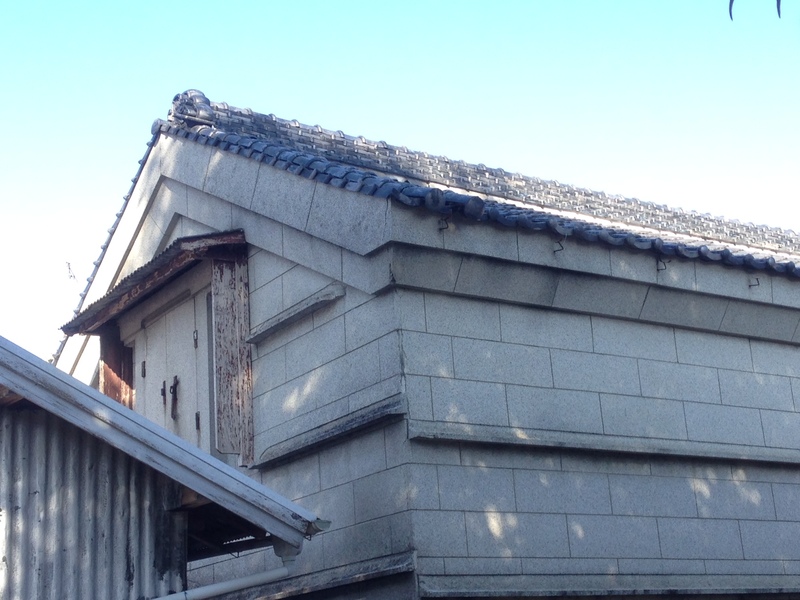 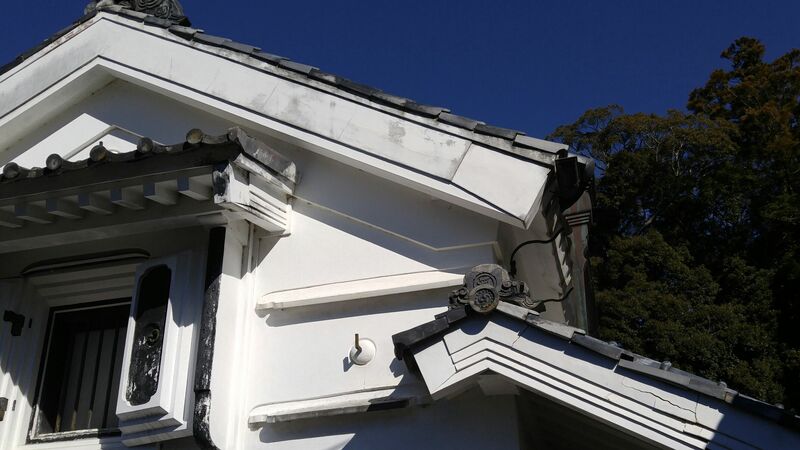 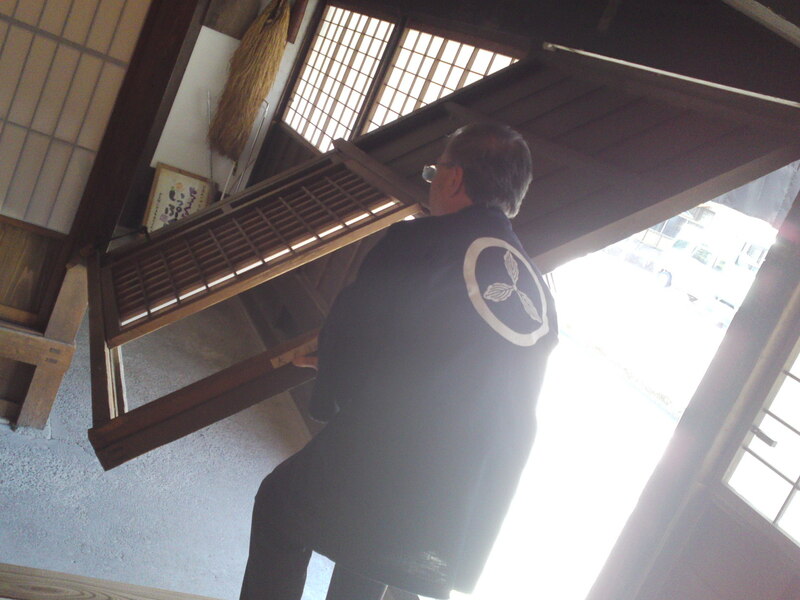 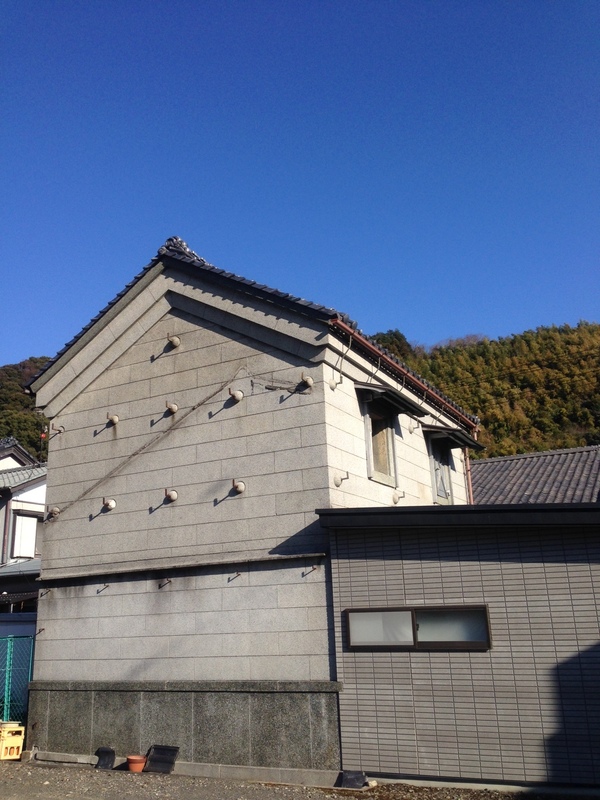 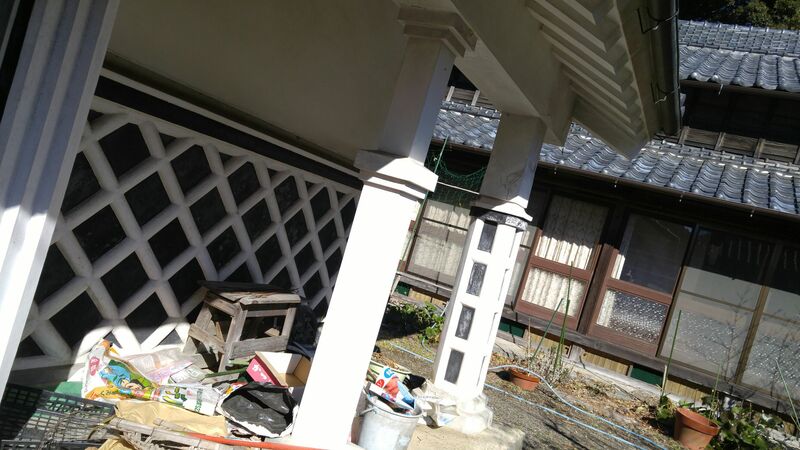 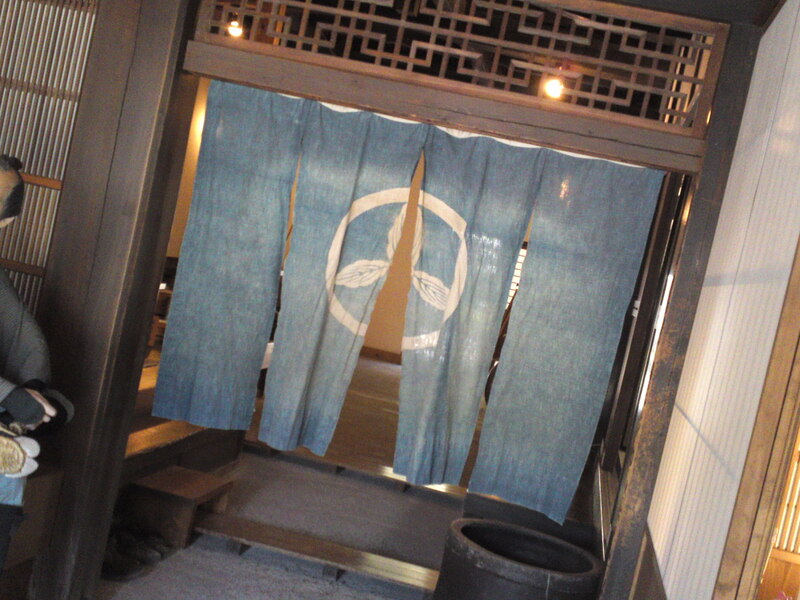 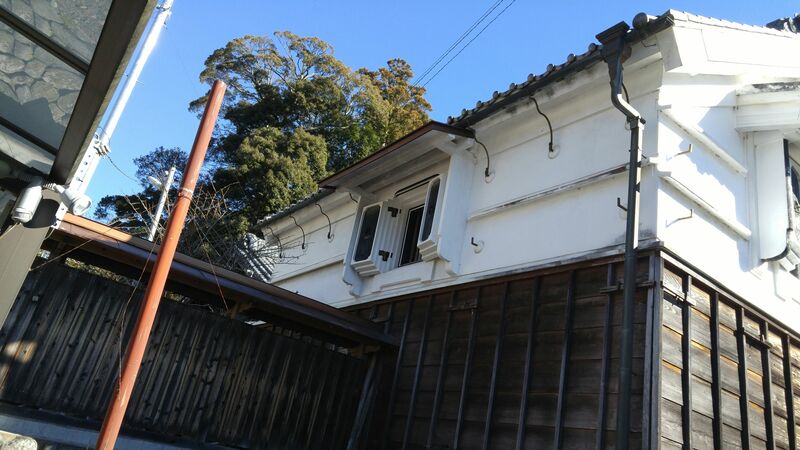 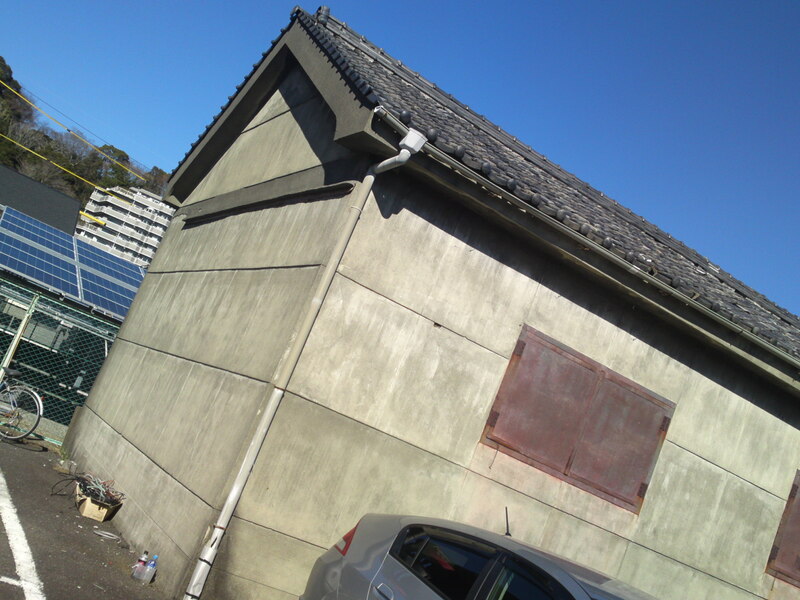 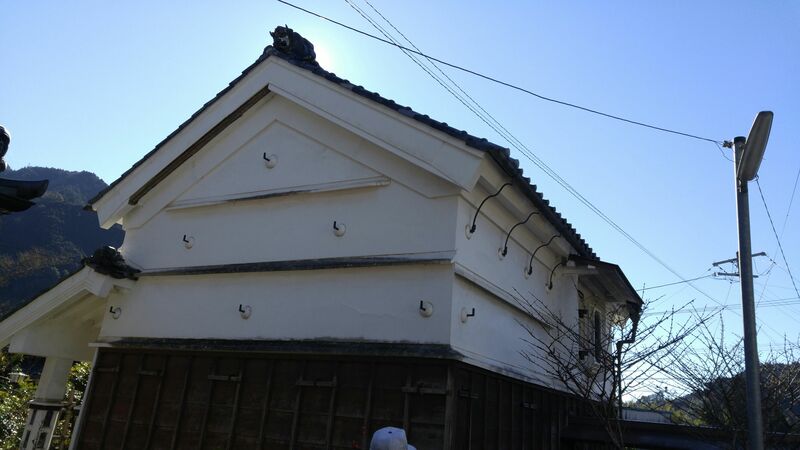 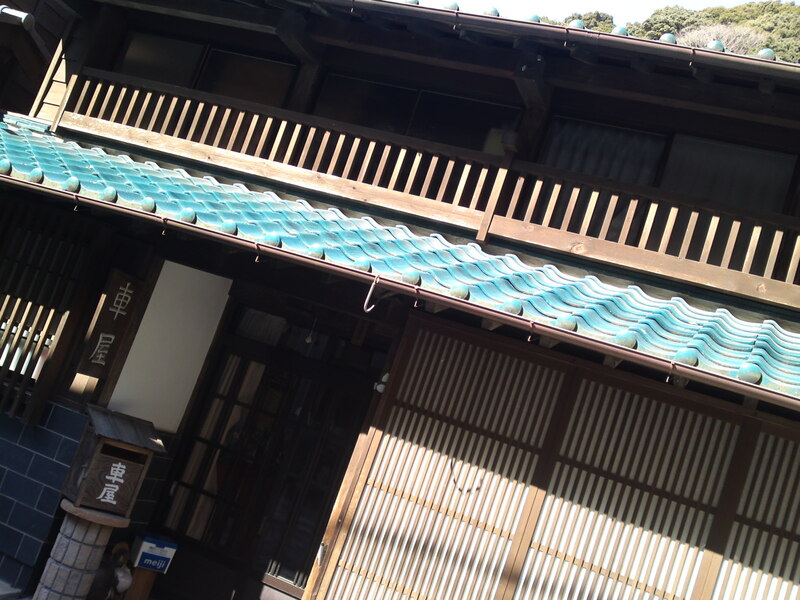 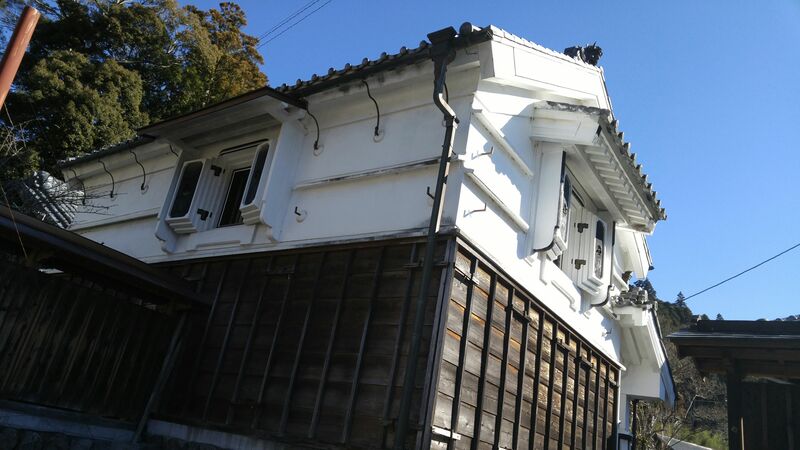 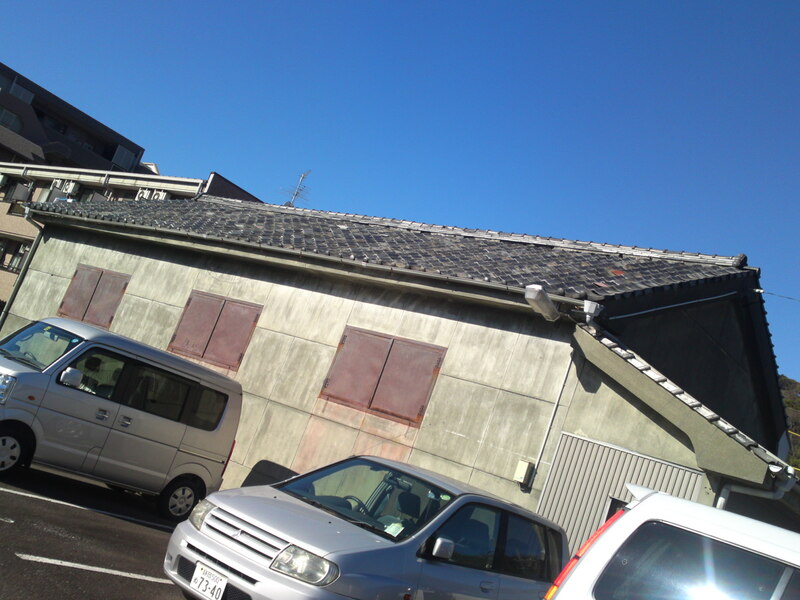 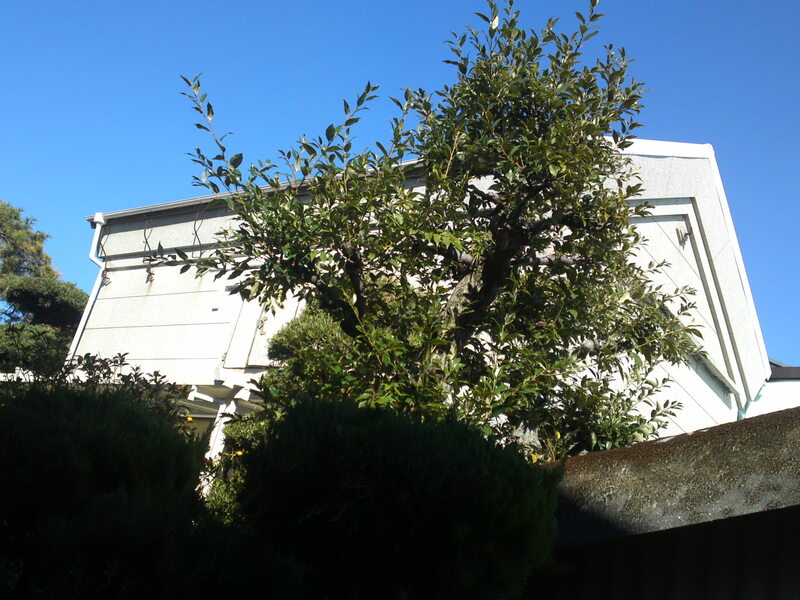 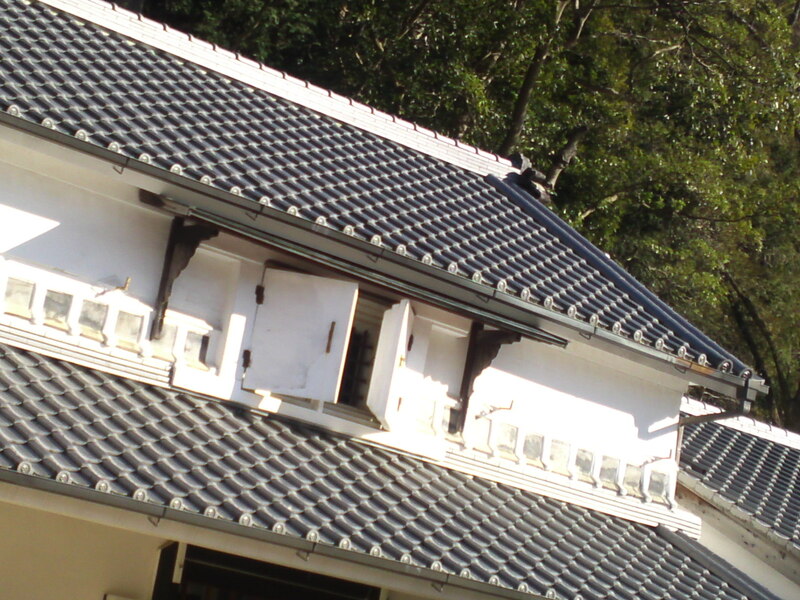 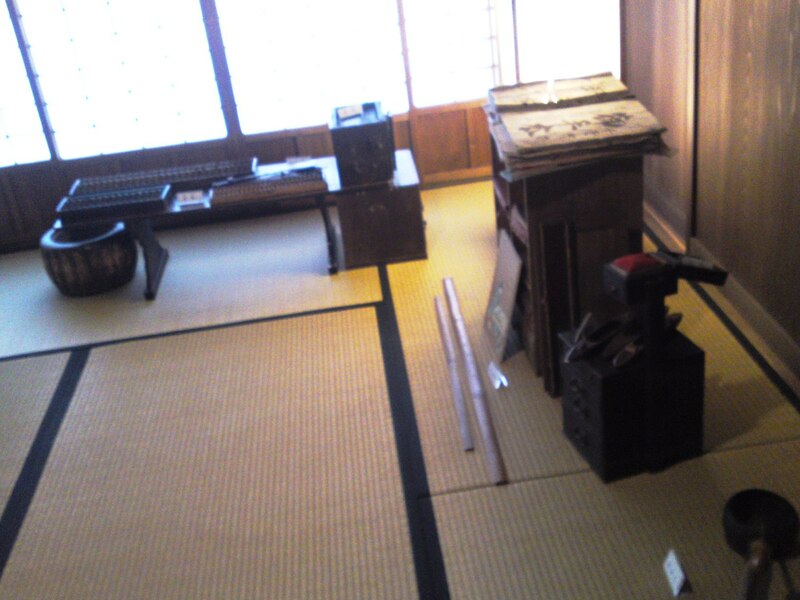 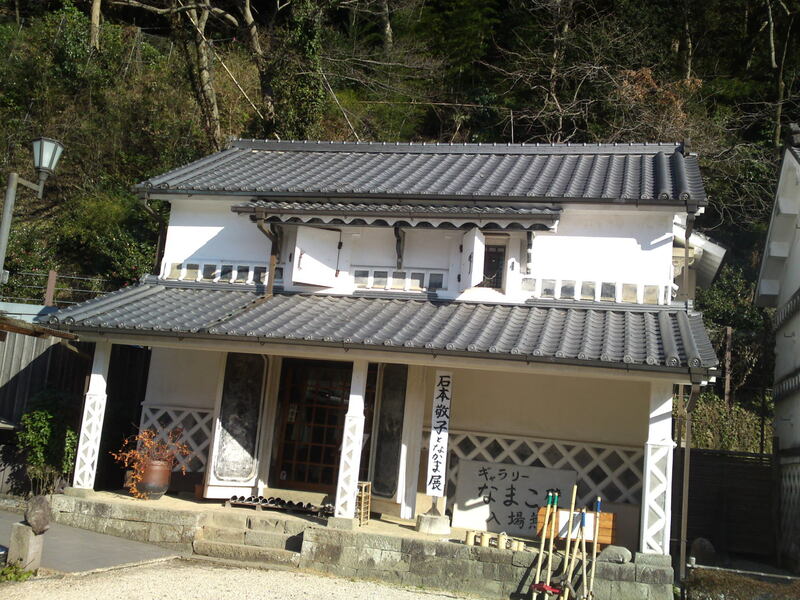 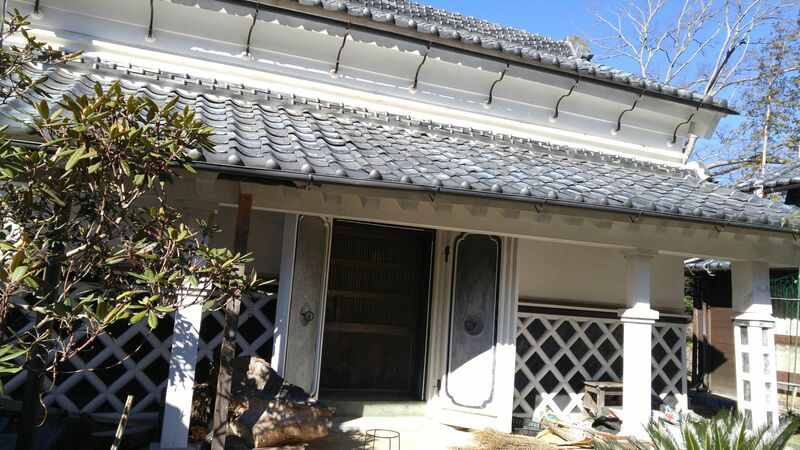 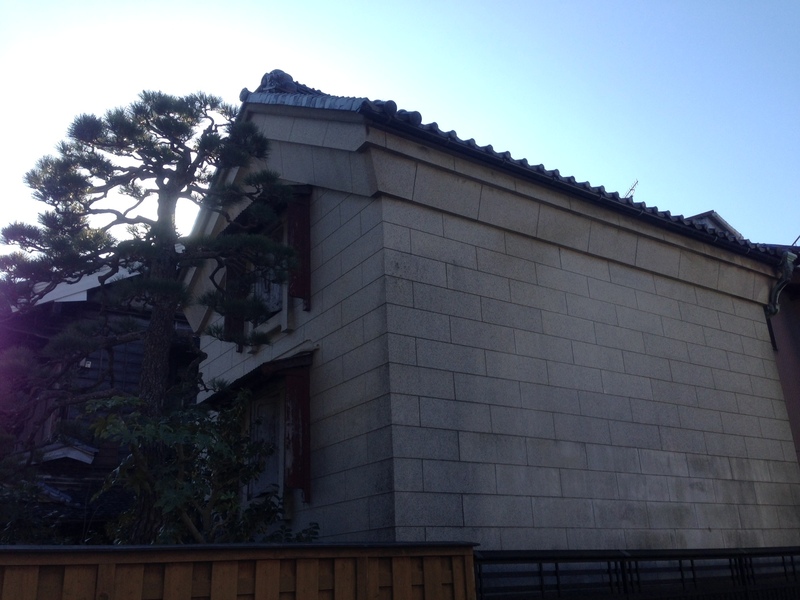 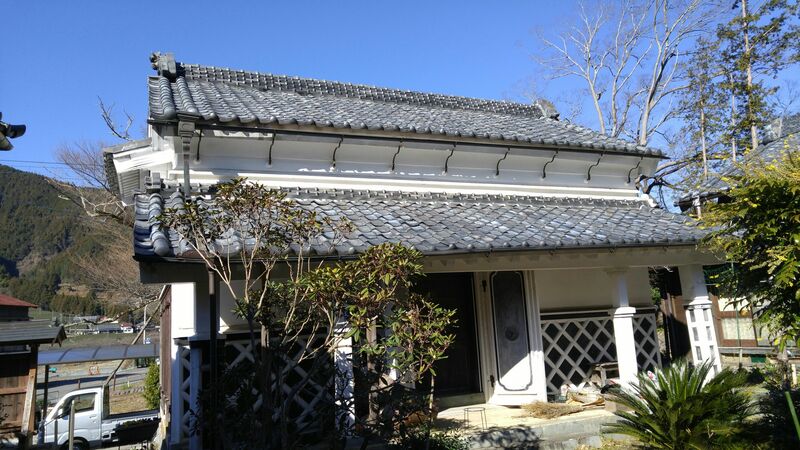 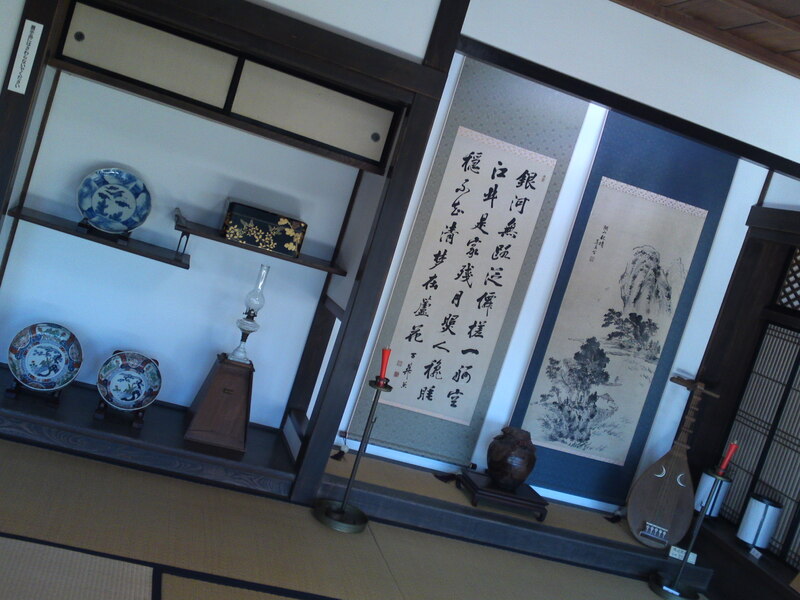 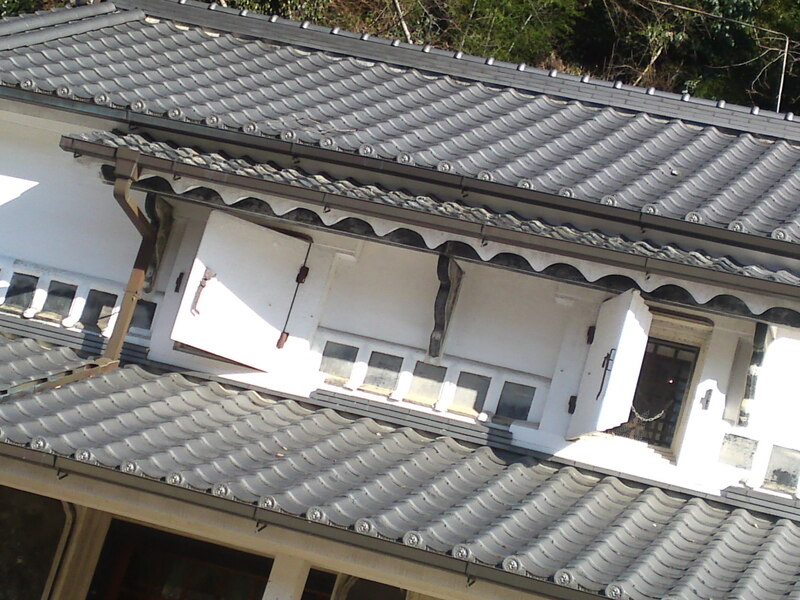 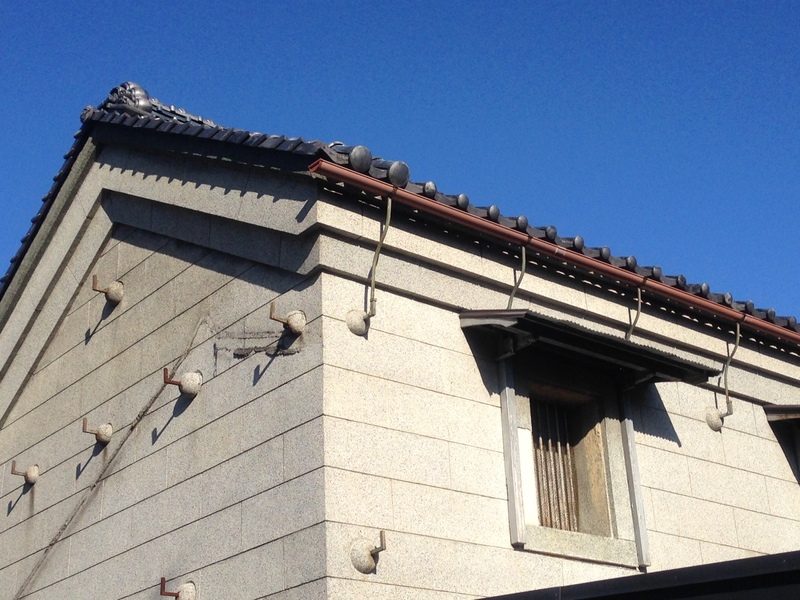 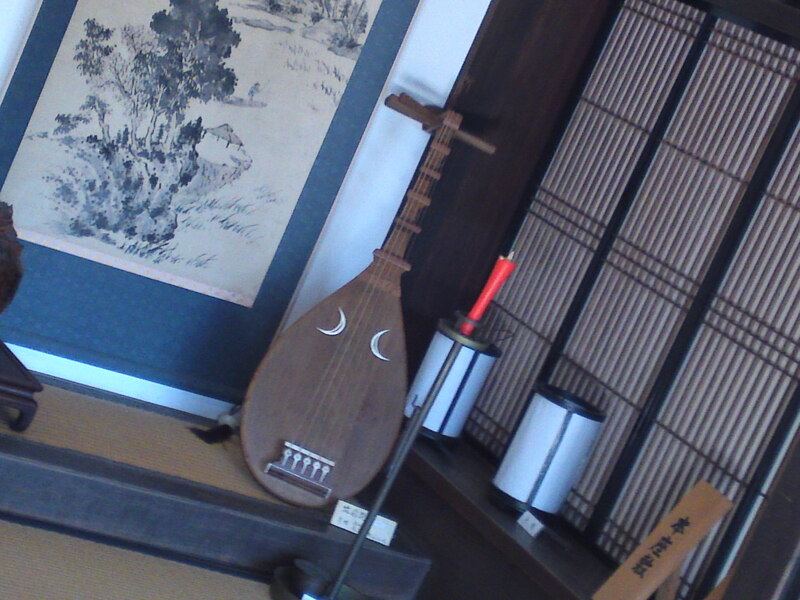 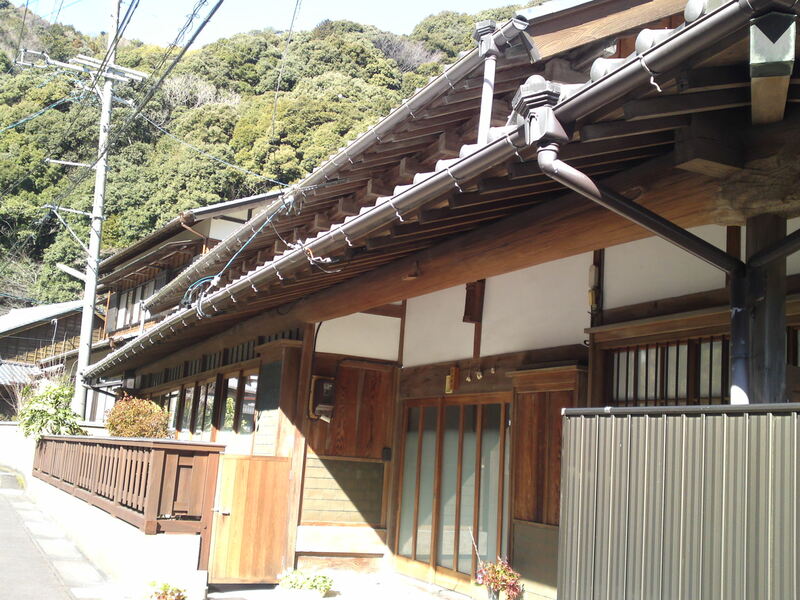 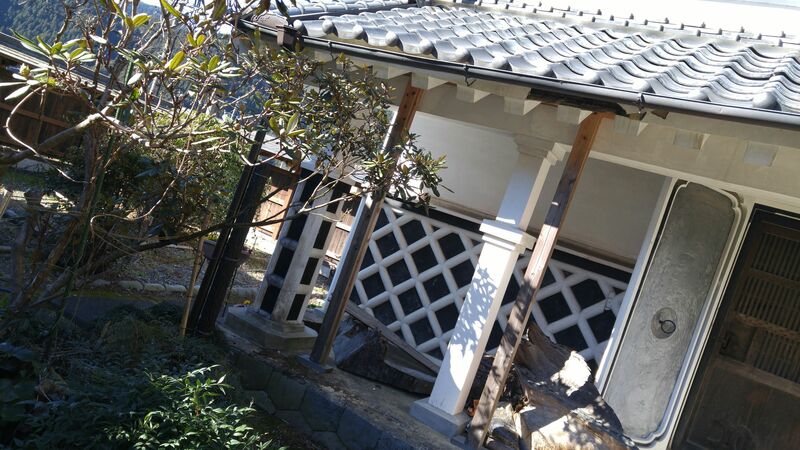 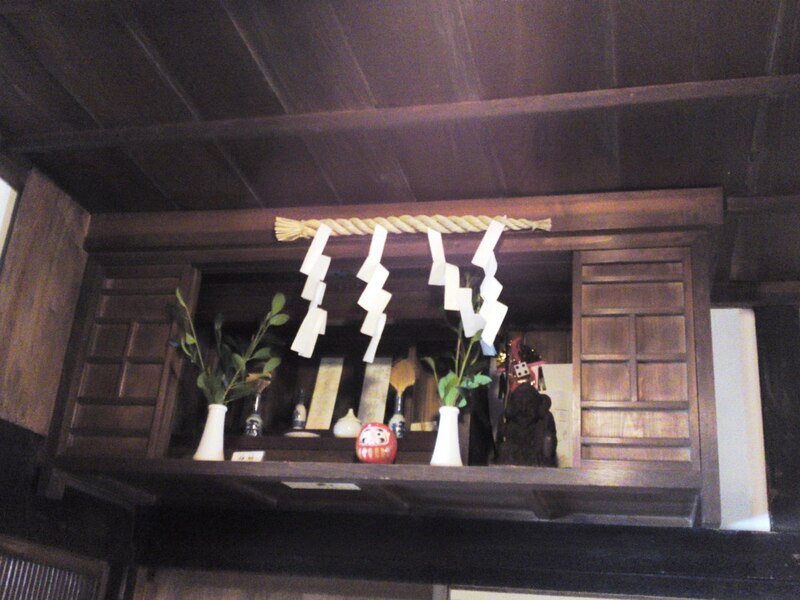 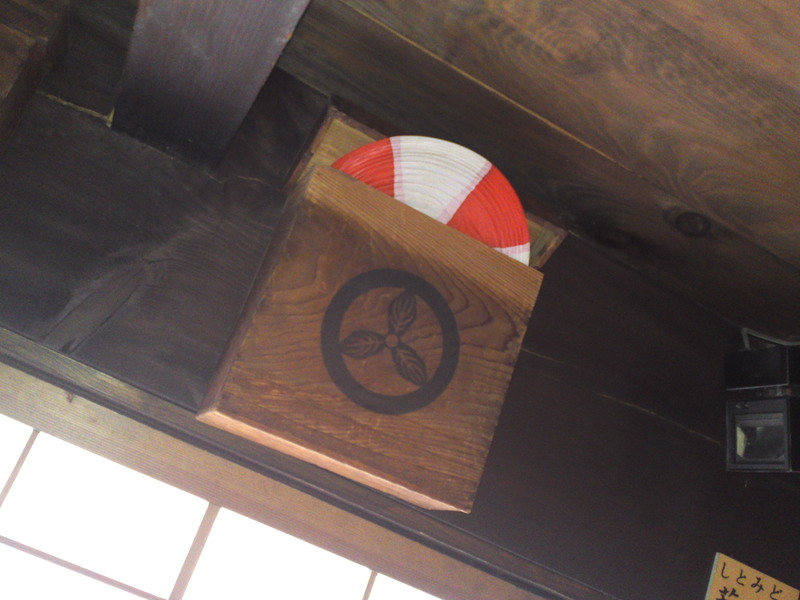 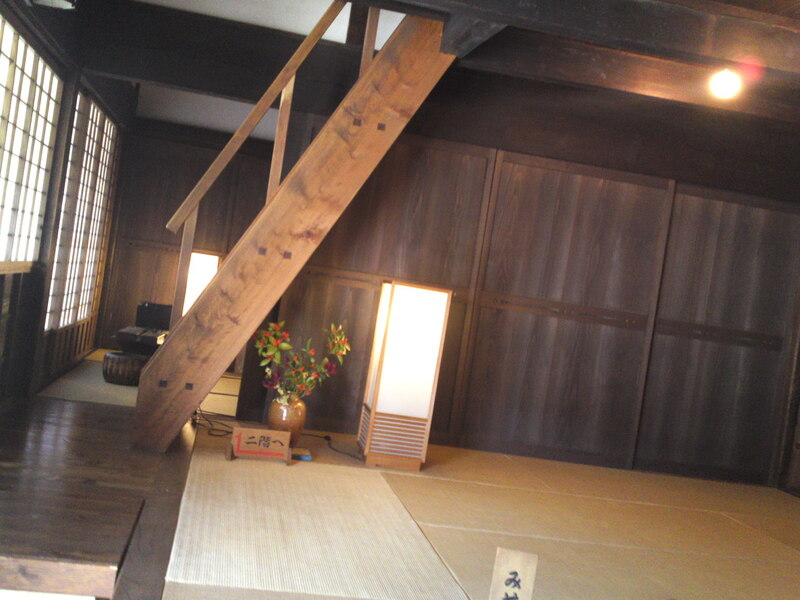 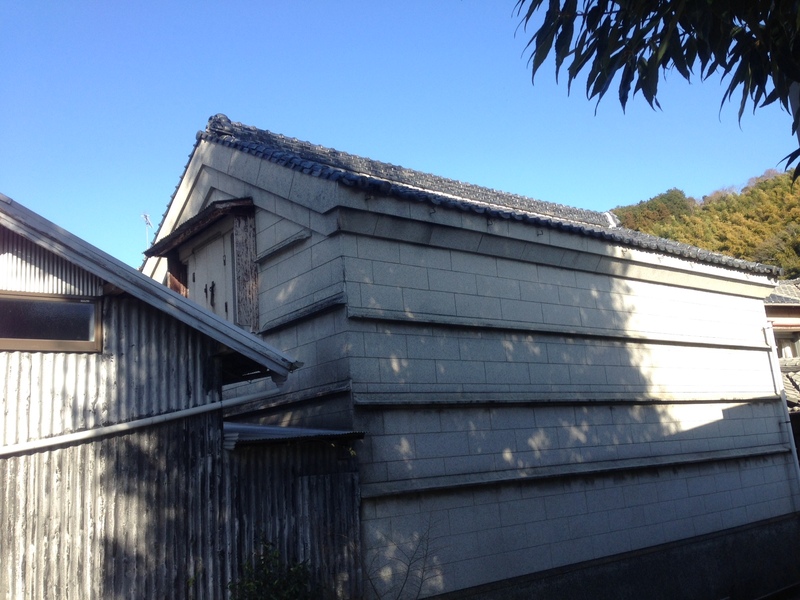 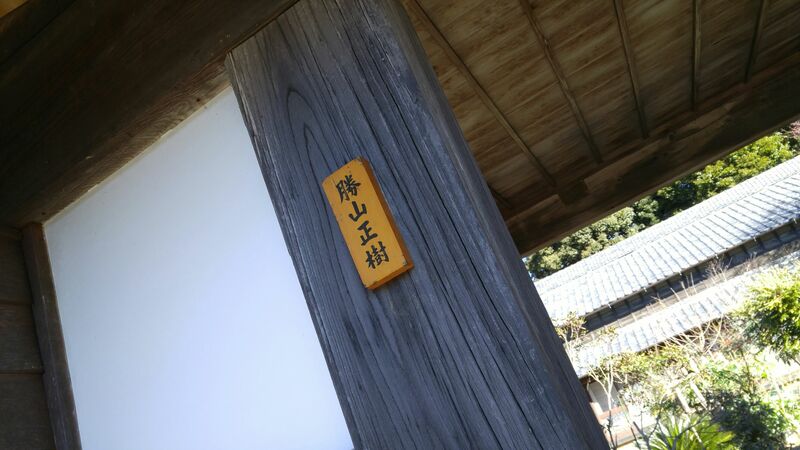 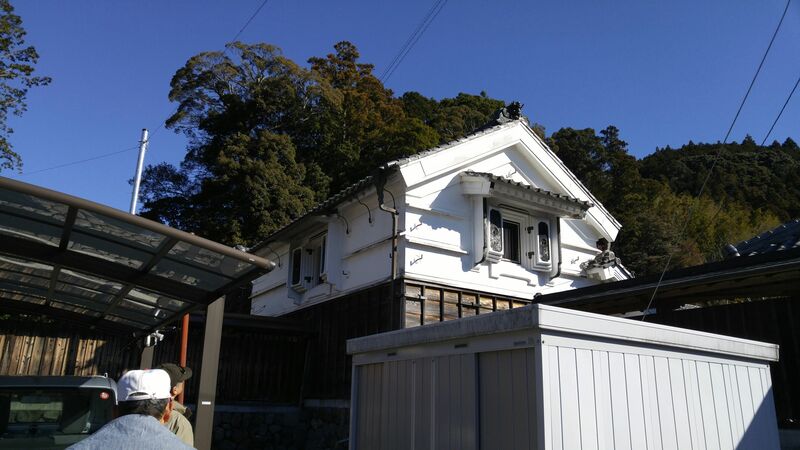 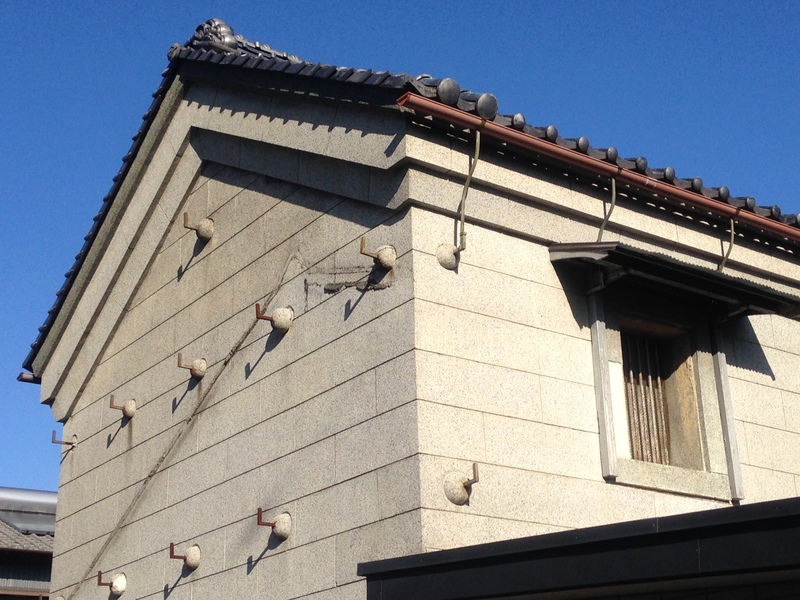 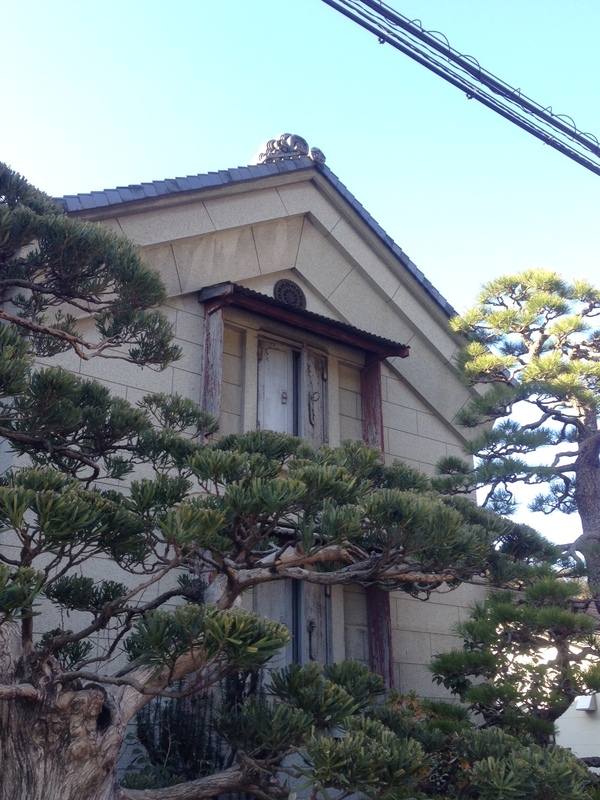 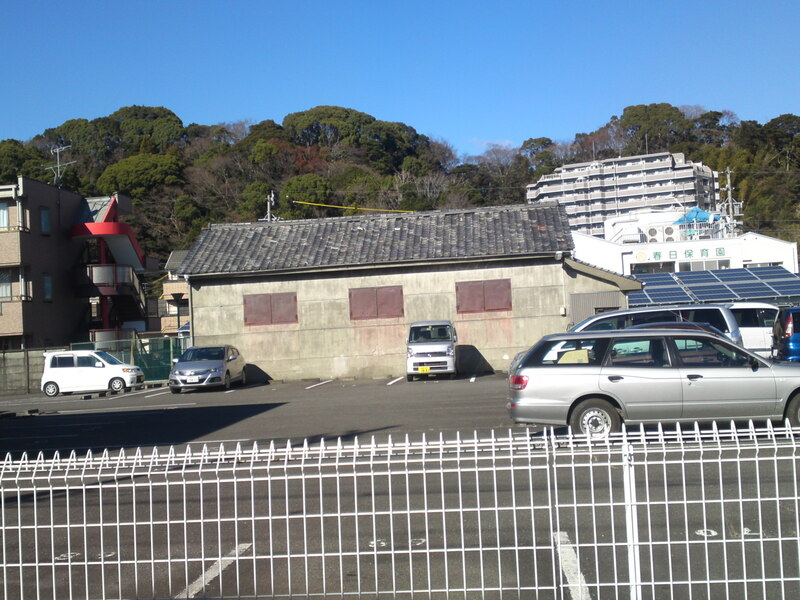 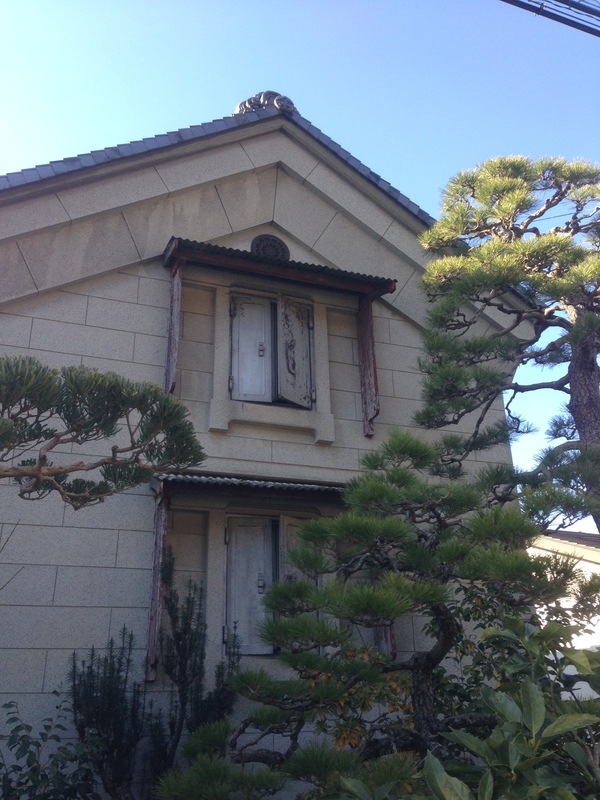 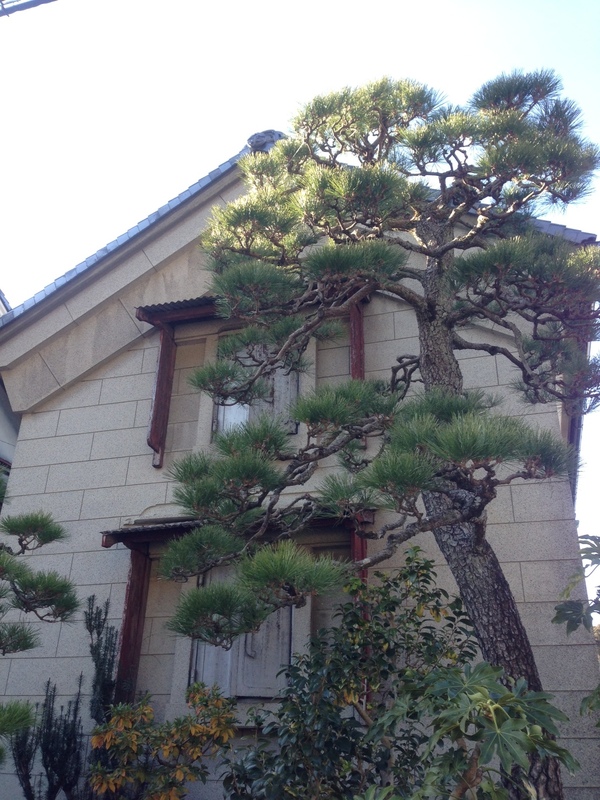 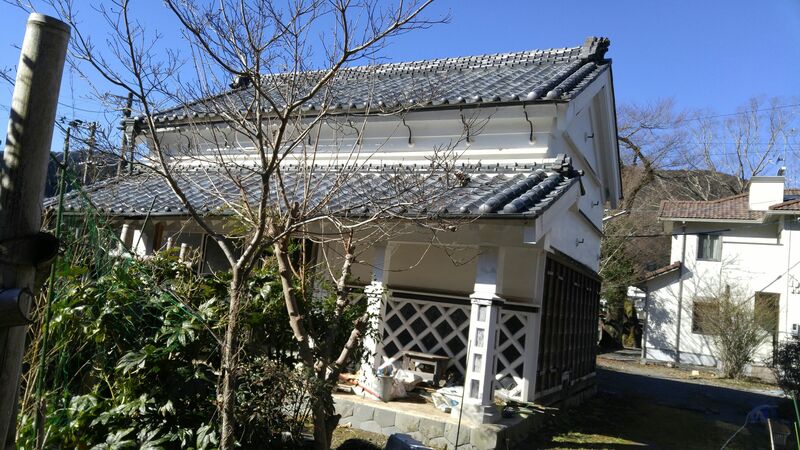 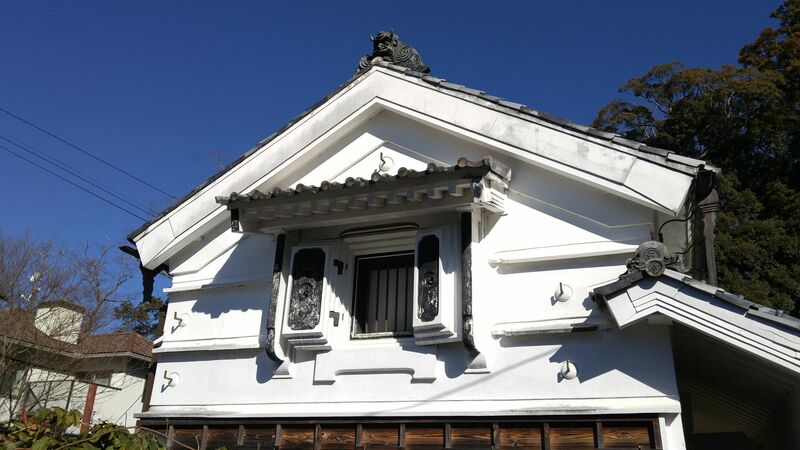 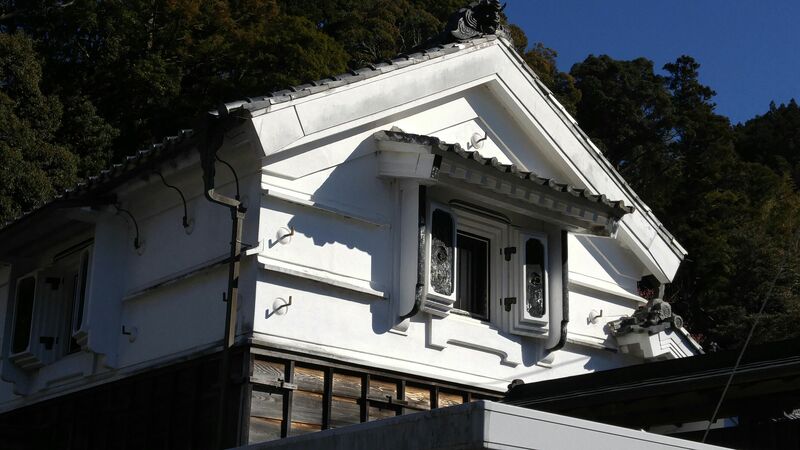 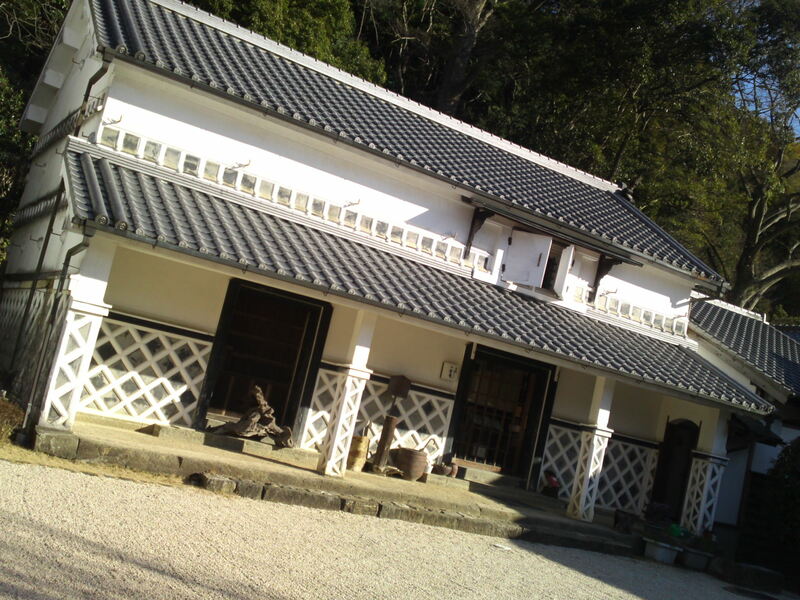 We are certainly thankful to the Shimizu Bank for preserving such a beautiful traditional Japanese house! 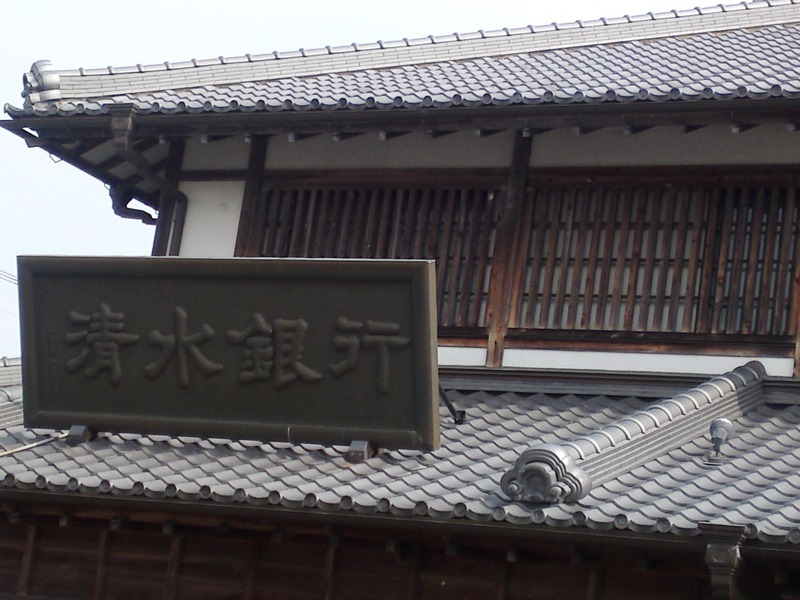 Even this Shimizu Bank sign is an antique! 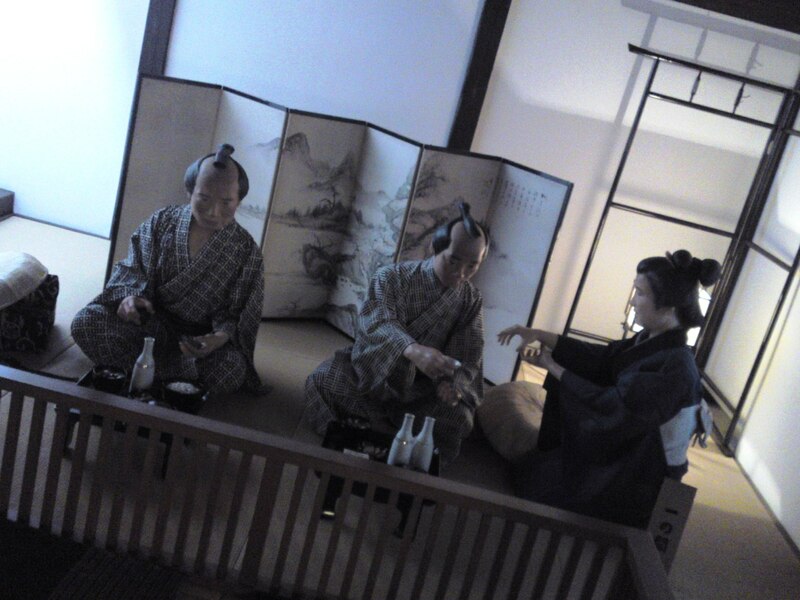 I didn’t have much time on that da, but I’m sure there are a lot more pictures on offer! 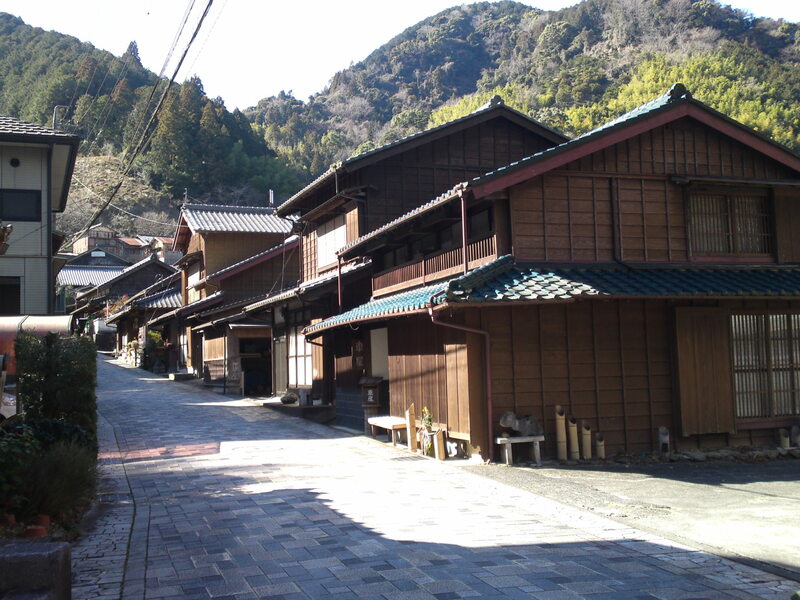 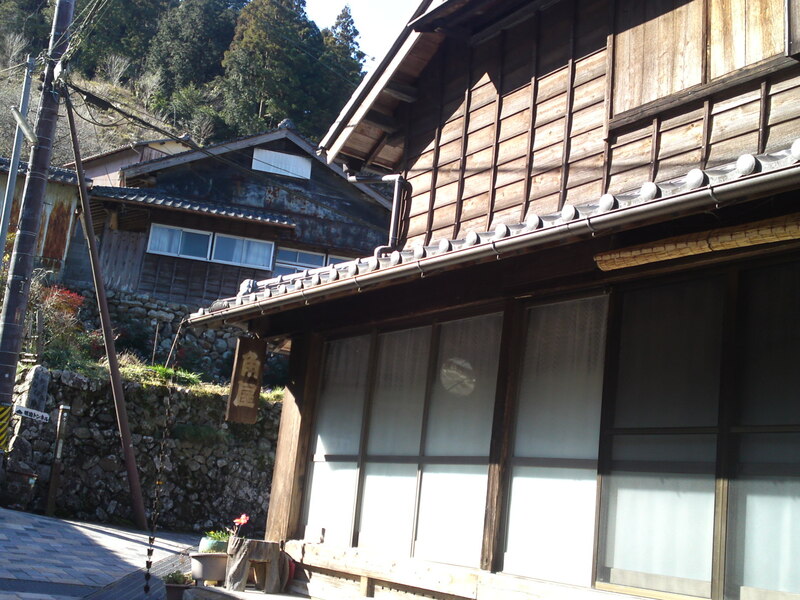 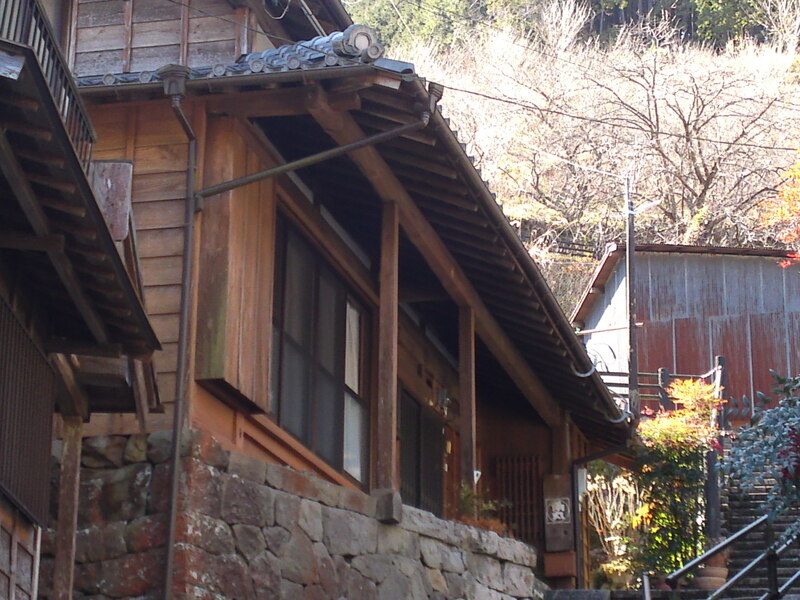 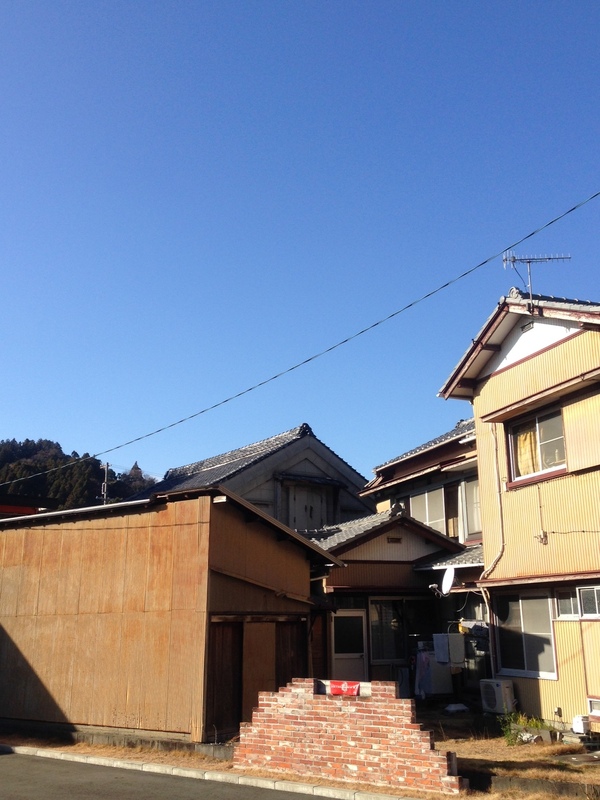 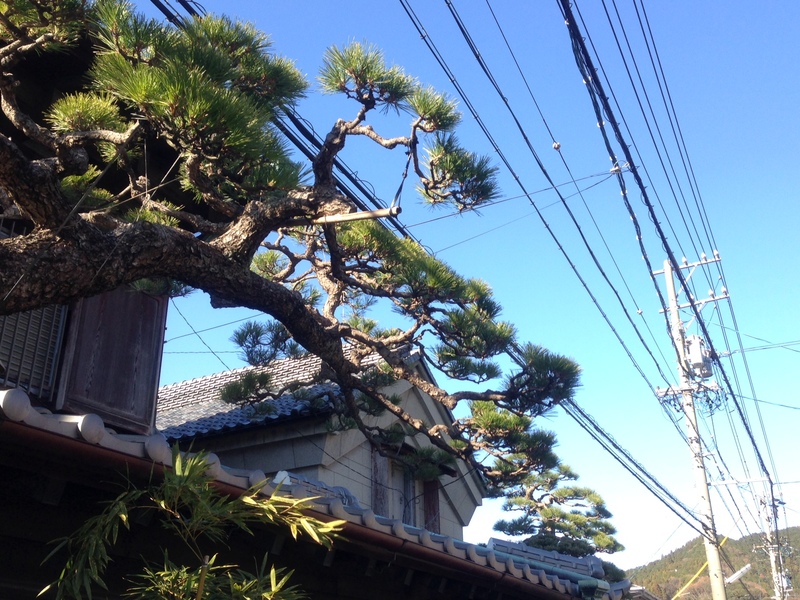 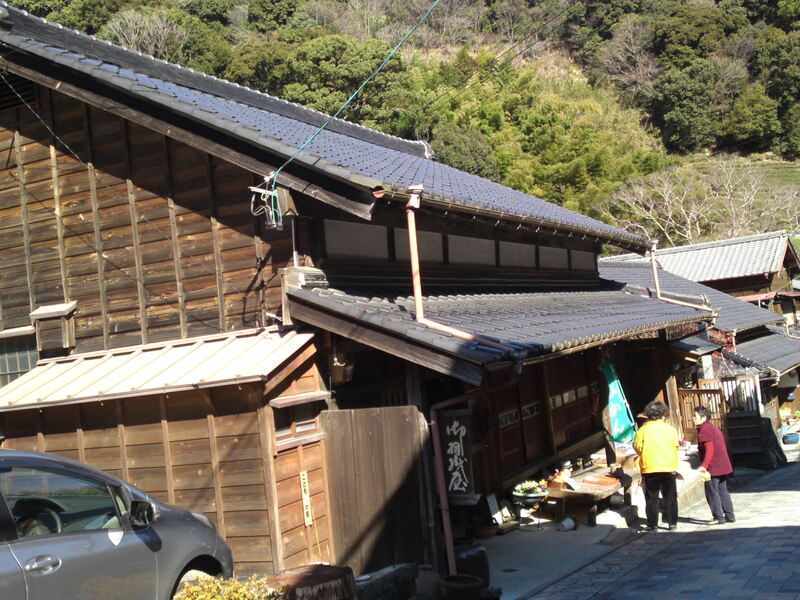 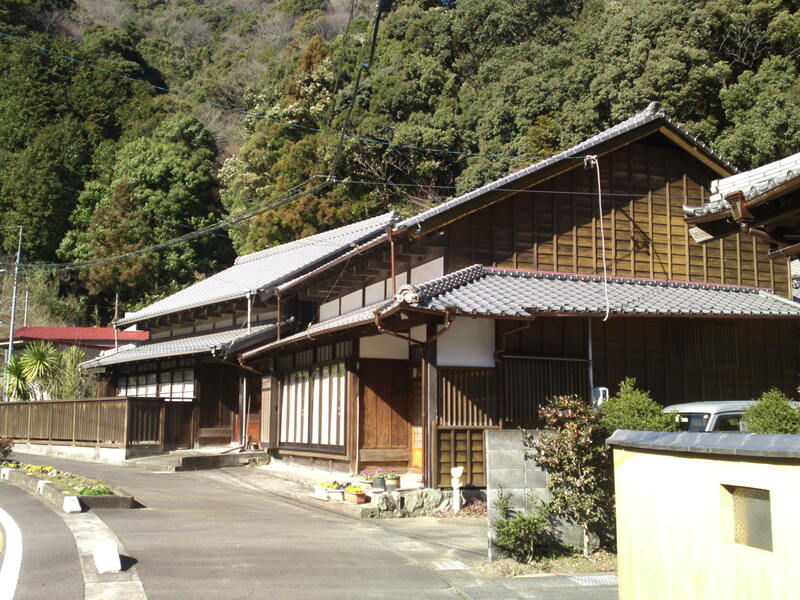 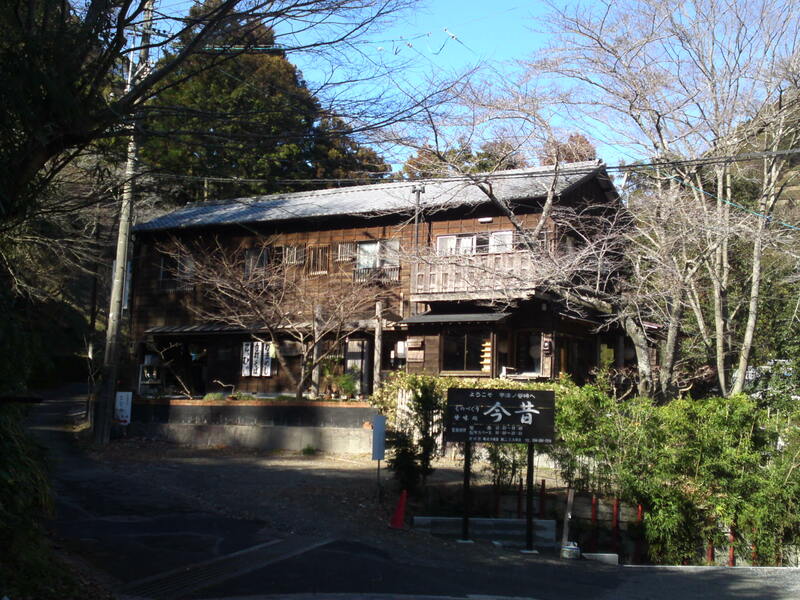 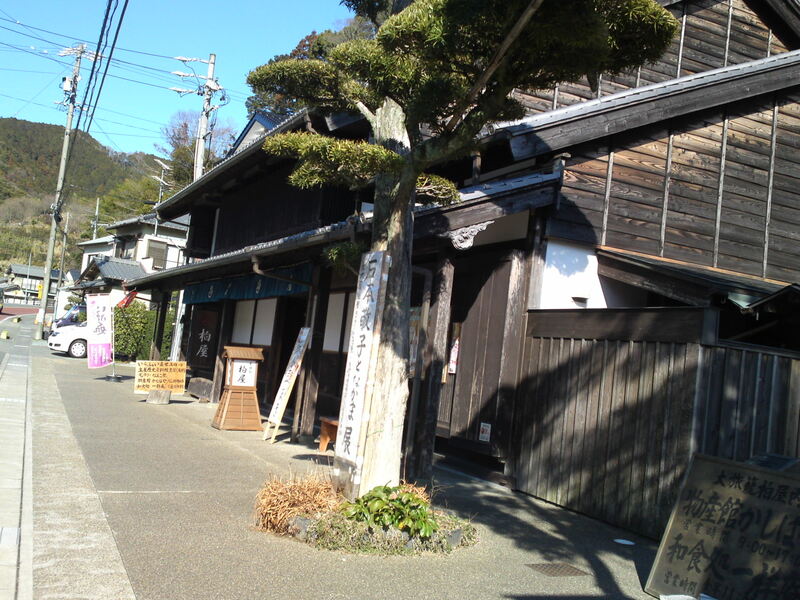 Along the Old Tokaido Road: Traditional Japanese Edo Houses and Inns in Utsunoya, Shizuoka City! 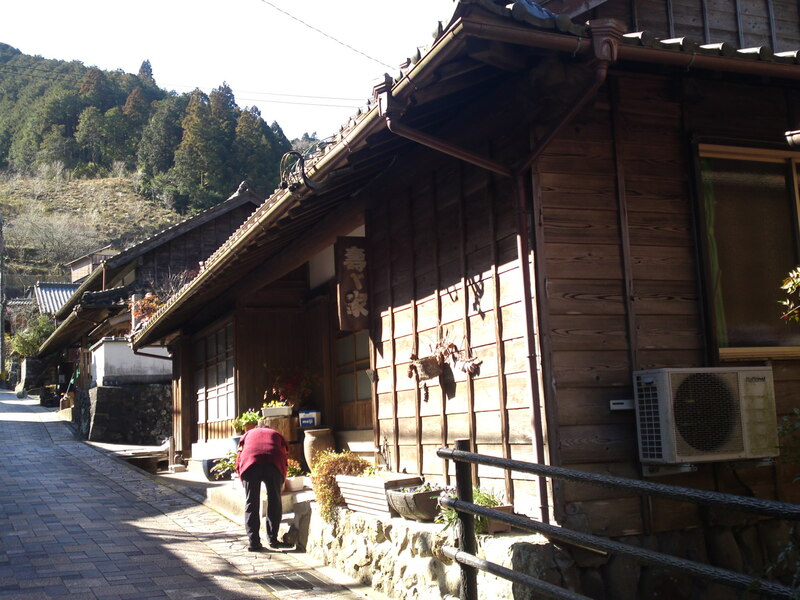 Utsunoya was an intermediary stage between the two Old Tokaido Route stations, Mariko in Shizuoka City, and Okabe in Fujieda City. 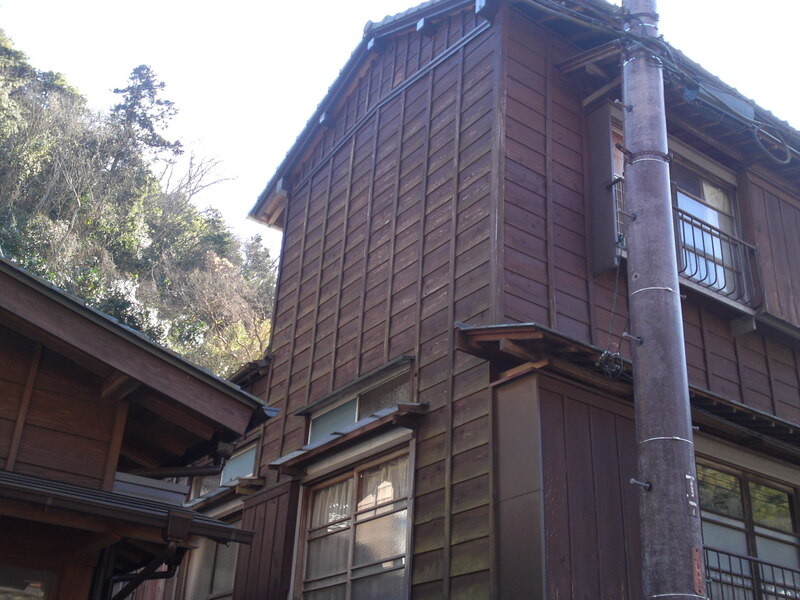 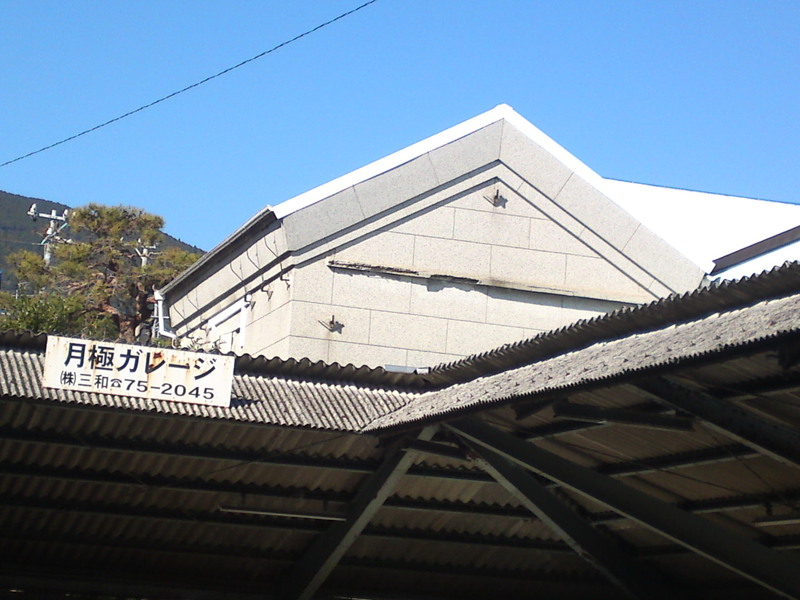 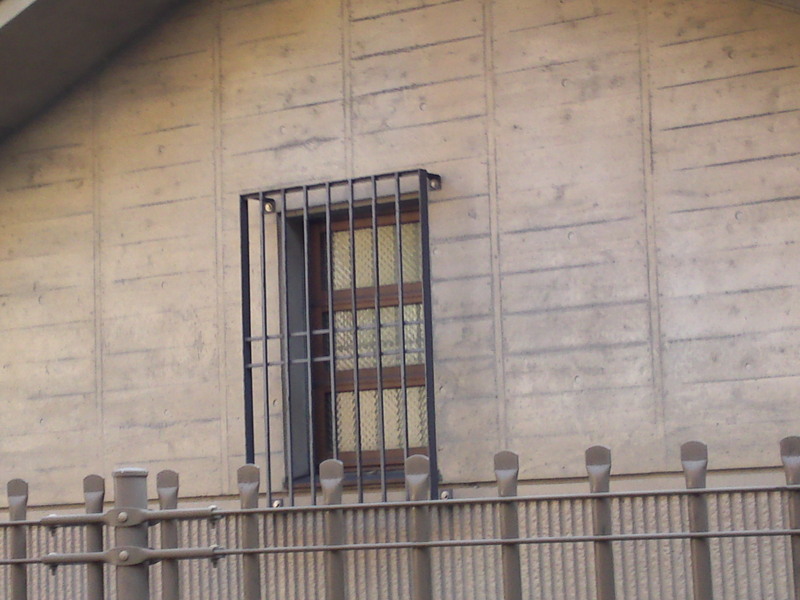 Even during the Meiji Era travelers had to go through it before climbing up and down steep slopes between the two stations. 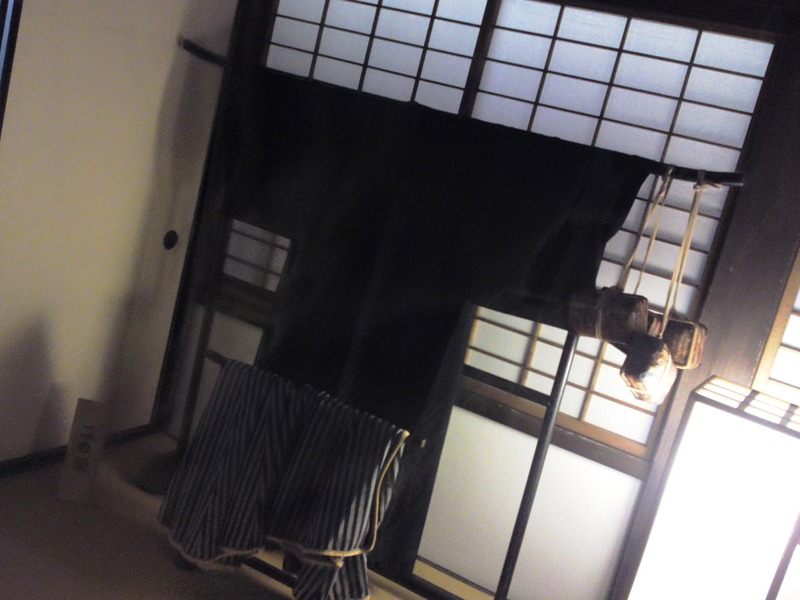 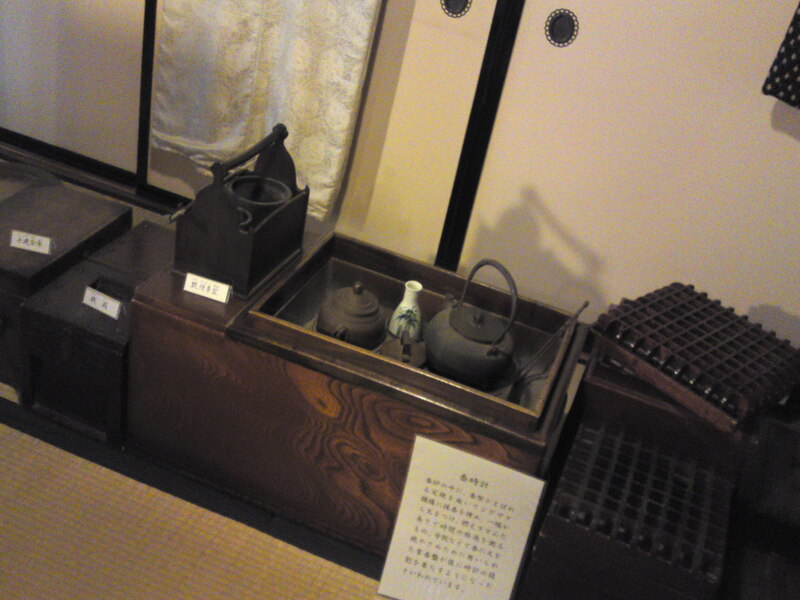 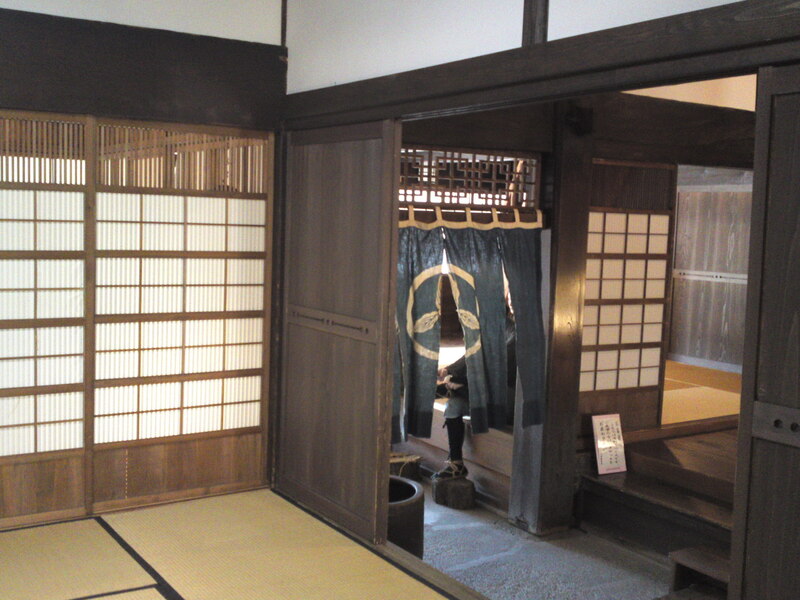 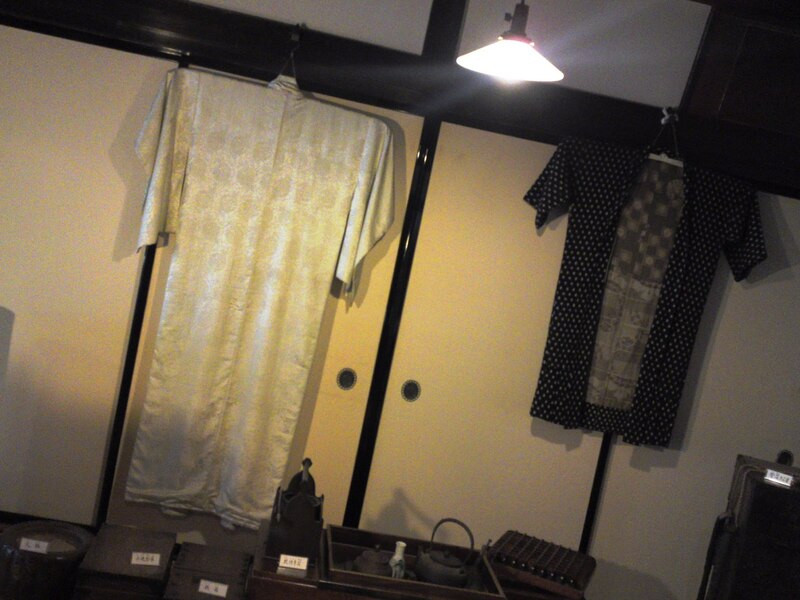 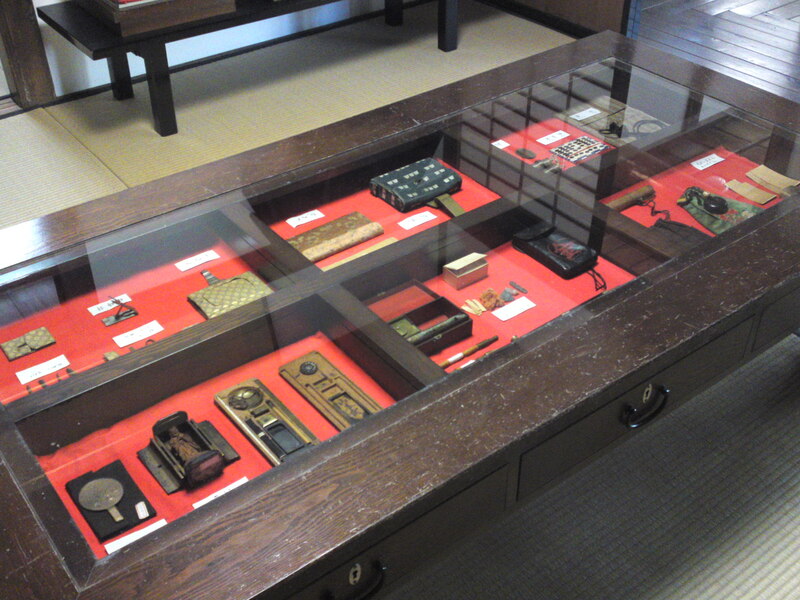 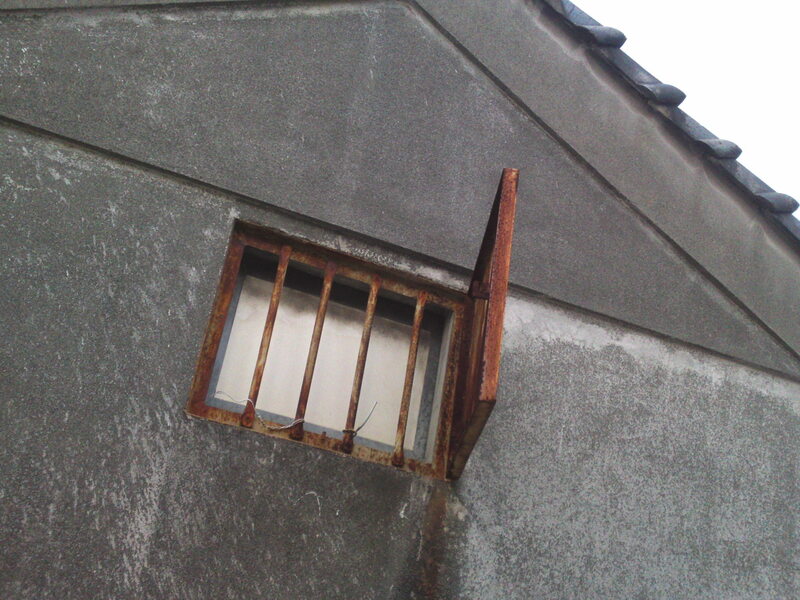 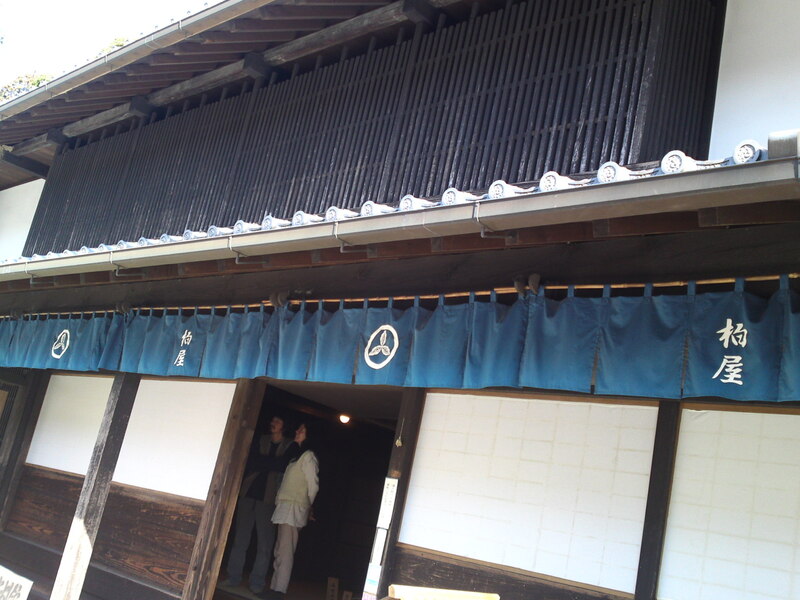 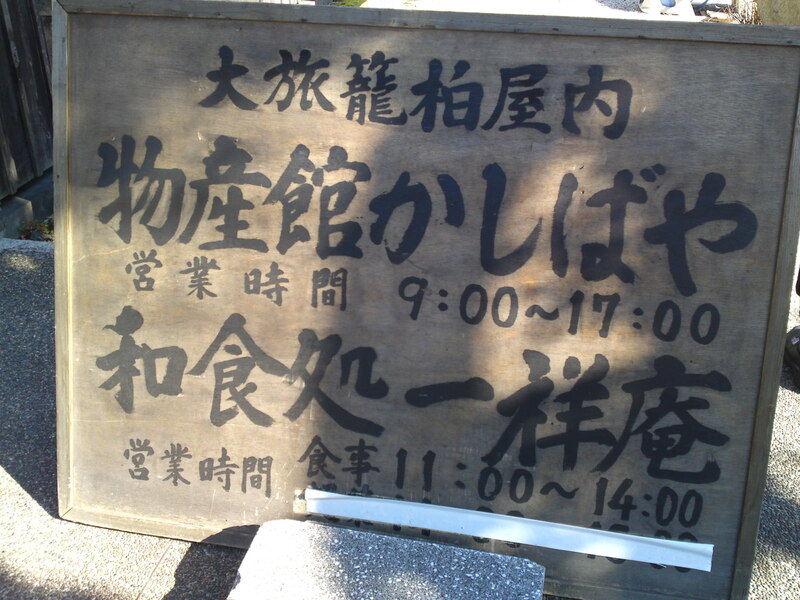 Accordingly many visitors stopped overnight in one of the “Shuukuba or Kashiya”/inns. 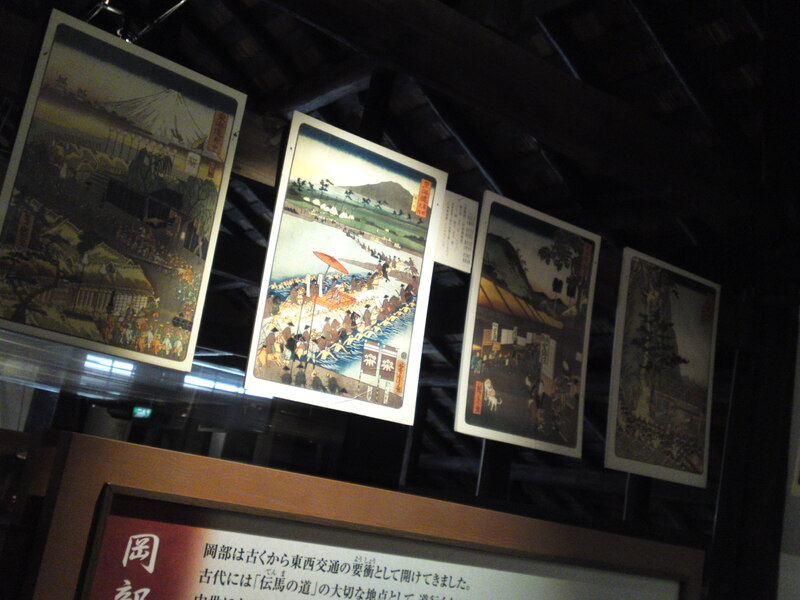 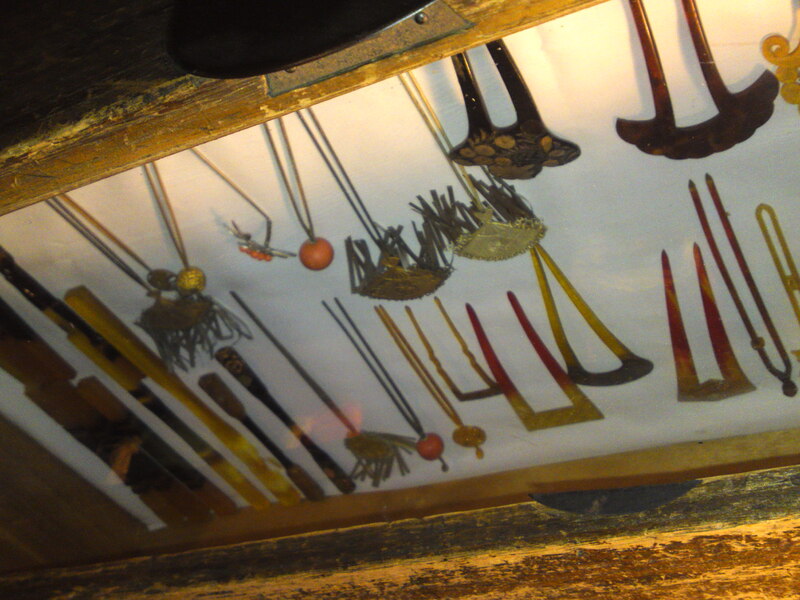 Such establishments can be seen for the sole pleasure of the eyes and learning the history of the region. 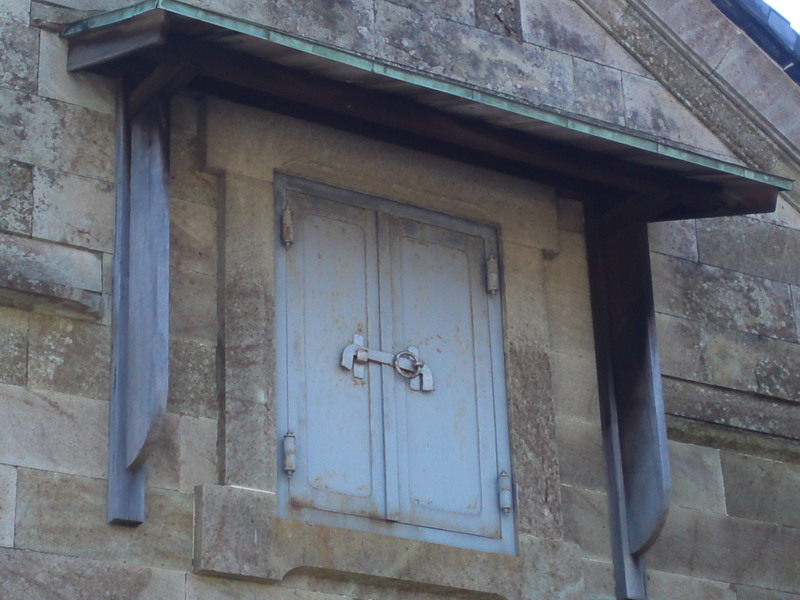 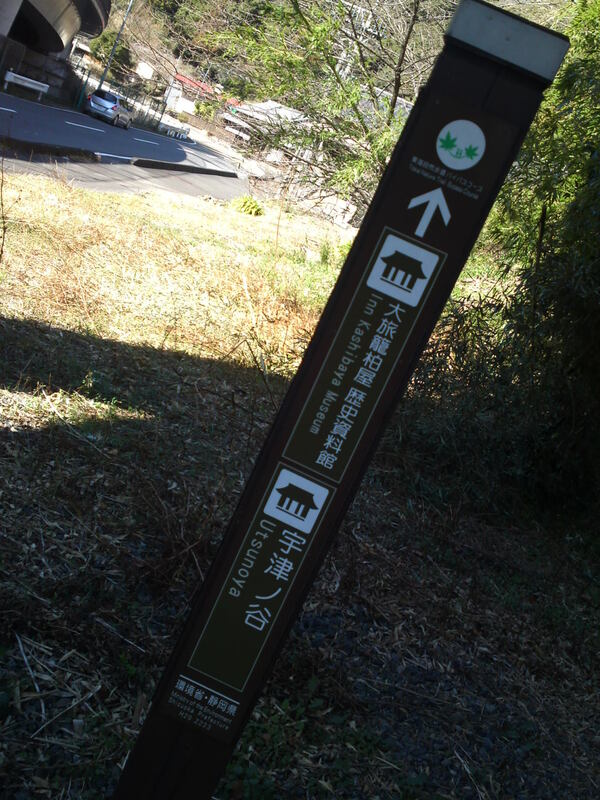 The access is now very easy! 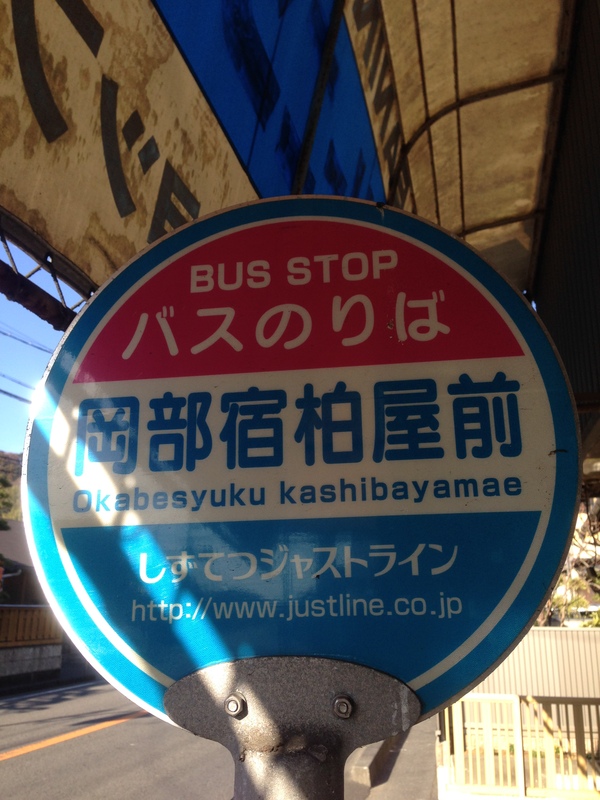 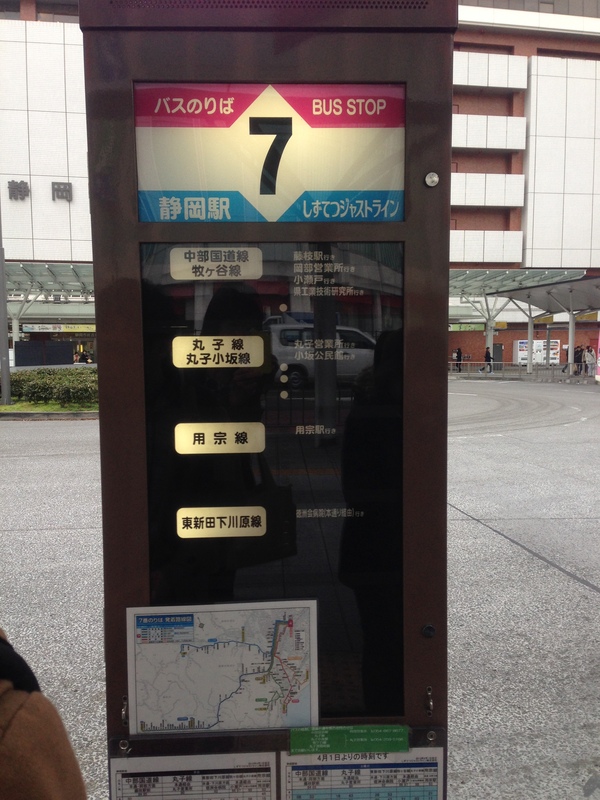 Just take a bus to Fujieda City from platform 7 in front Shizuoka JR Station and get off at Utsunoya Iriguchi bus stop just before the Fujieda Tunnel. 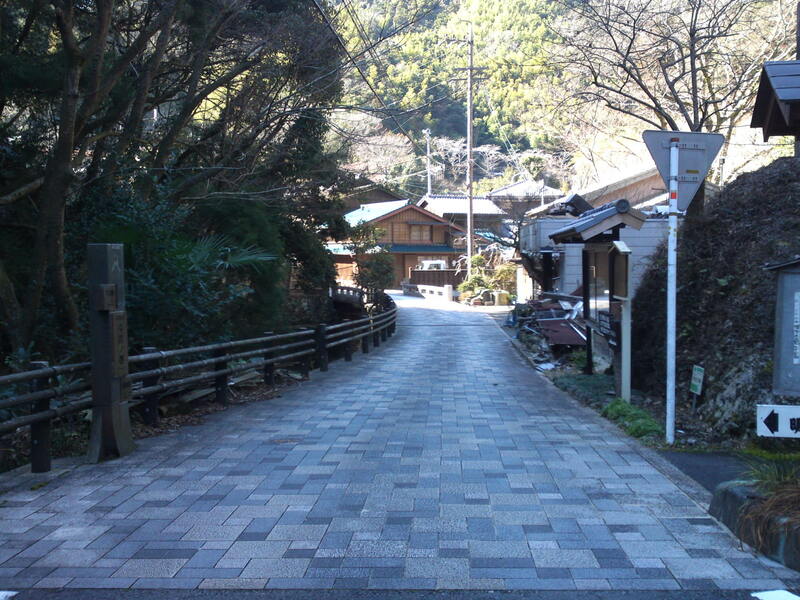 Cross the large road by using the overhead bridge and start walking up the street! 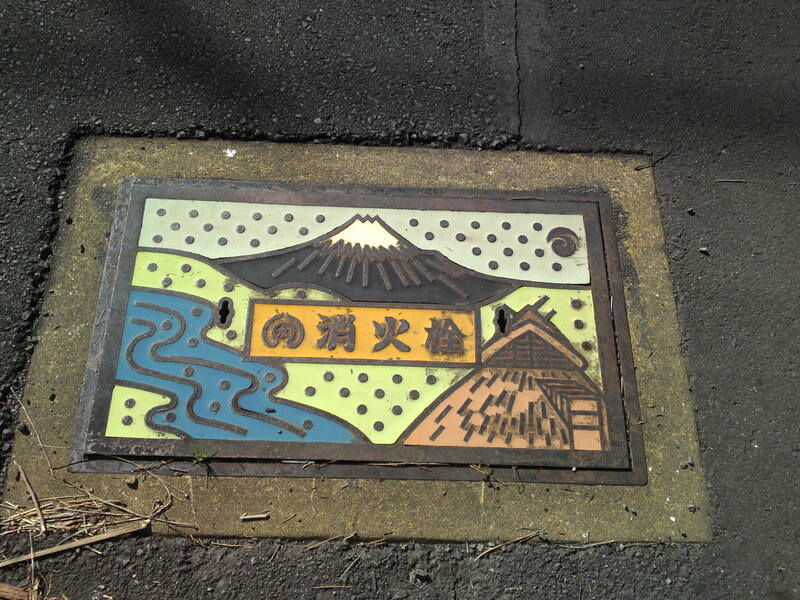 You will walk past this beautiful Shizuoka City fire hydrant manhole cover! 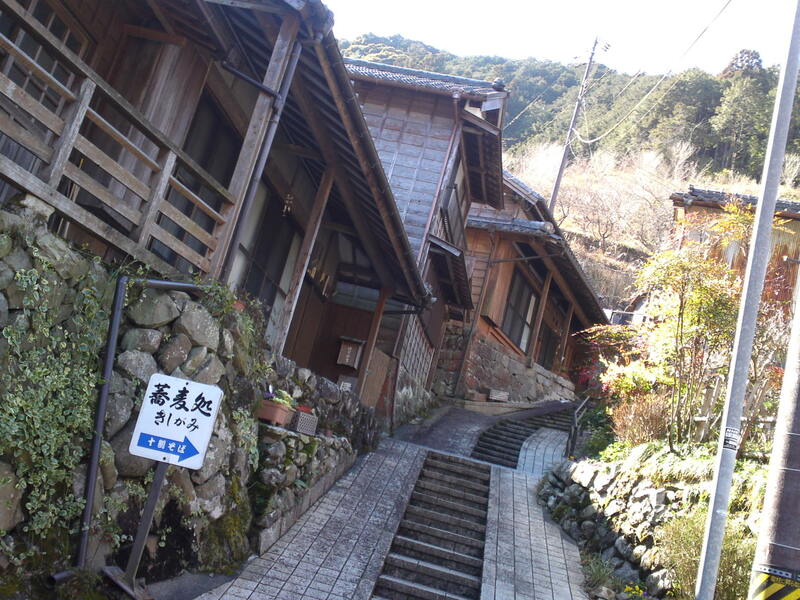 The first houses you will meet are not the inns of Utsunoya but they will prepare you to the further sights! 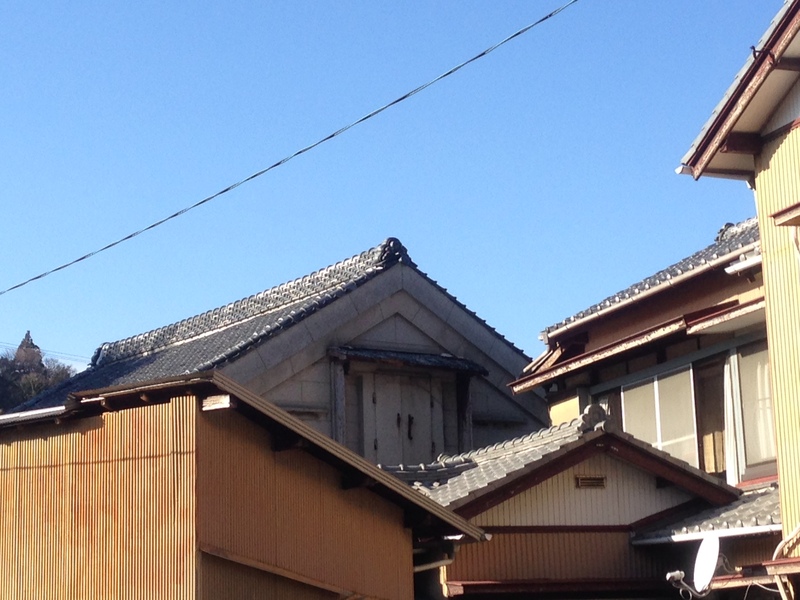 These houses have been standing there for a long time and often repaired but you can catch glimpses of old wooden architecture! 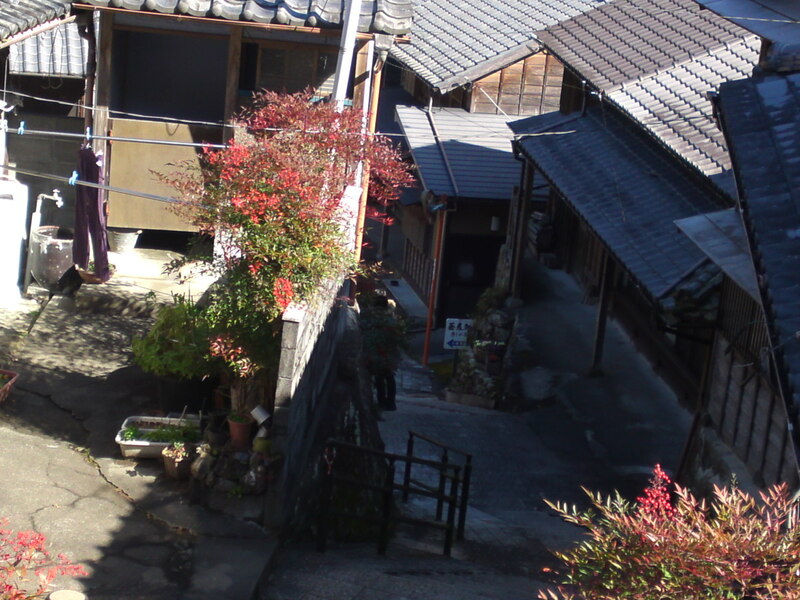 Depending on the season they will make for great photography! 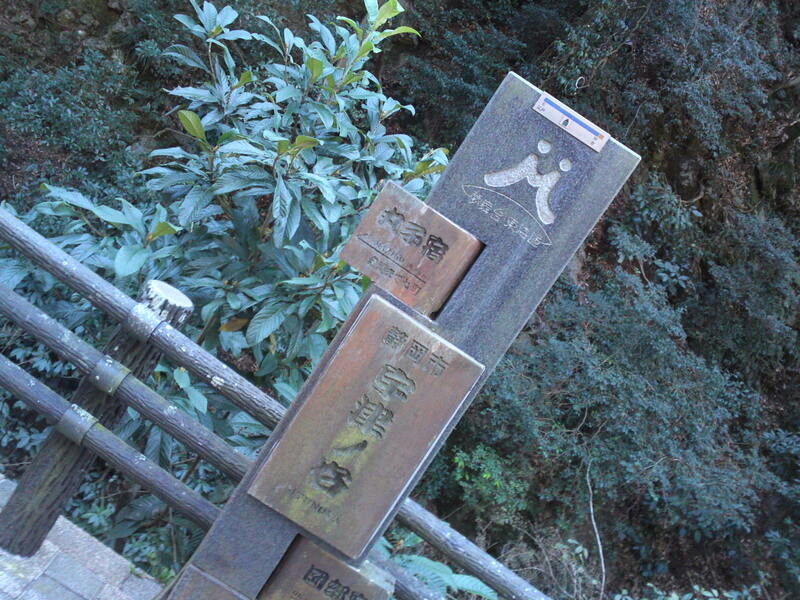 Just walk at an easy pace as your goal is not that far! 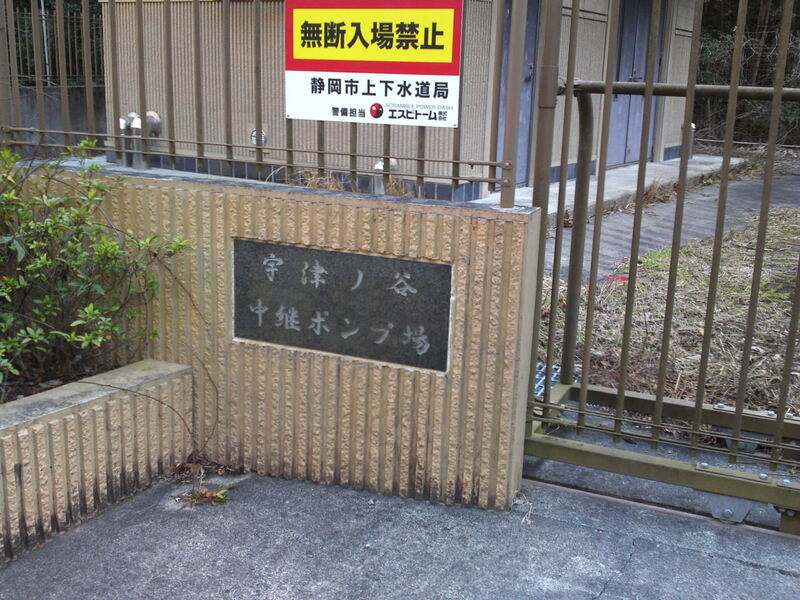 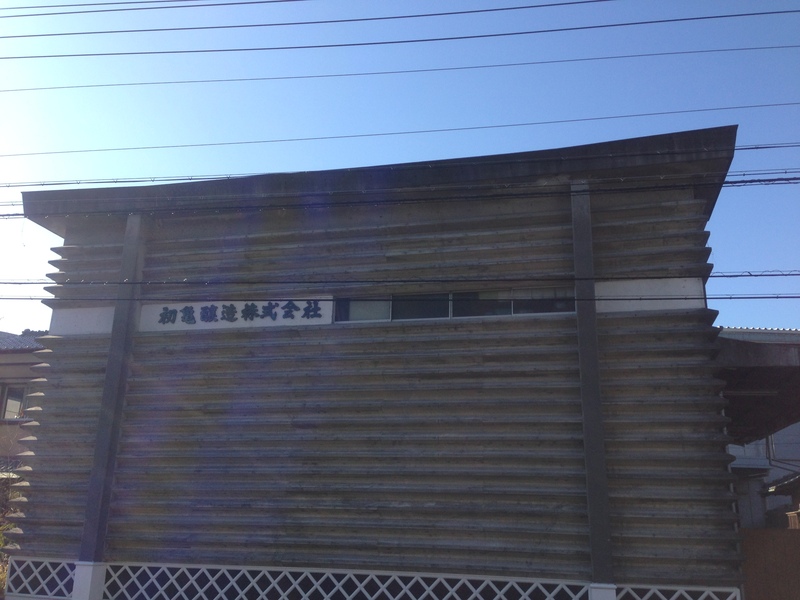 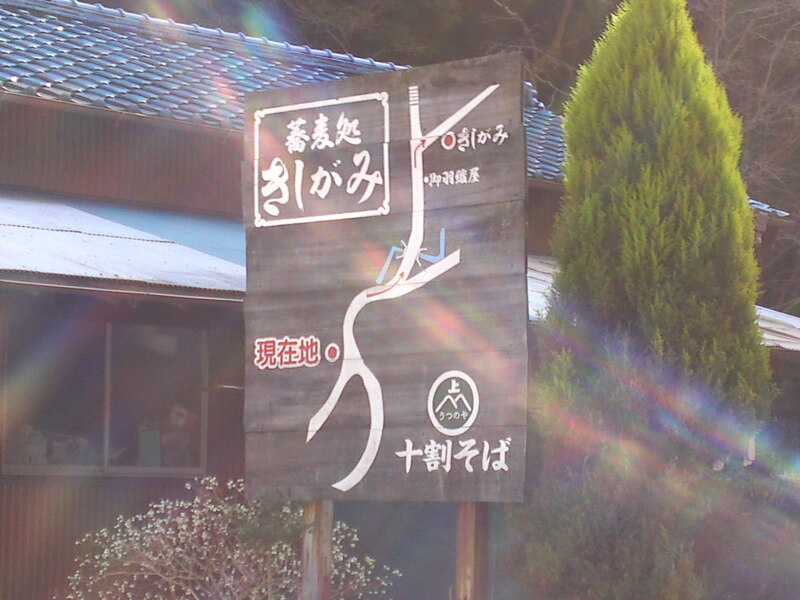 This sign indicates one of the great soba restaurants in this Prefecture called Kishigami! 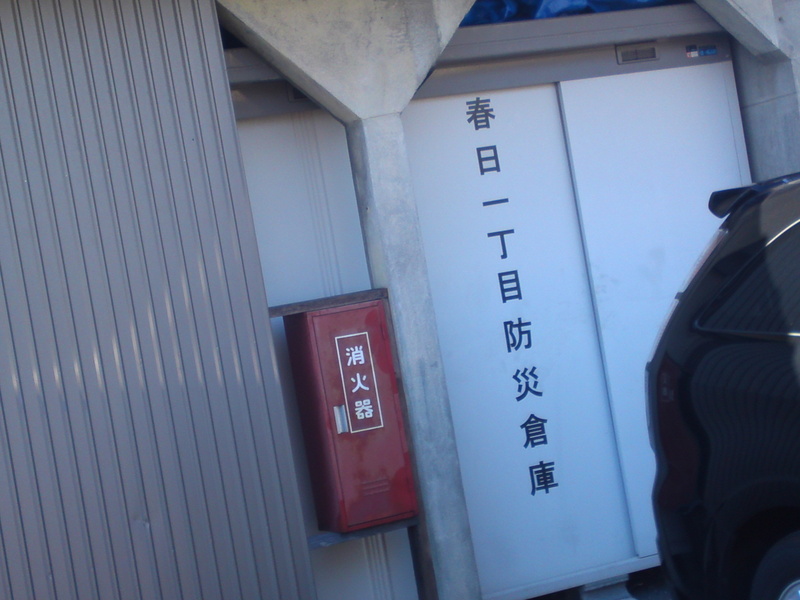 Getting near! 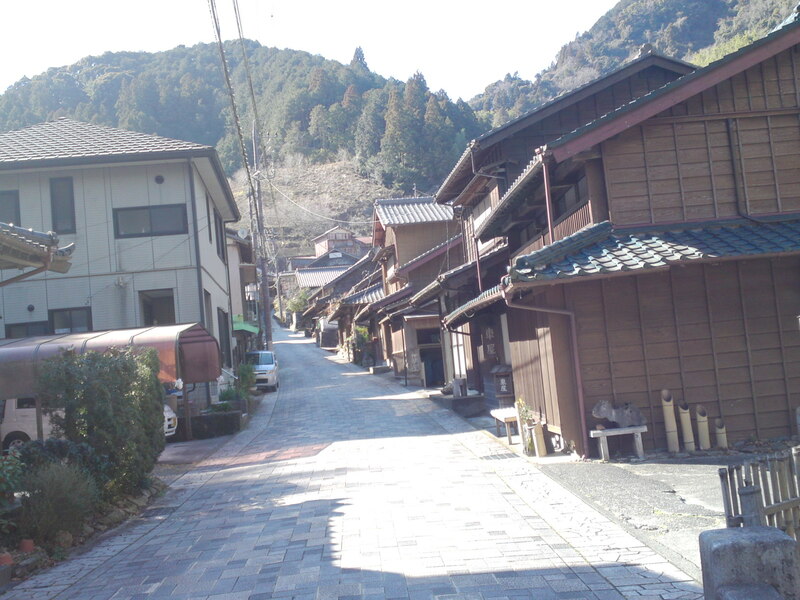 can you see the houses in the distance! 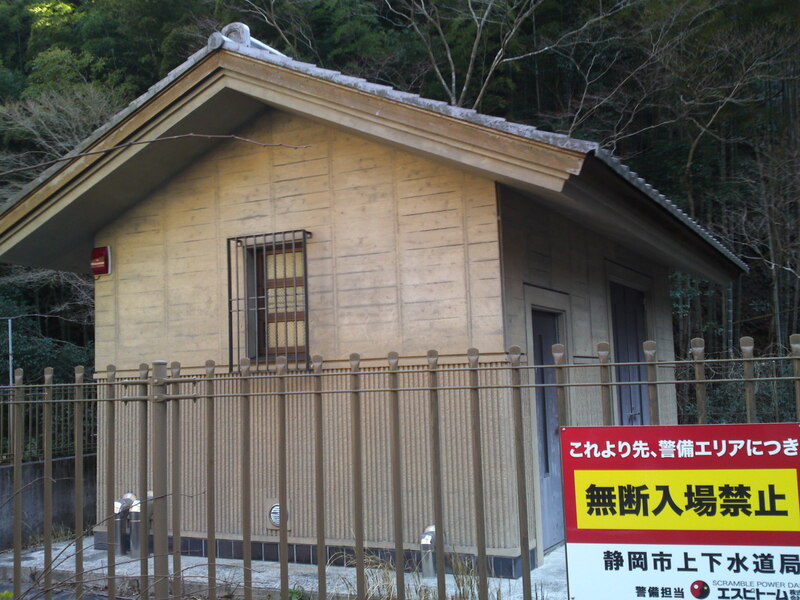 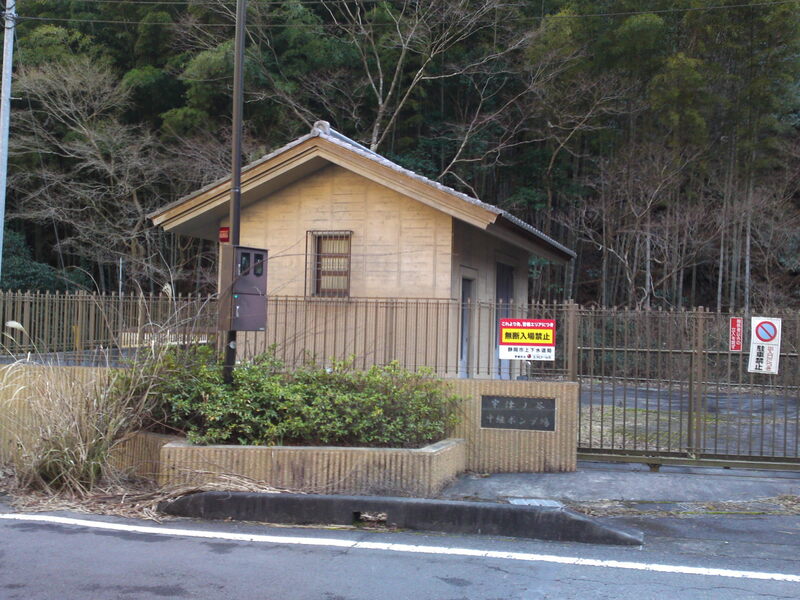 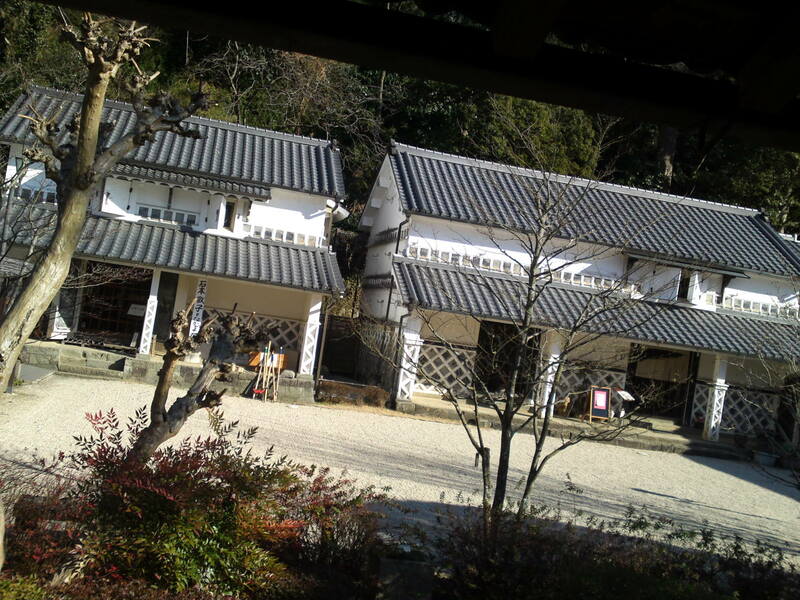 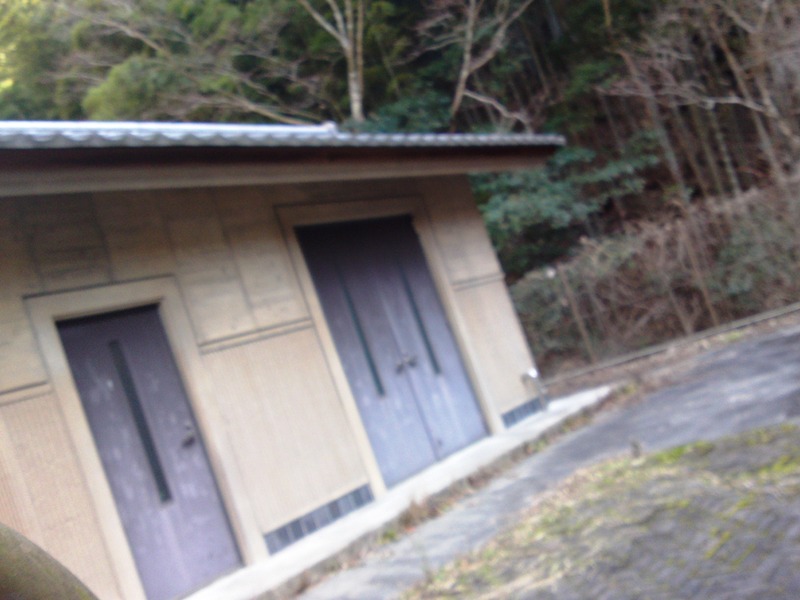 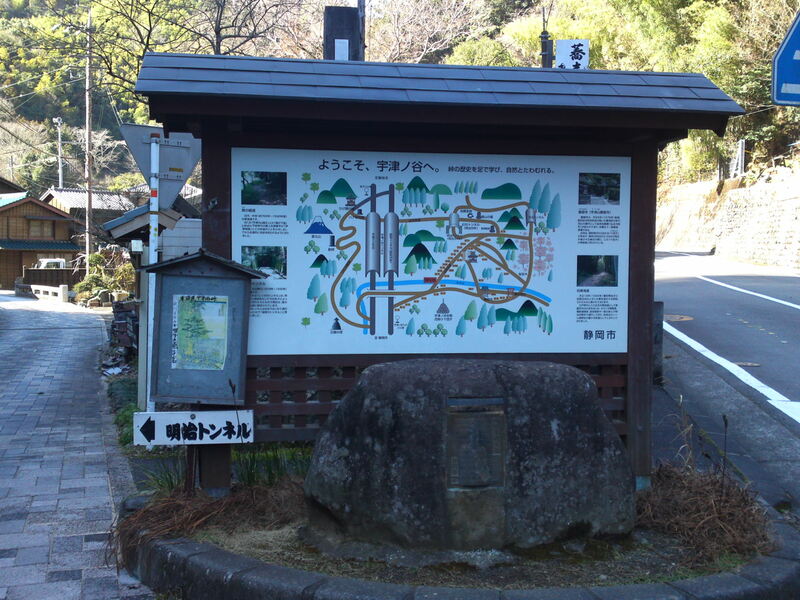 You have reached Utsunoya which depended on the Mariko Old Tokaido Route Station! 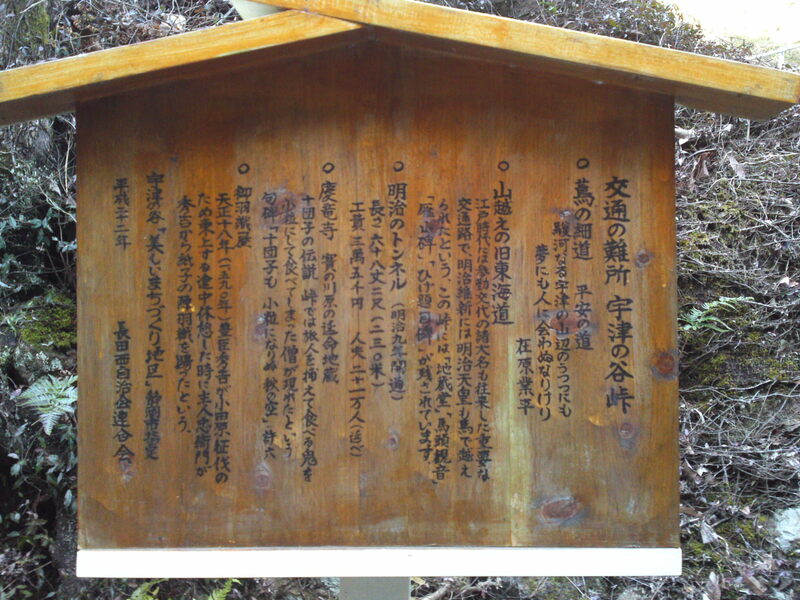 A little historical reminder: travelers had to climb past Utsunoya Pass before the Meiji Toll Tunnel was opened in 1870! 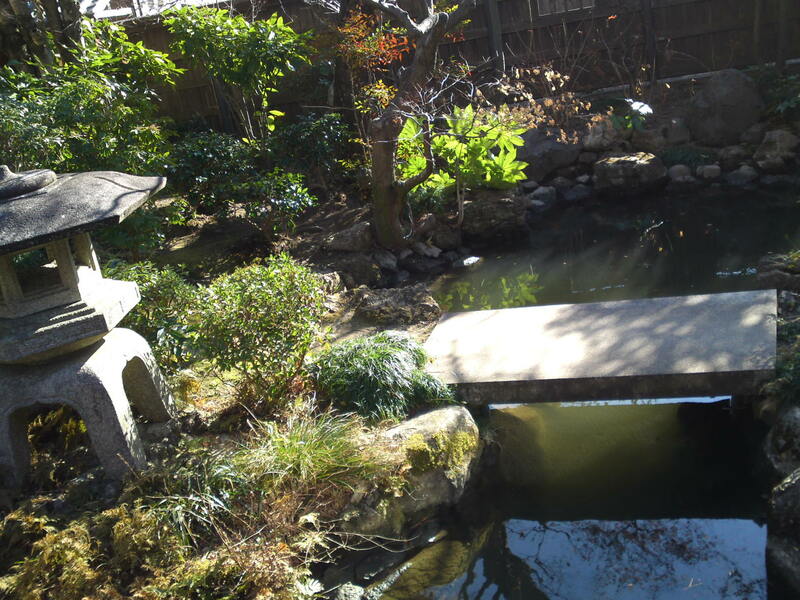 On that particular occasion we walked through it on a beautiful winter afternoon, but you ought to imagine the same location in all seasons and weathers! 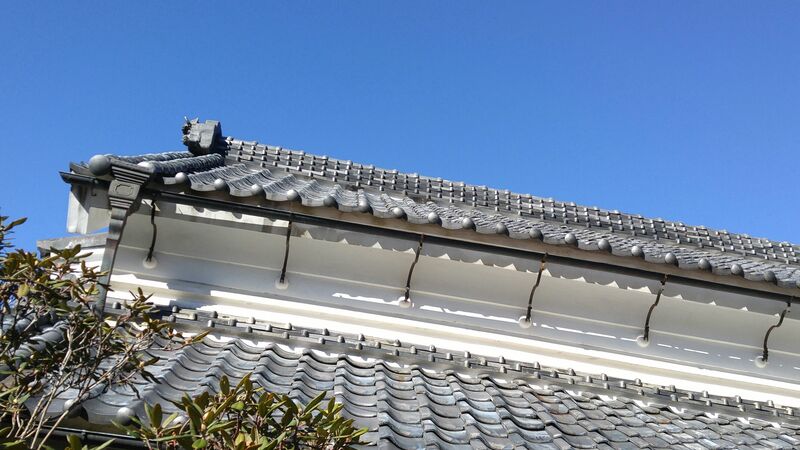 Rare blue glazed roof tiles! 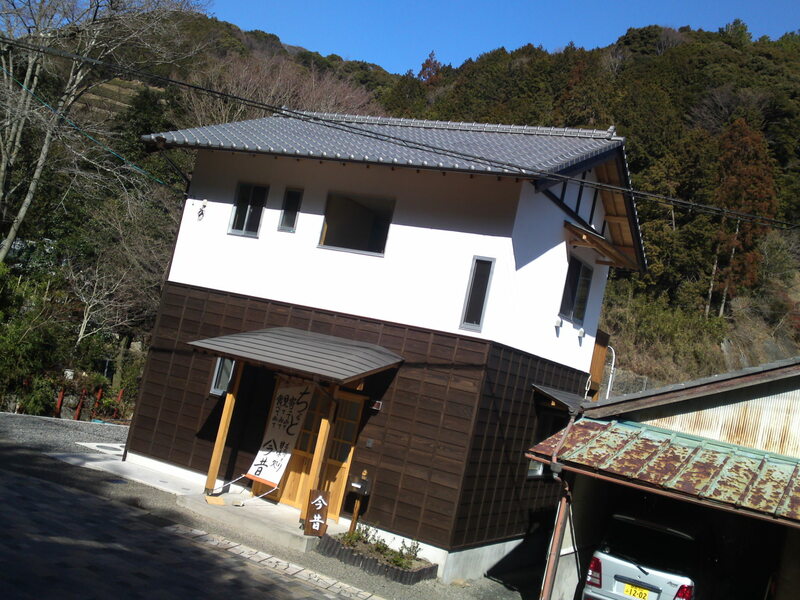 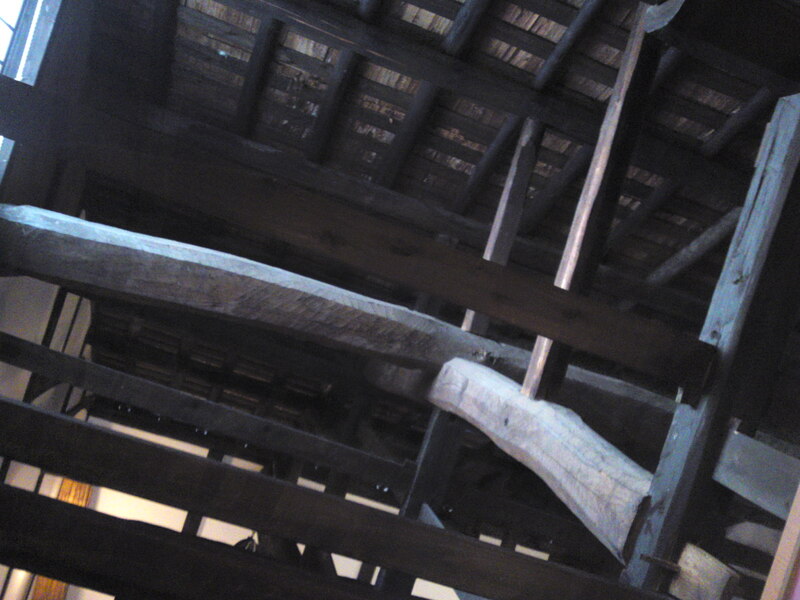 They share all the same wooden architectural design! 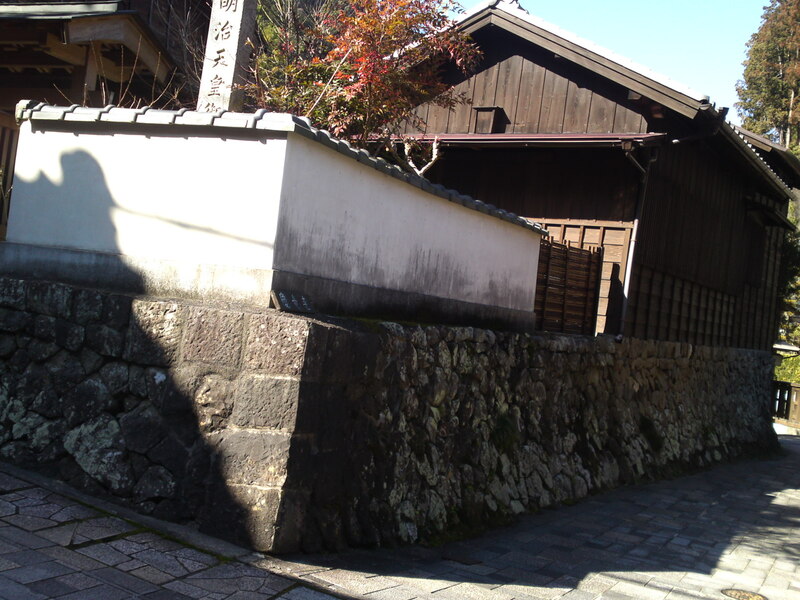 One can still discover stone foundations even older than the houses! 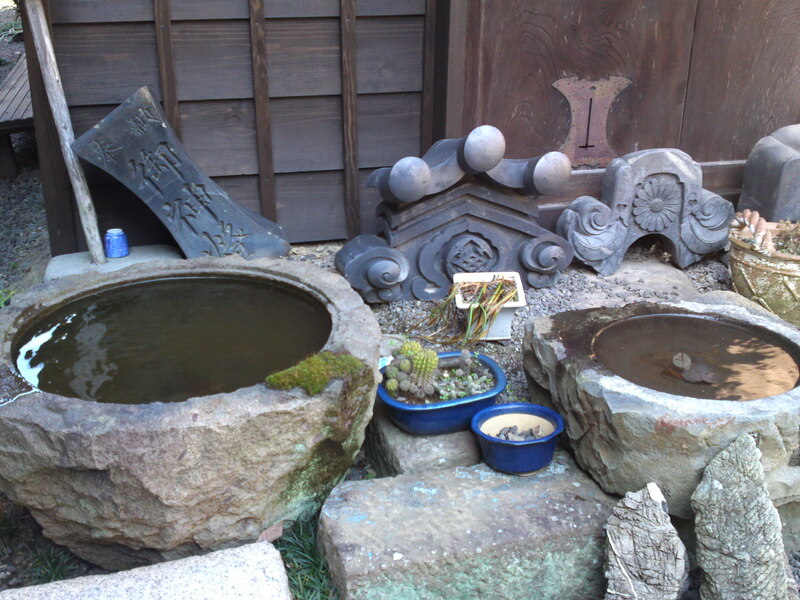 Antique rain water stone jars! 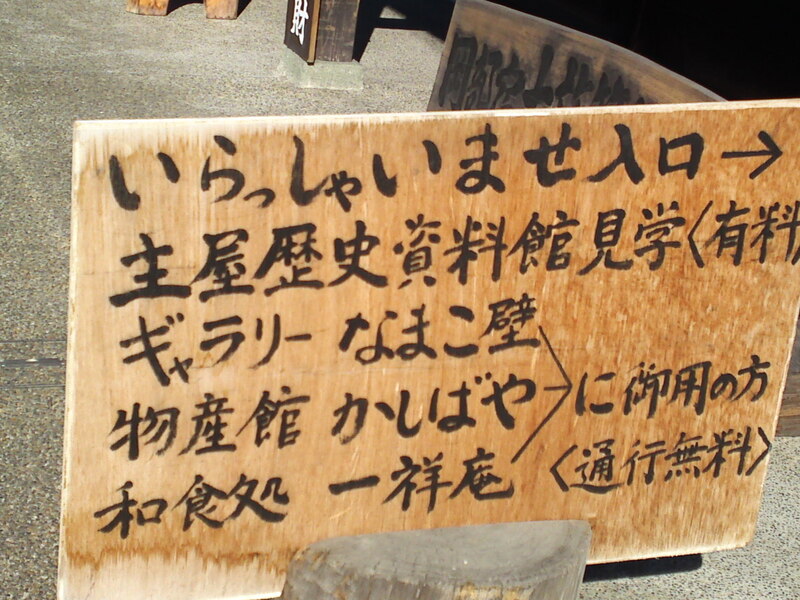 Now the owners have generally turned to farming! 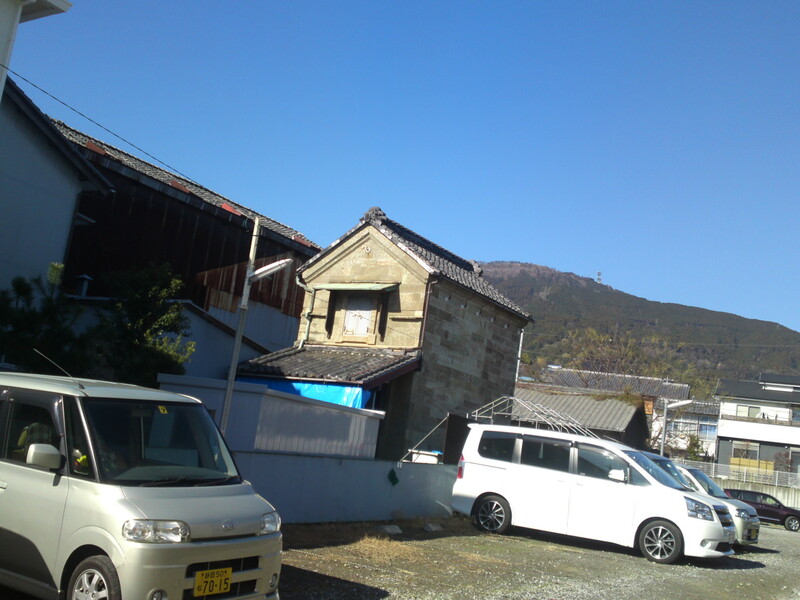 I can’t start to imagine the work involved to build those inns atop stone walls on such steep slopes! 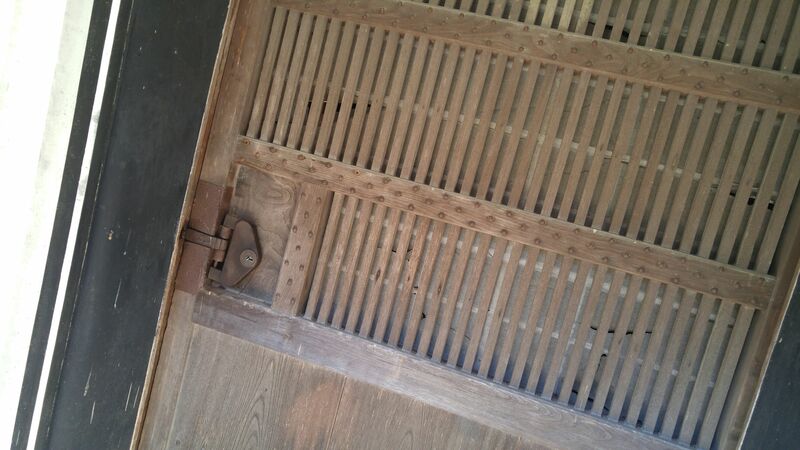 Walk the stairs keeping an eye for interesting details! 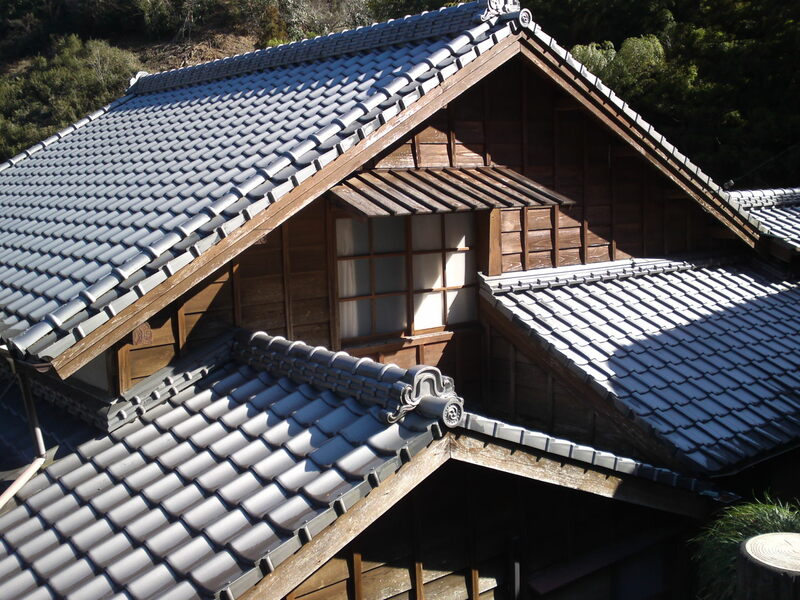 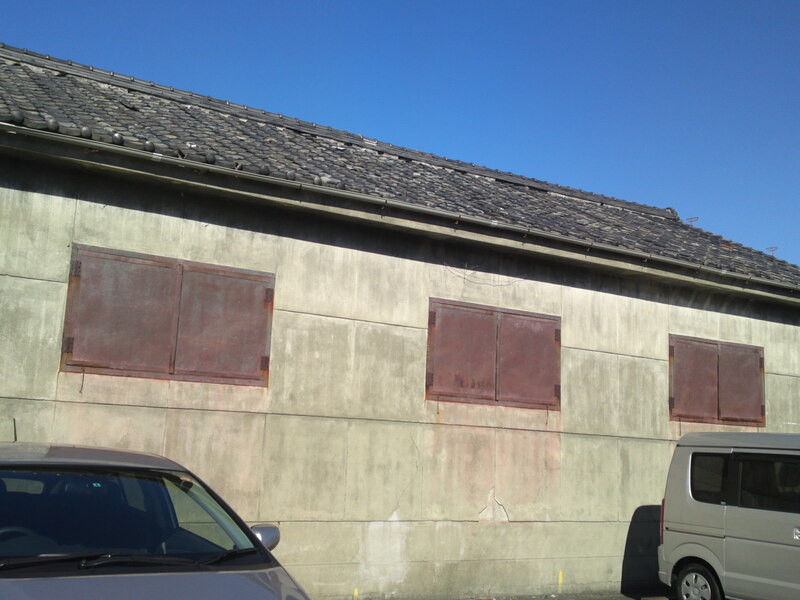 A typical example of the old architectural design of the tiled roofs! 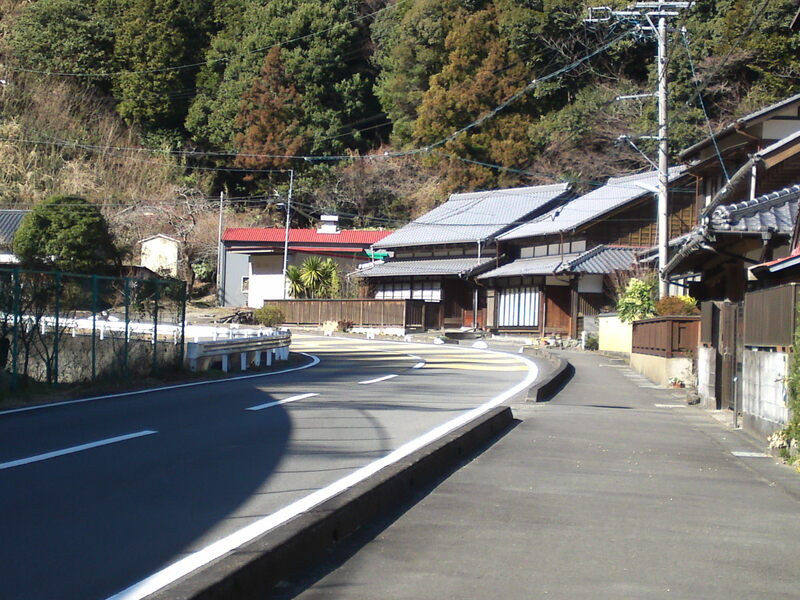 Try and imagine tired travelers stopping there overnight! 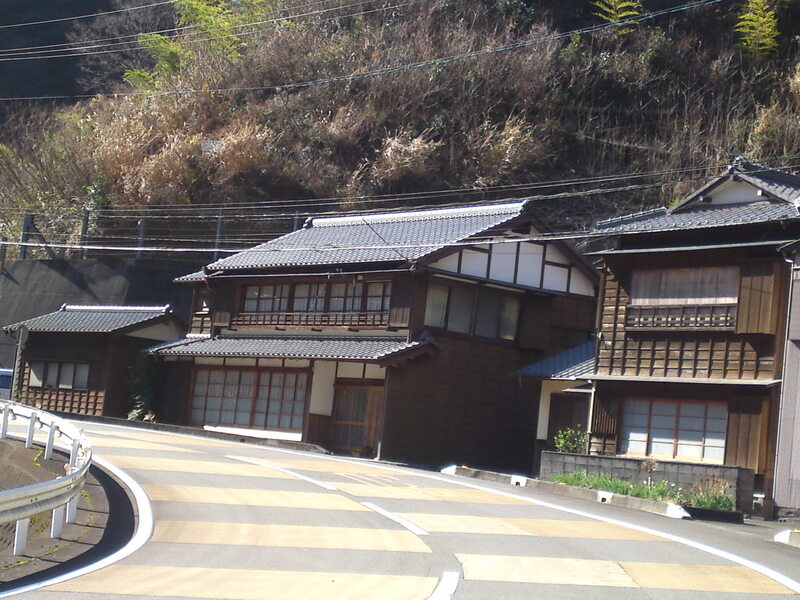 Looking down on your tracks up the slope! 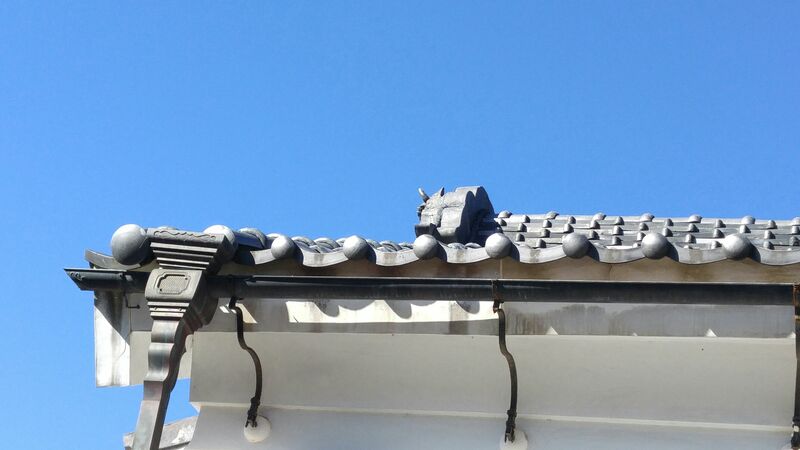 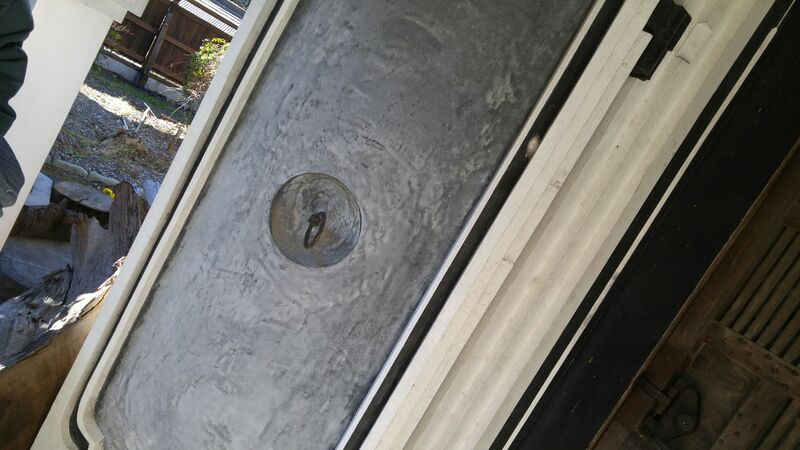 How many of these tiles had to be replaced? 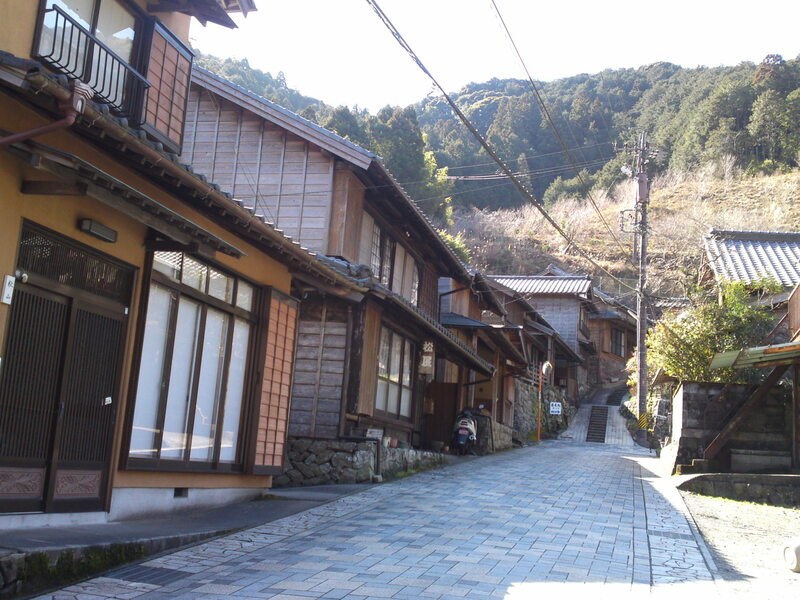 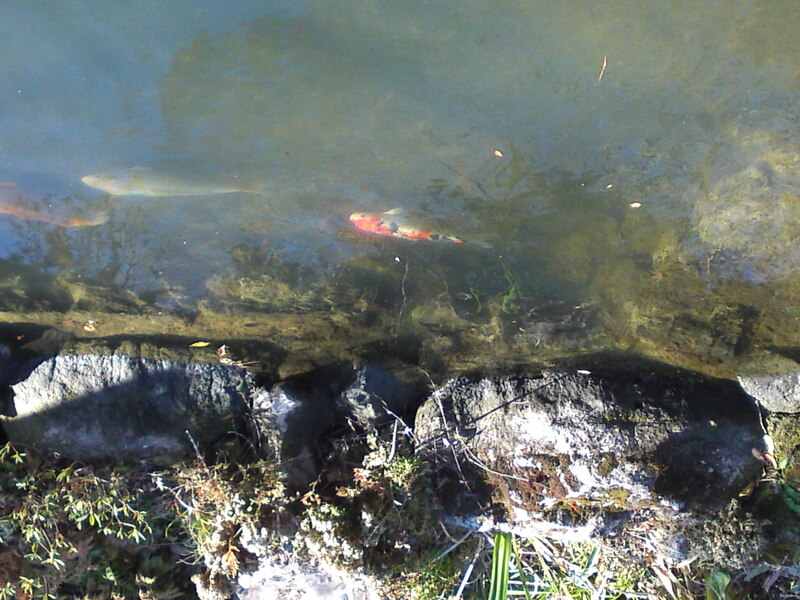 It is a cold part of Shizuoka City and exposed to the natural elements! 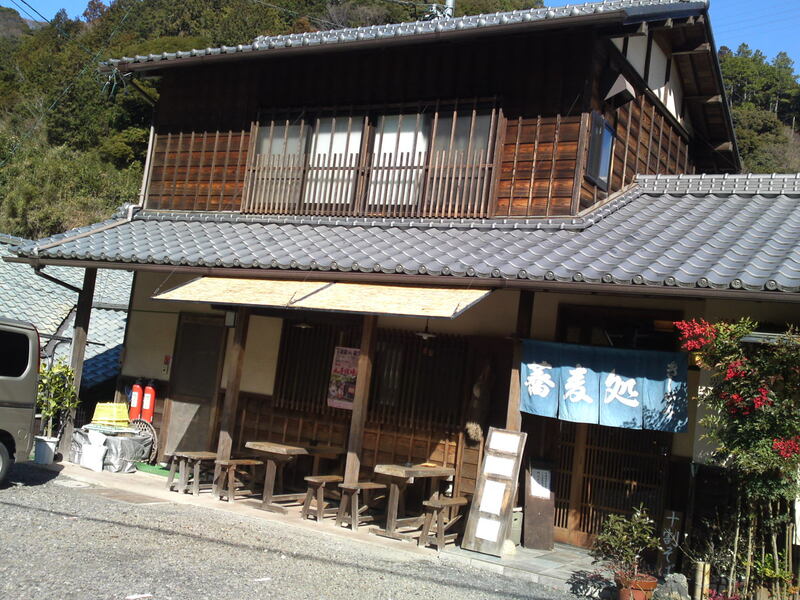 Even now it is worth visiting for the sole purpose of eating at traditional Japanese restaurants: Udon Restaurant! 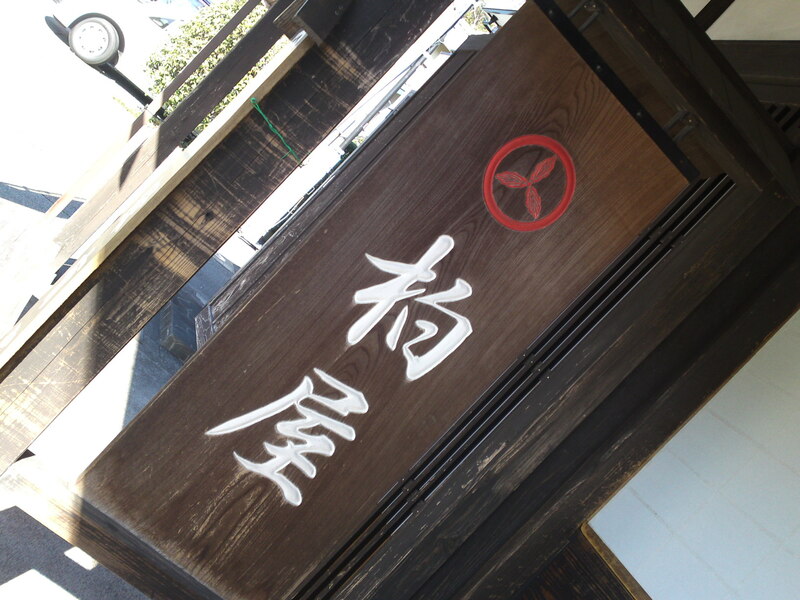 Soba Restaurant! 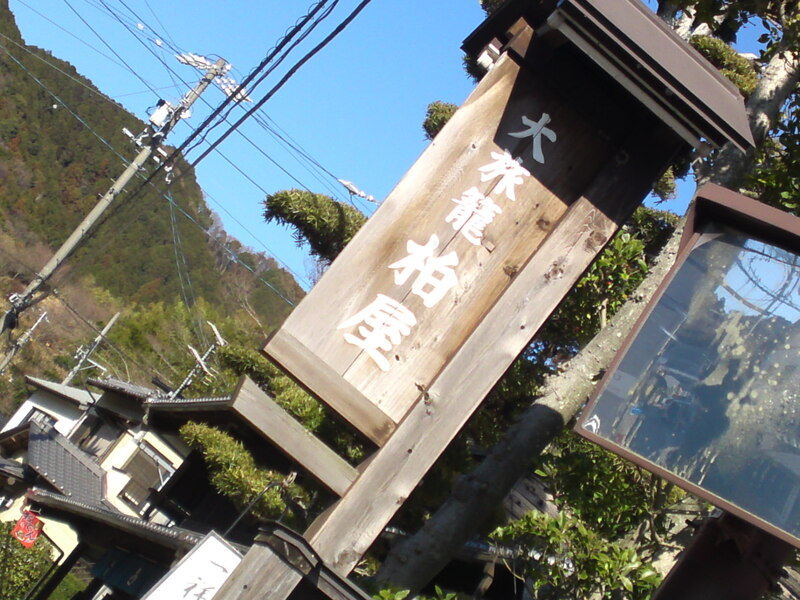 Kishigami, a favorite of mine and many foreign tourists in search of true Shizuoka gastronomy! 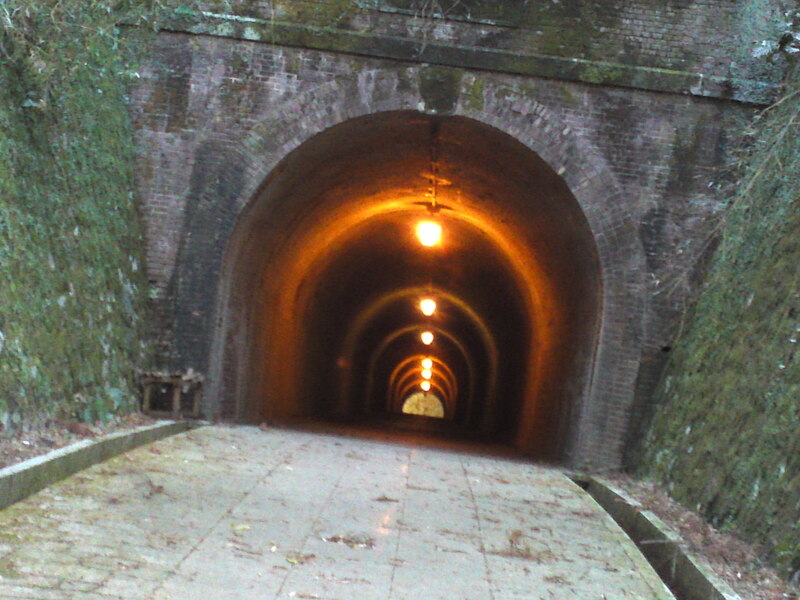 And don’t forget to visit the Meiji Tunnel only a little distance away!